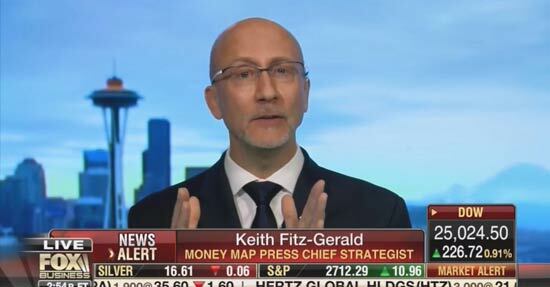 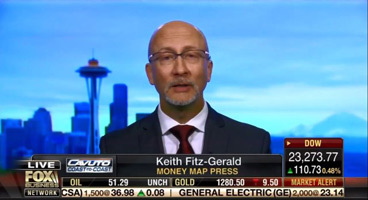 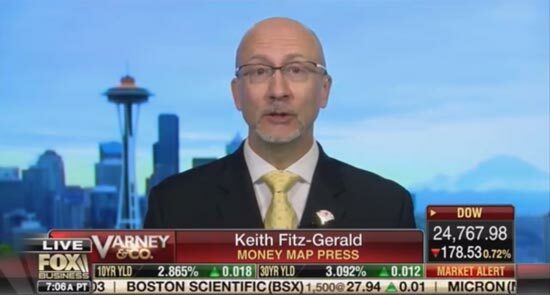 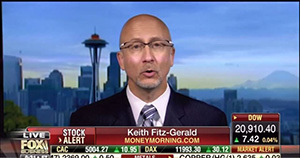 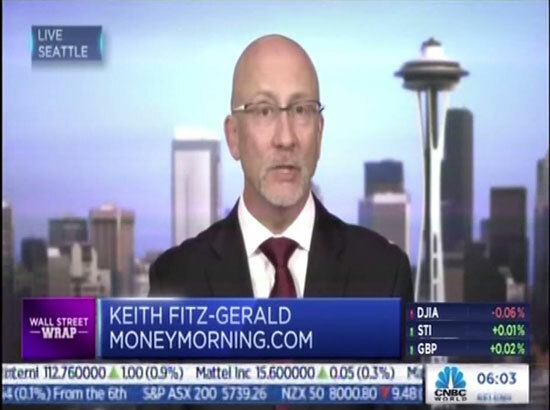 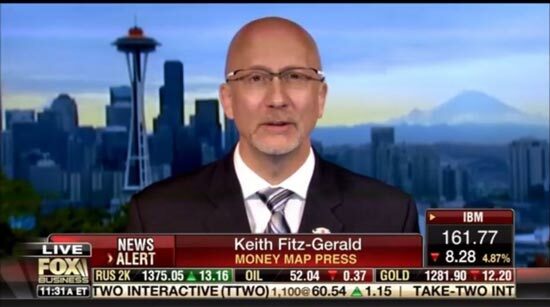 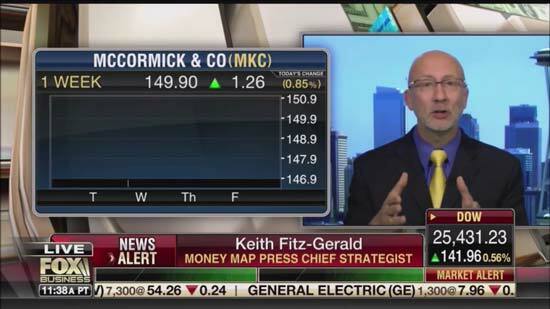 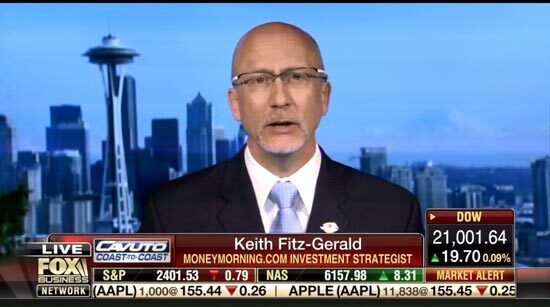 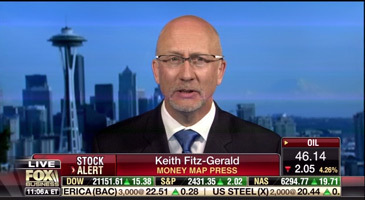 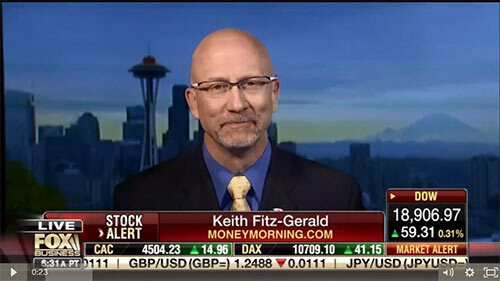 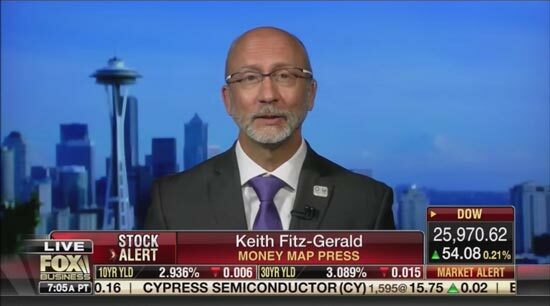 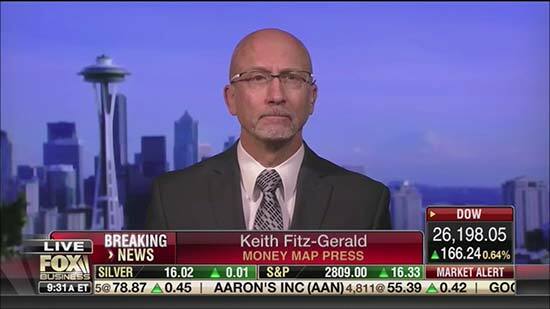 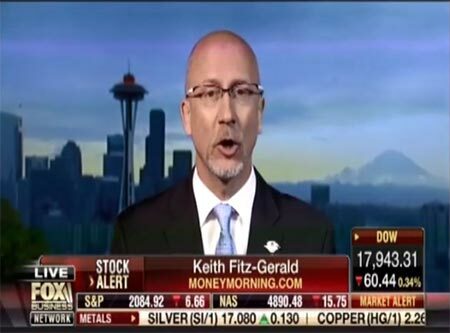 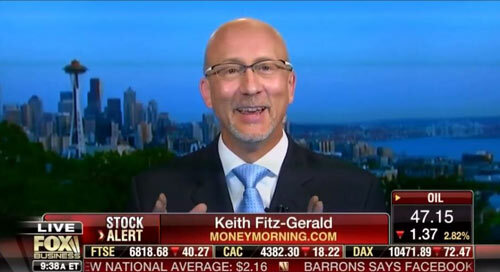 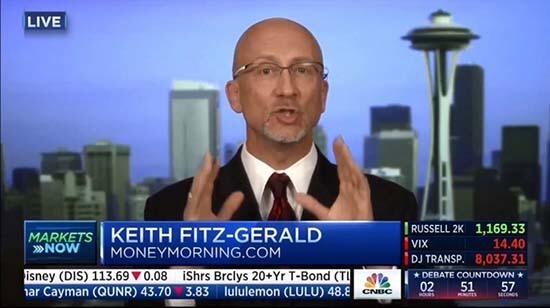 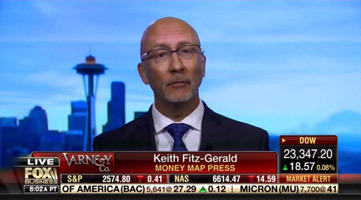 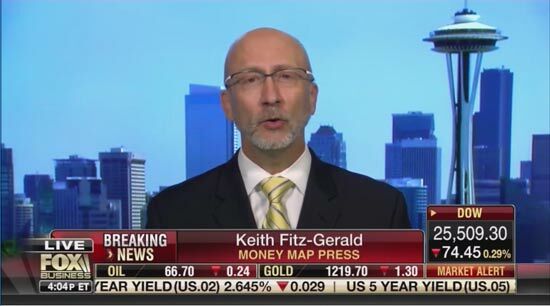 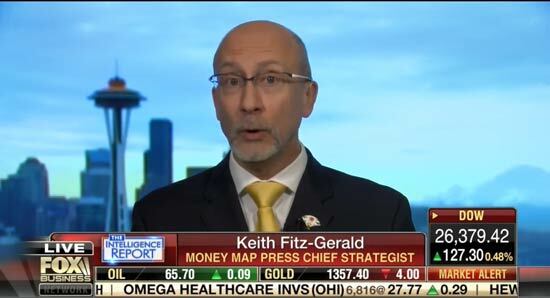 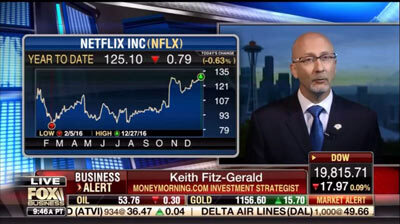 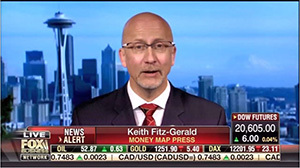 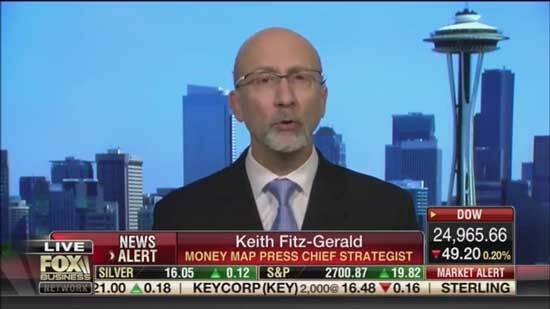 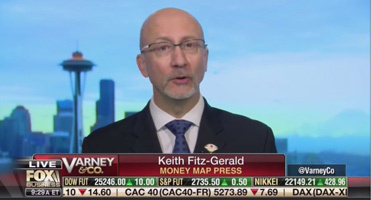 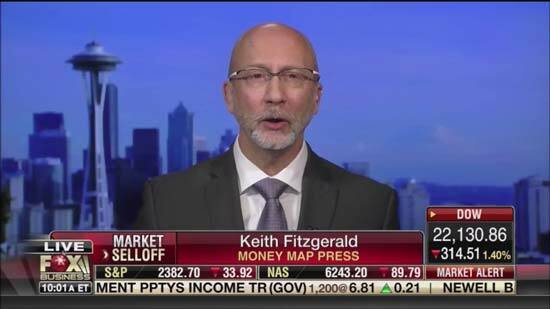 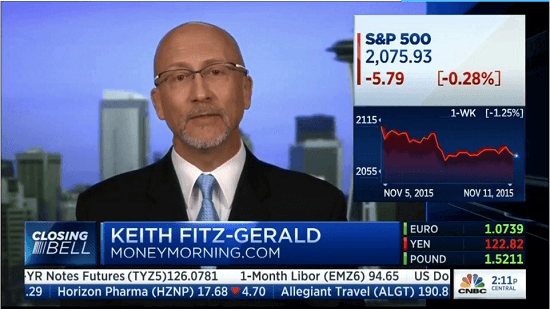 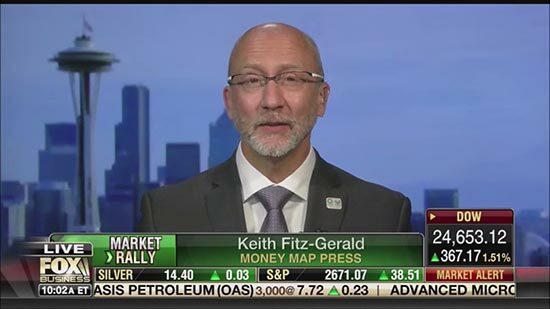 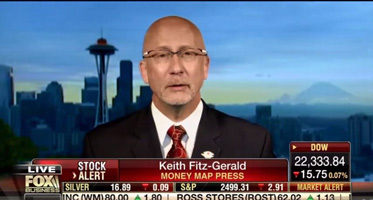 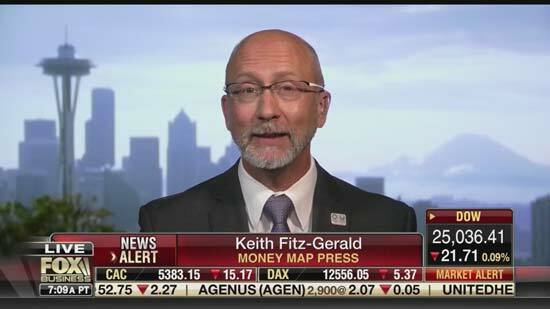 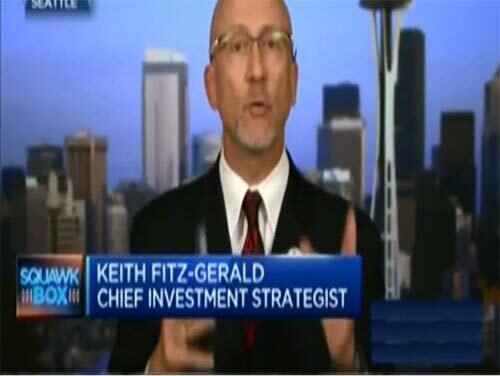 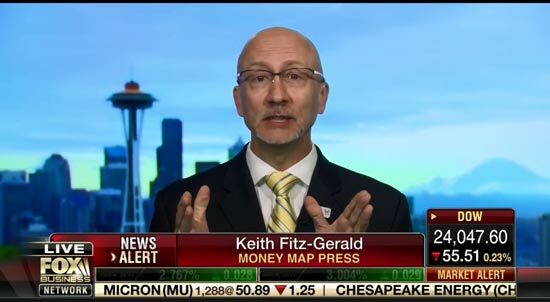 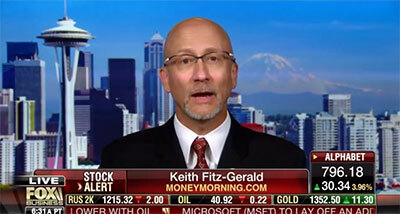 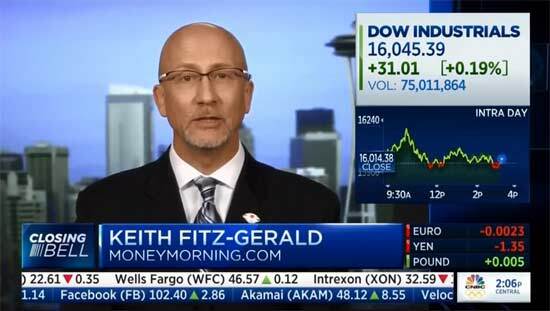 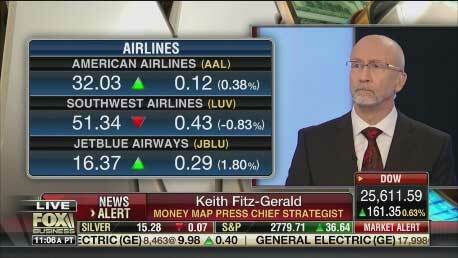 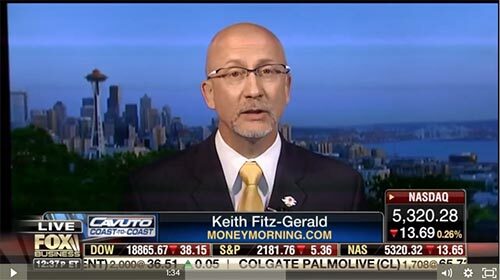 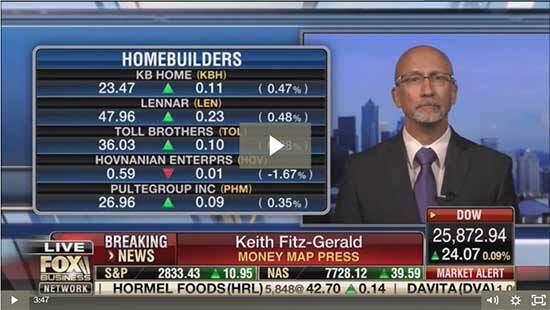 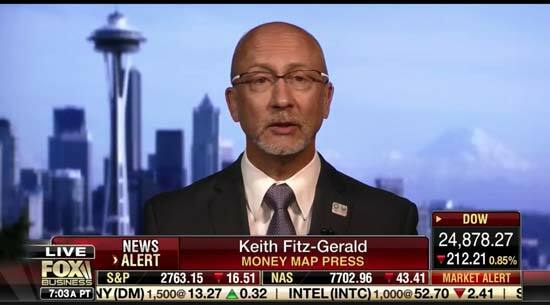 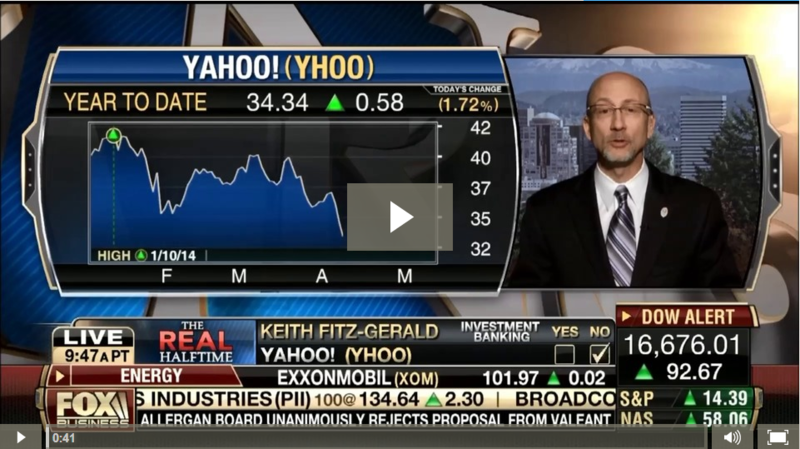 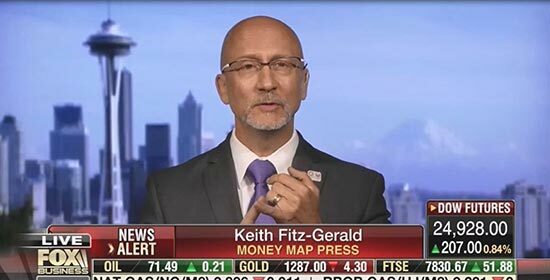 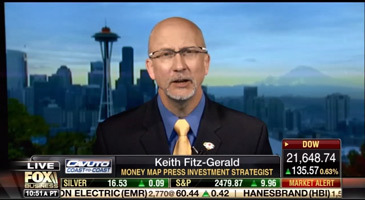 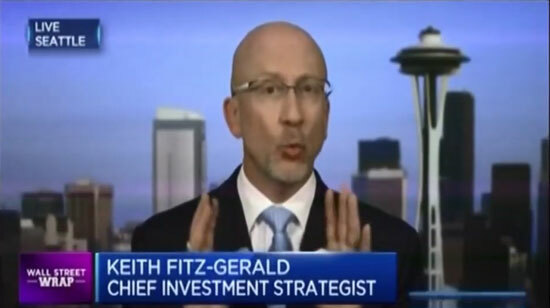 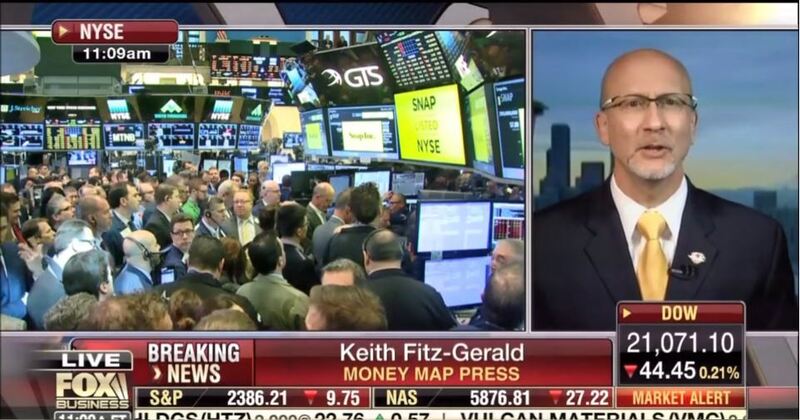 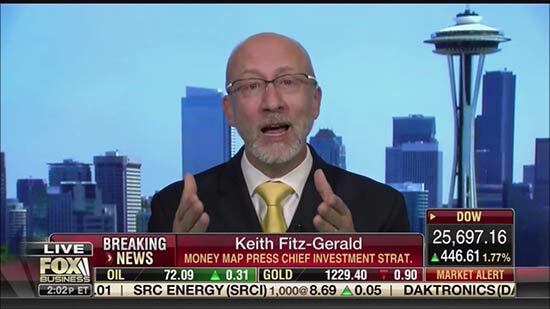 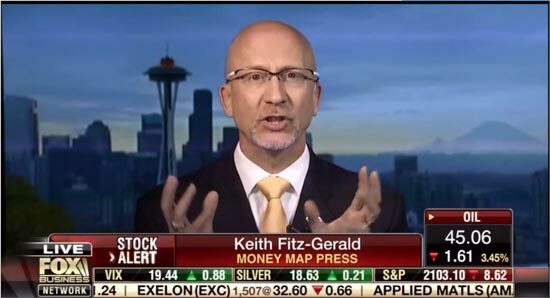 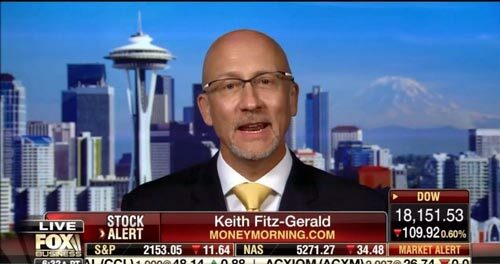 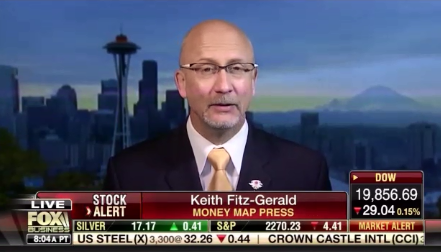 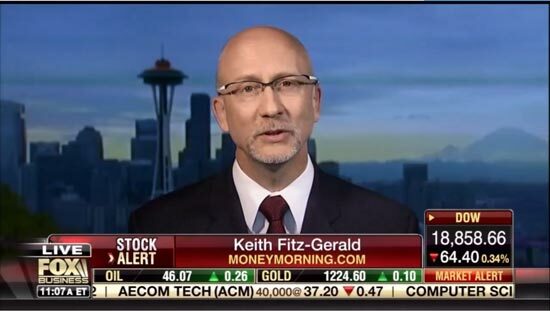 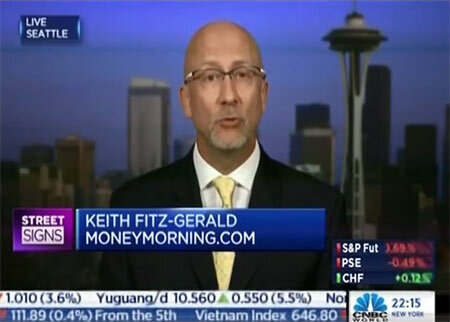 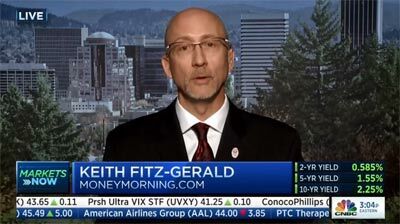 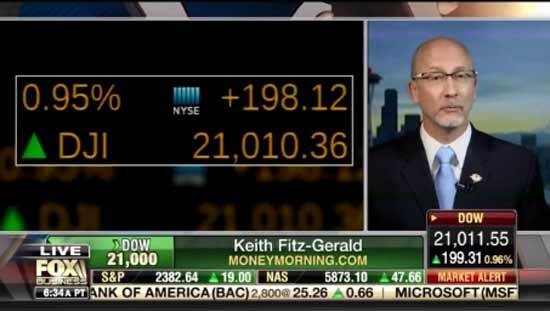 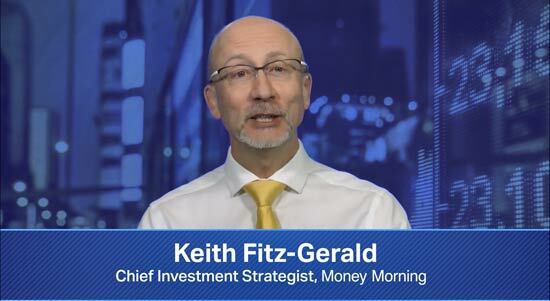 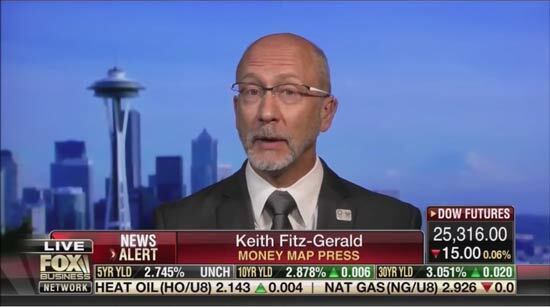 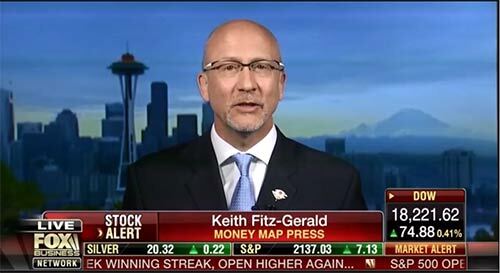 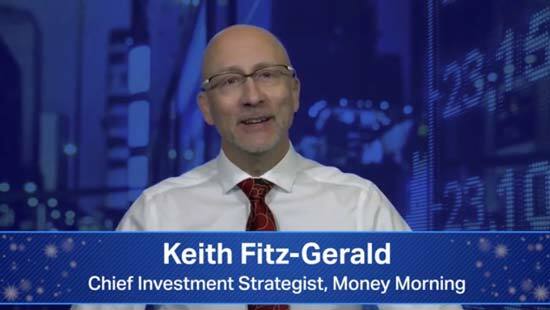 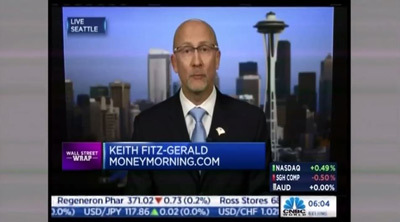 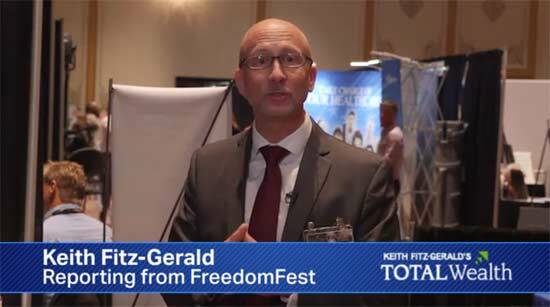 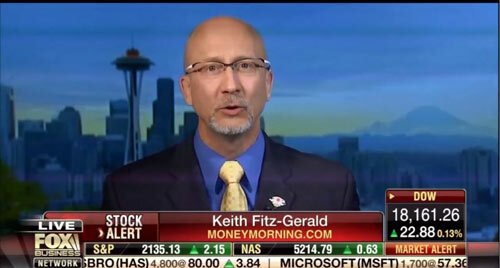 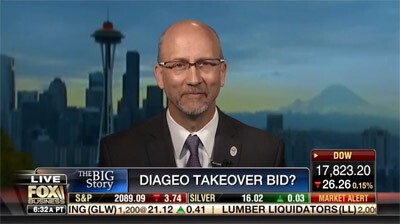 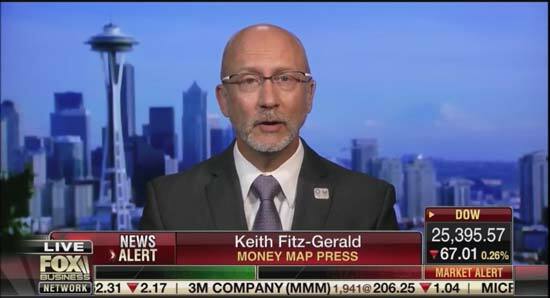 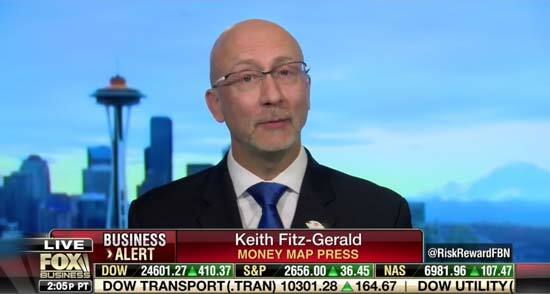 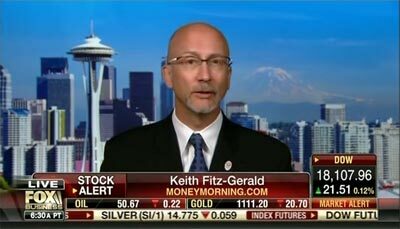 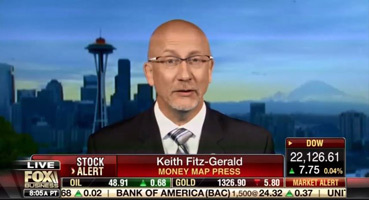 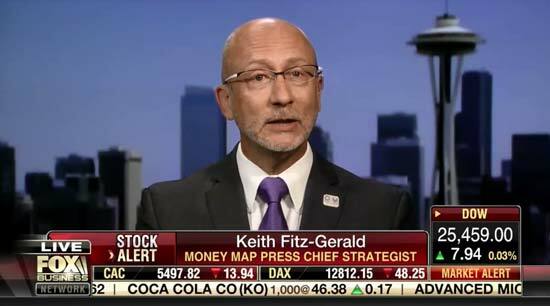 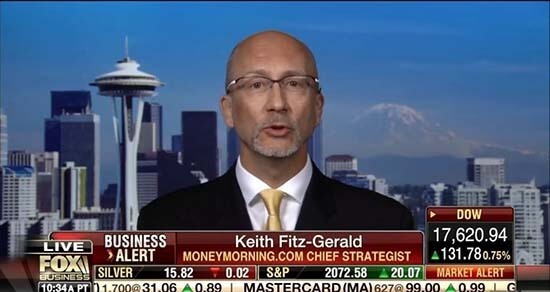 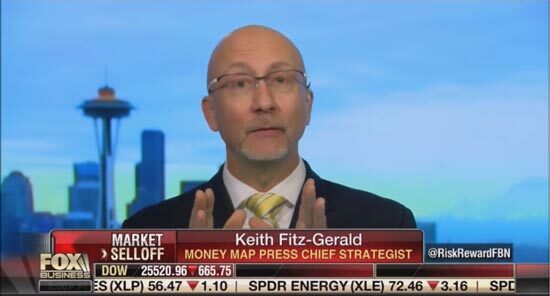 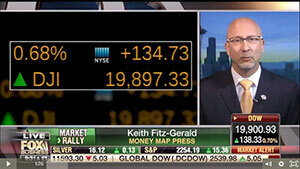 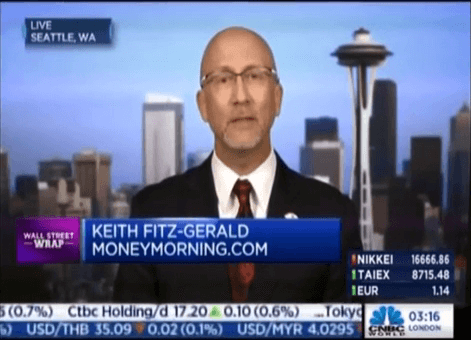 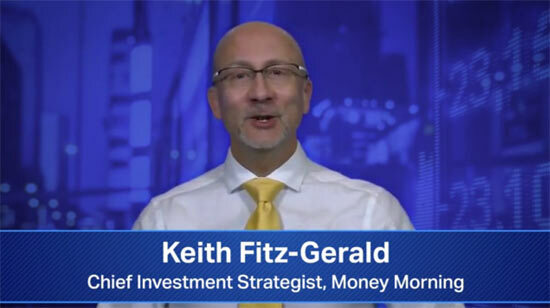 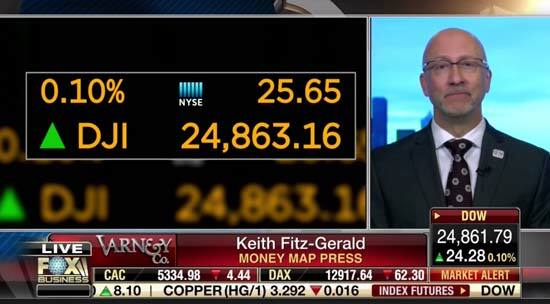 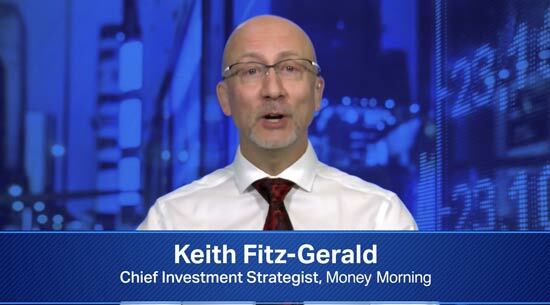 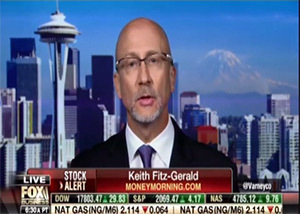 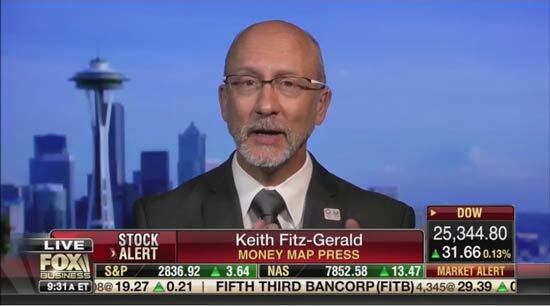 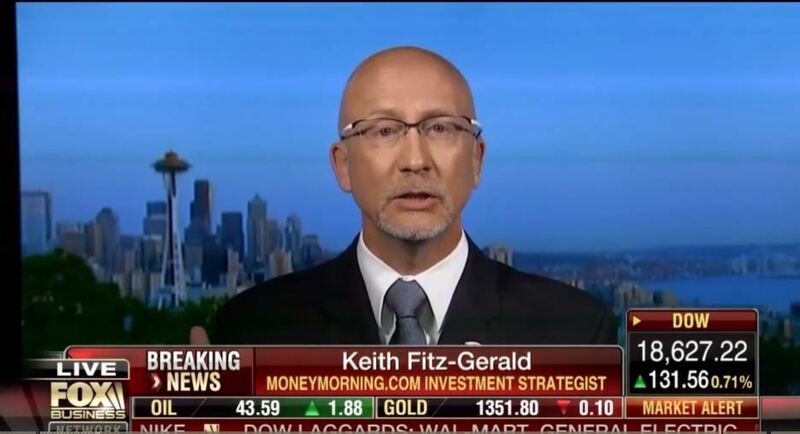 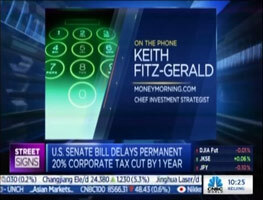 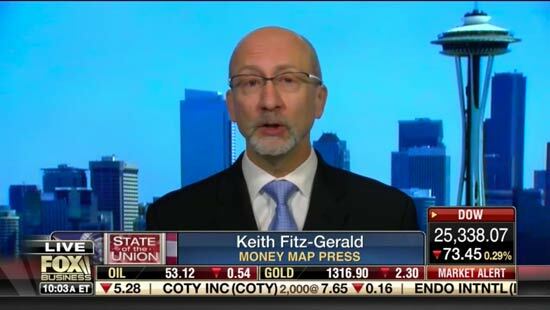 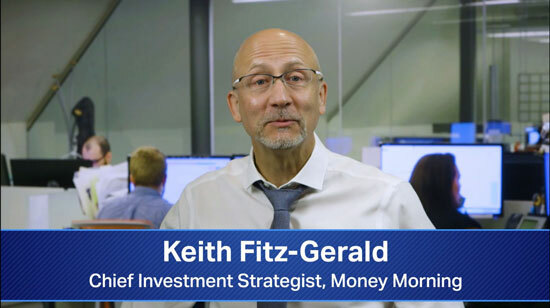 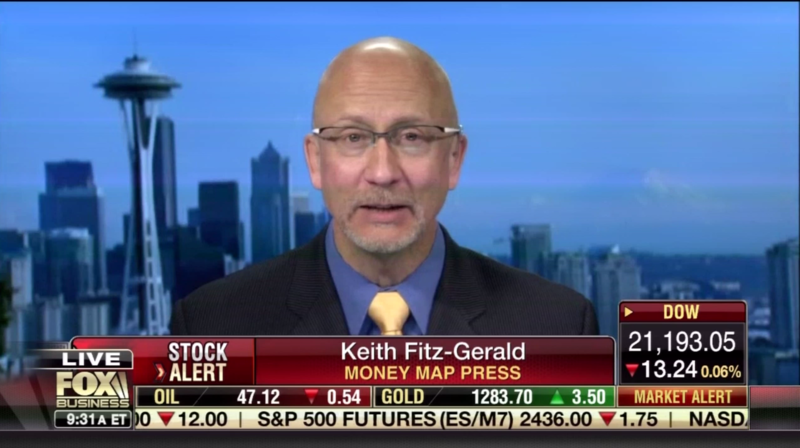 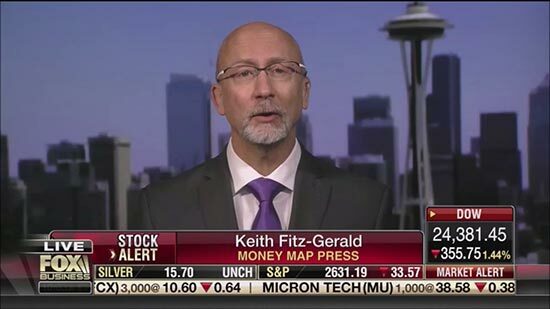 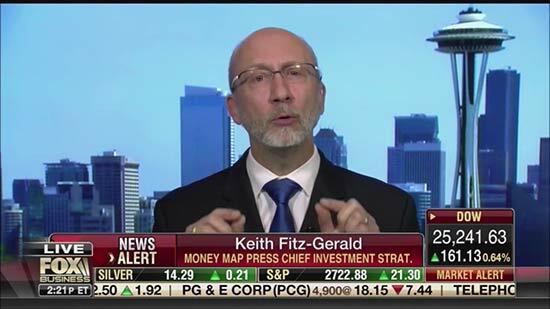 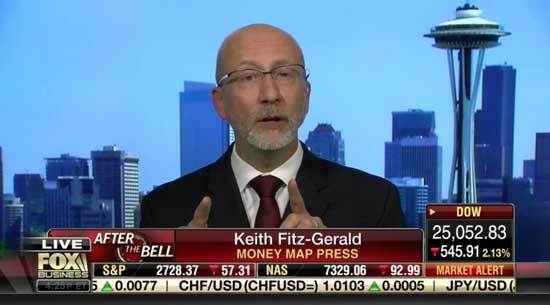 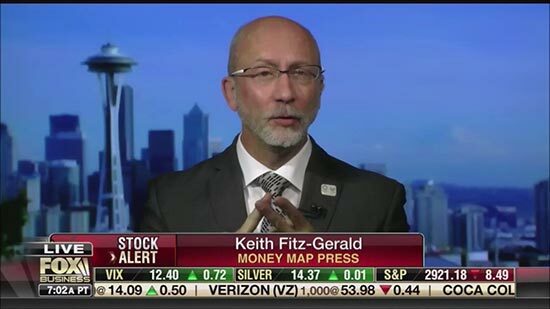 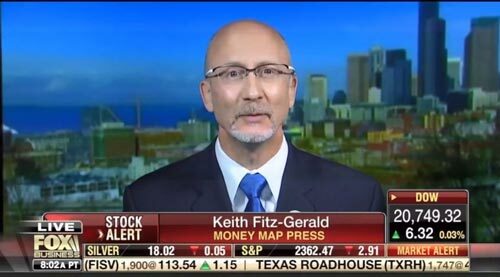 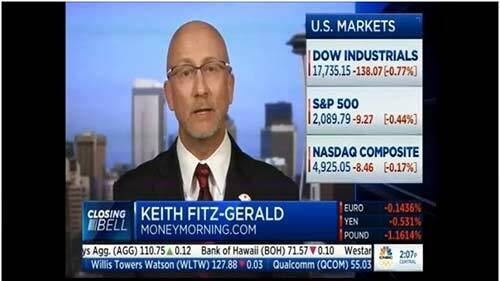 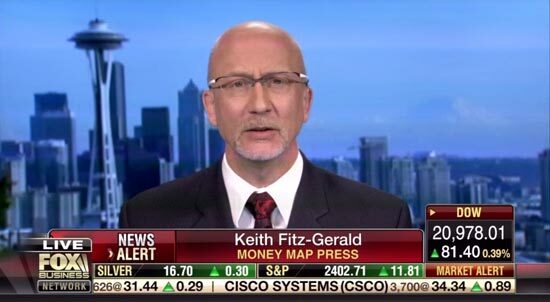 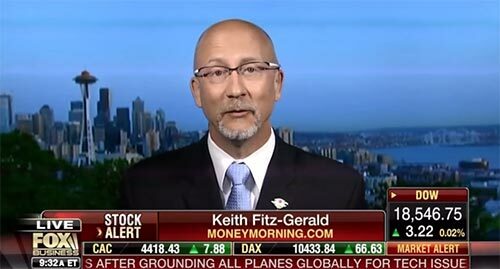 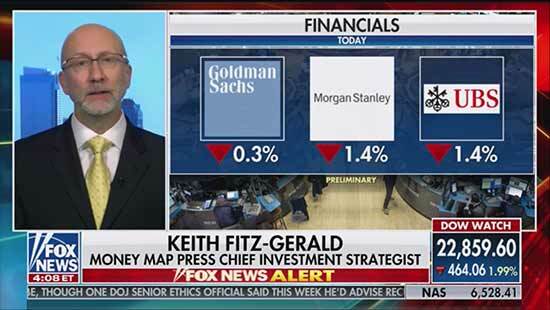 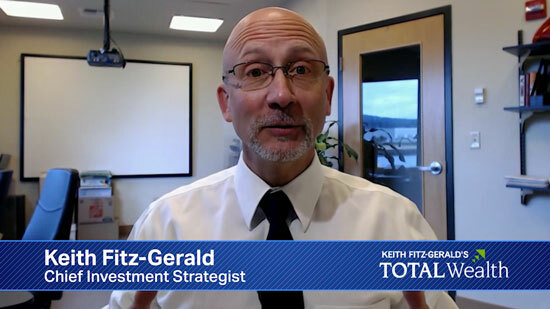 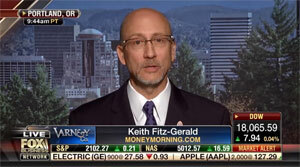 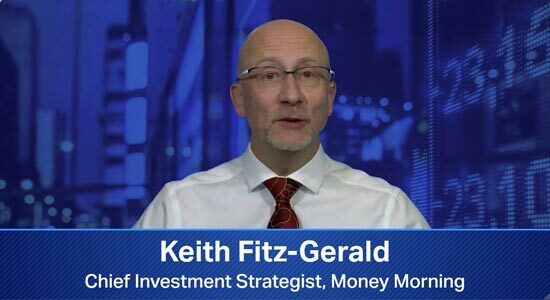 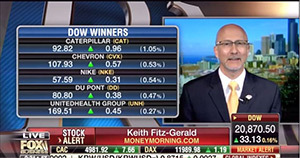 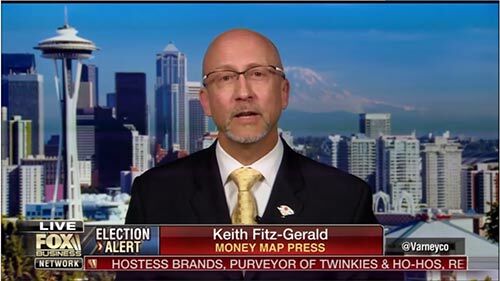 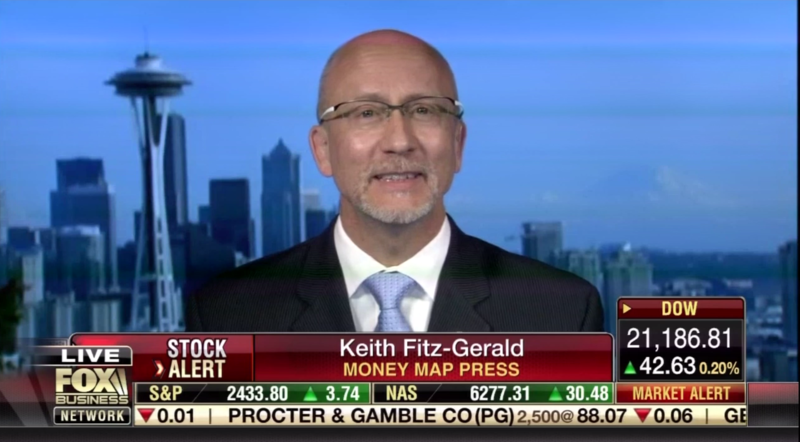 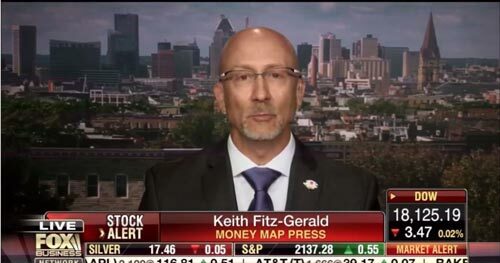 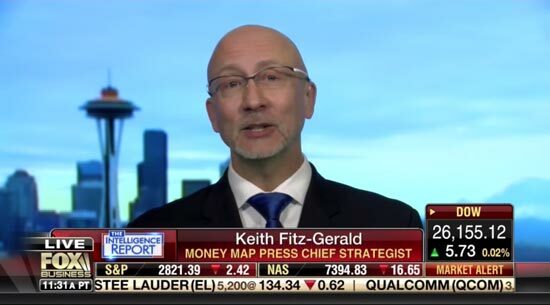 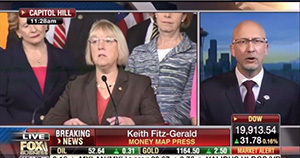 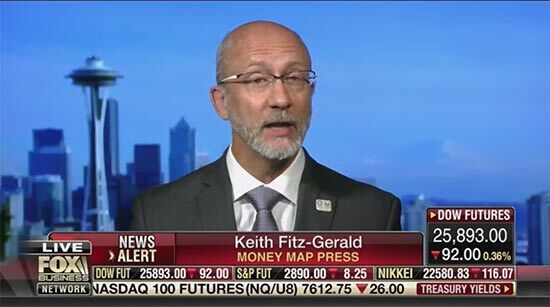 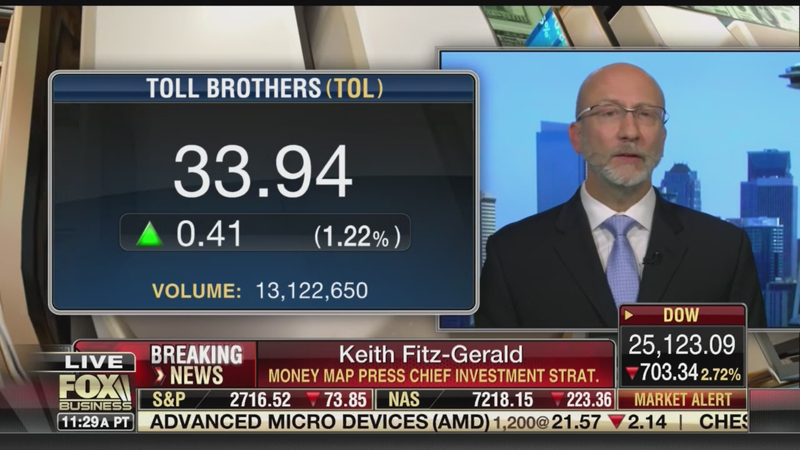 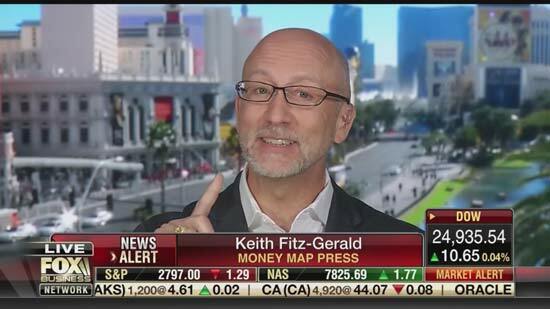 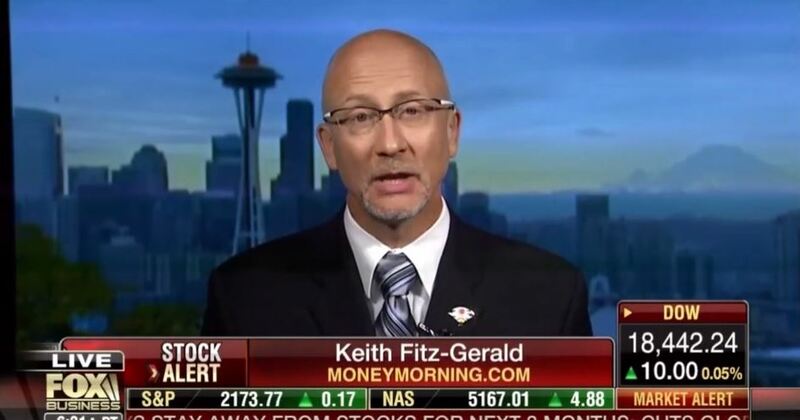 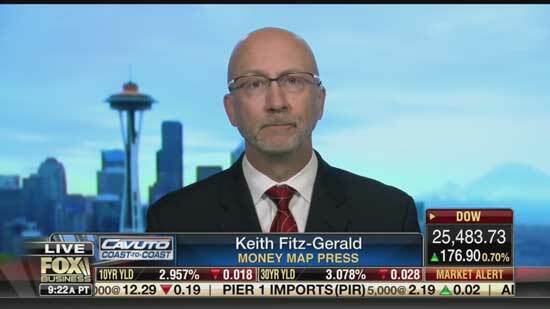 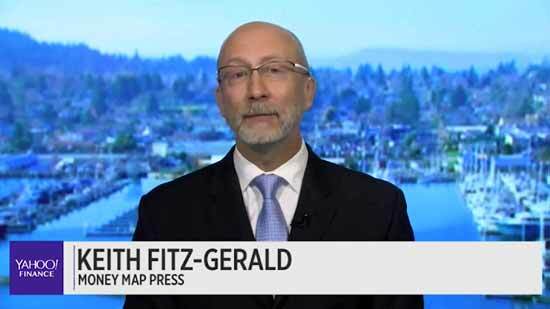 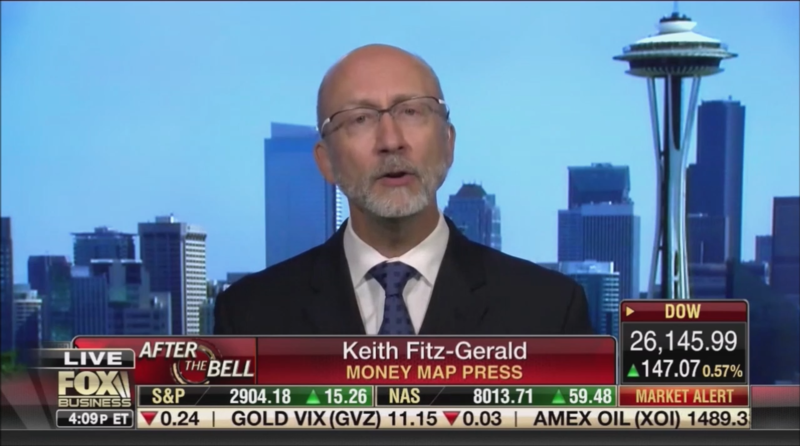 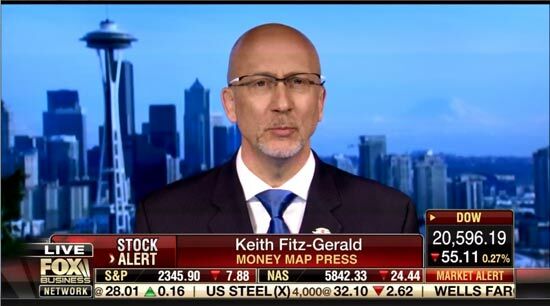 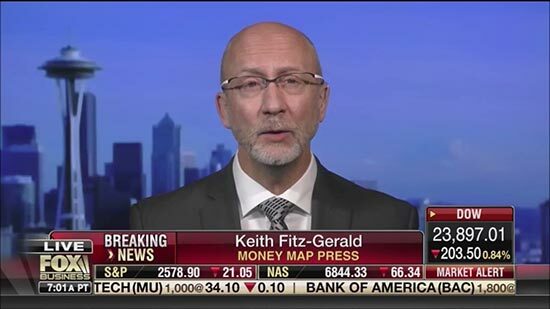 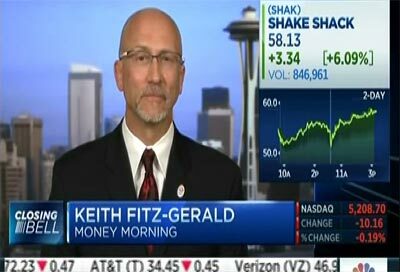 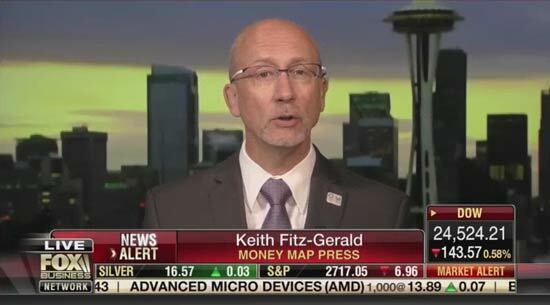 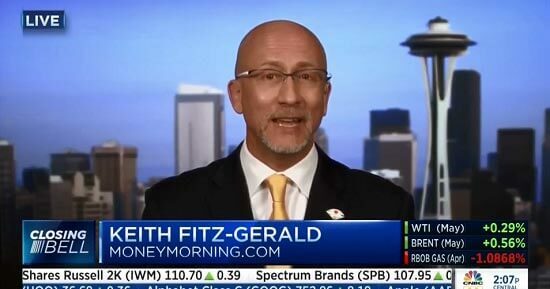 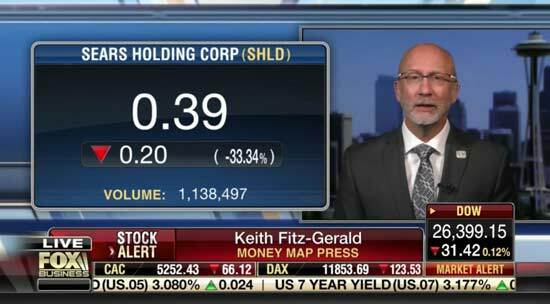 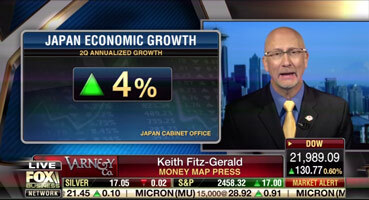 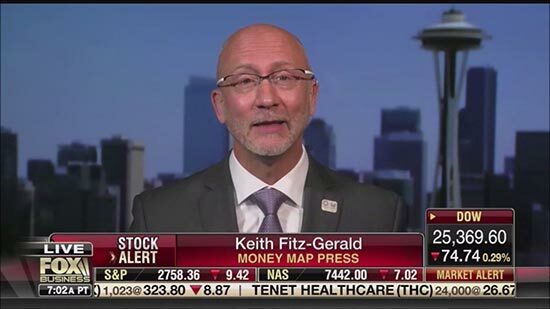 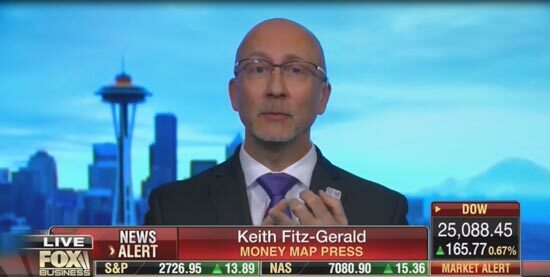 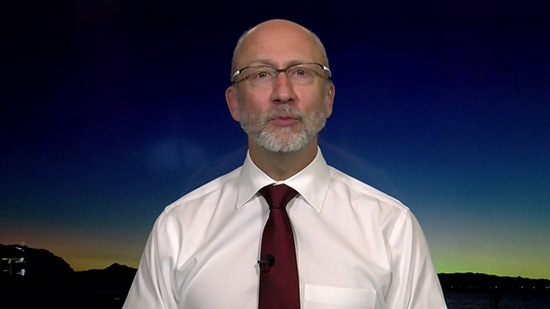 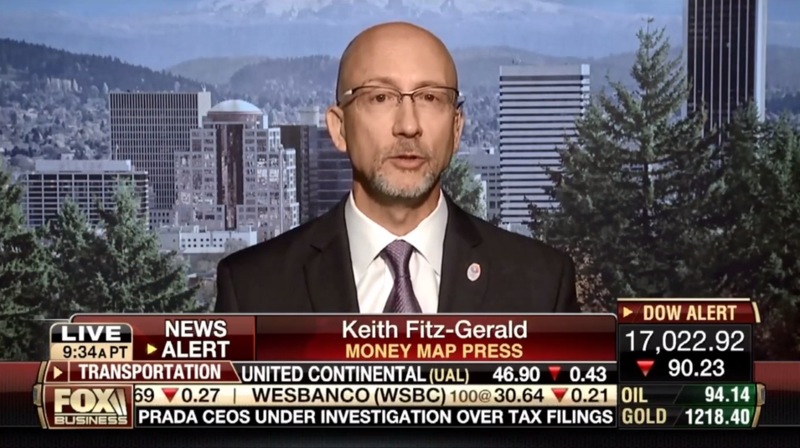 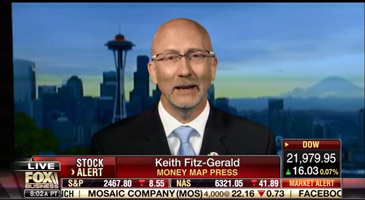 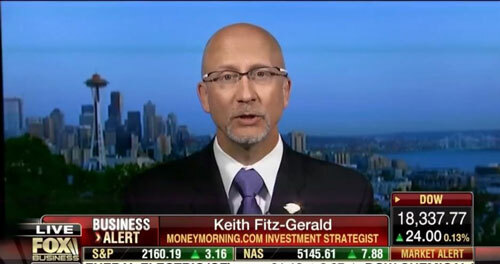 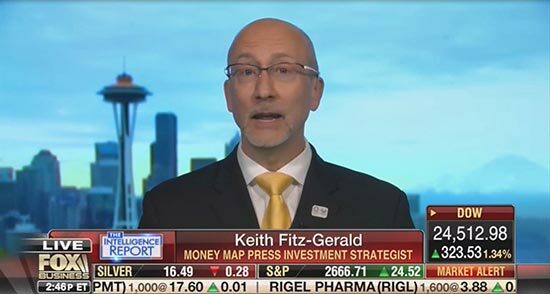 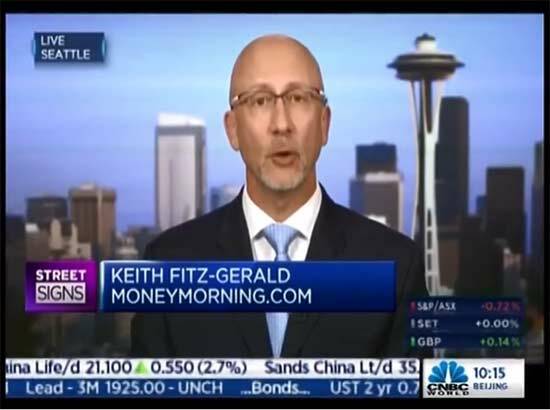 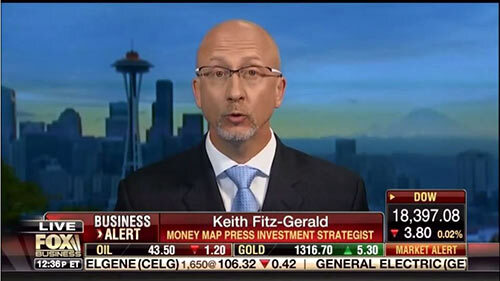 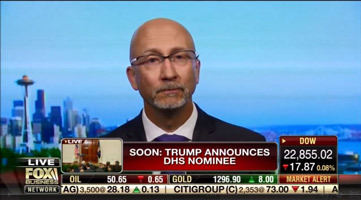 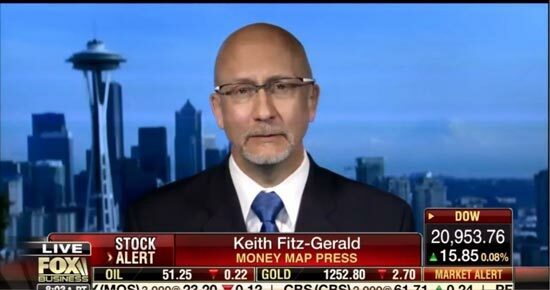 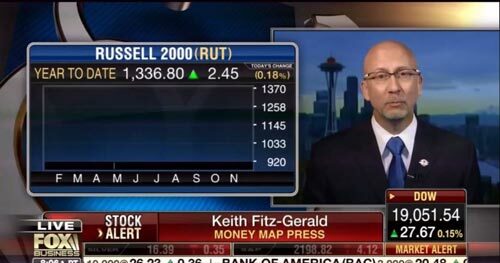 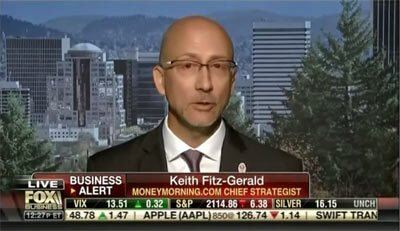 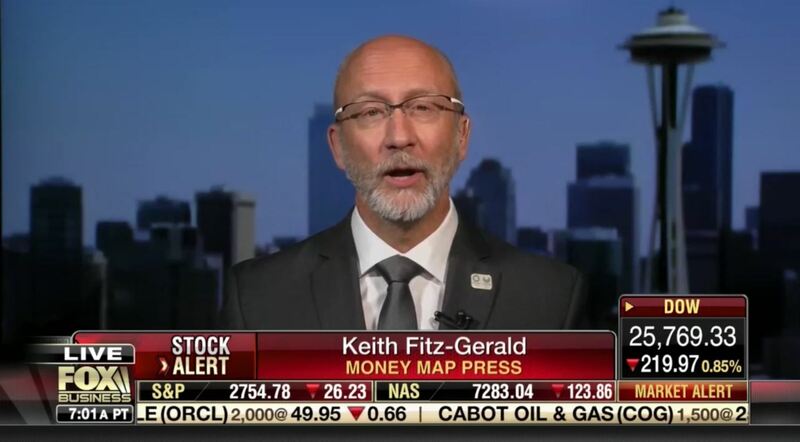 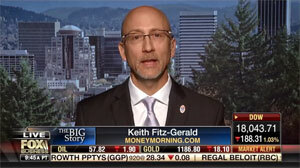 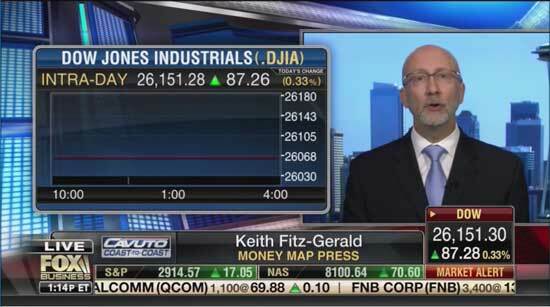 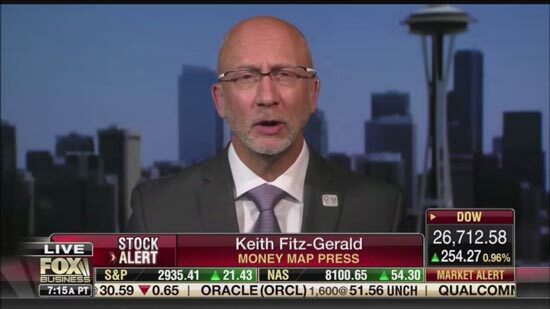 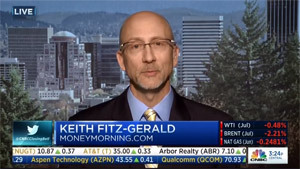 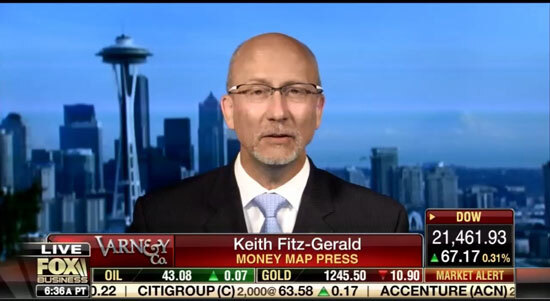 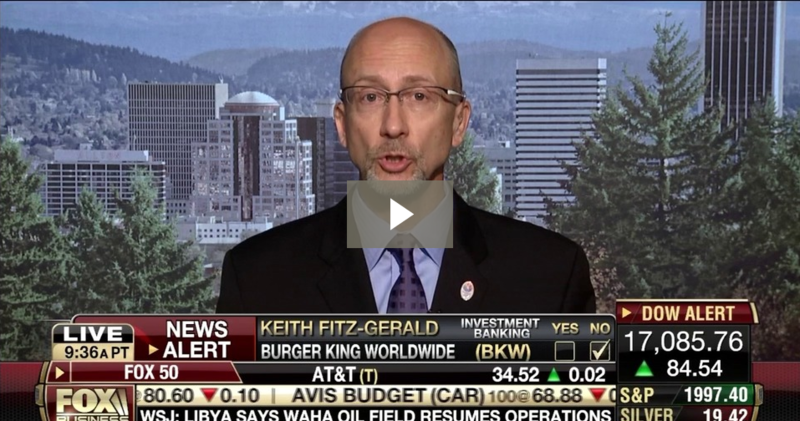 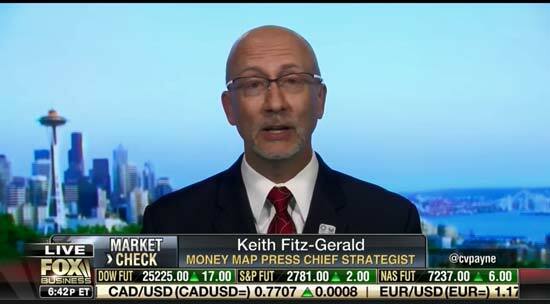 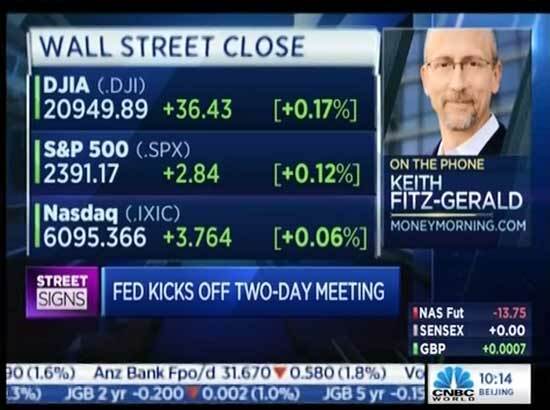 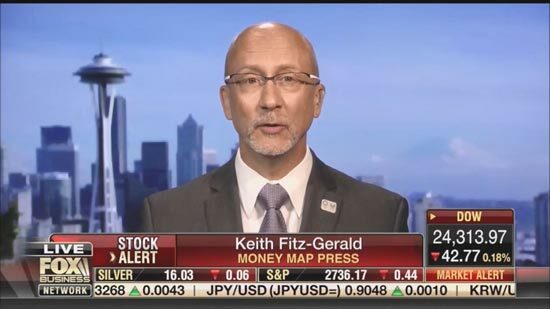 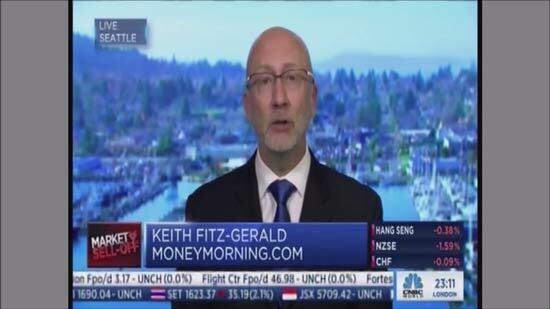 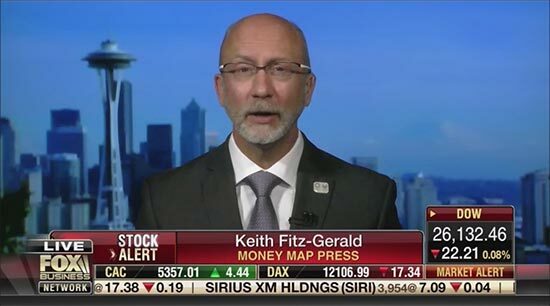 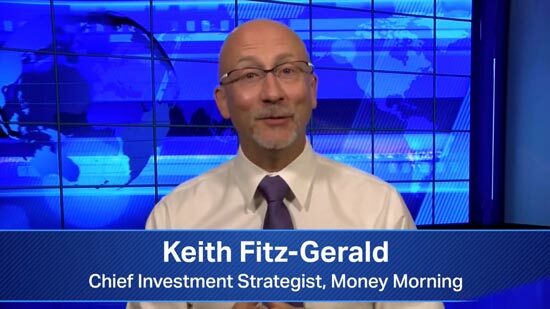 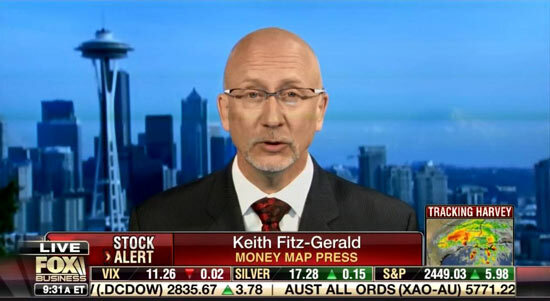 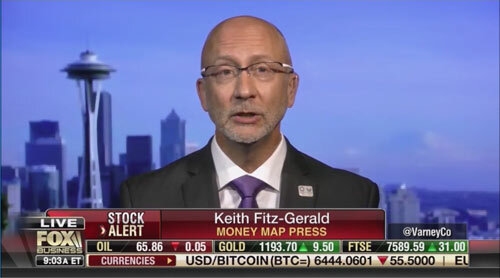 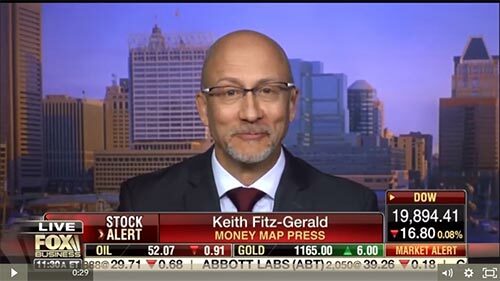 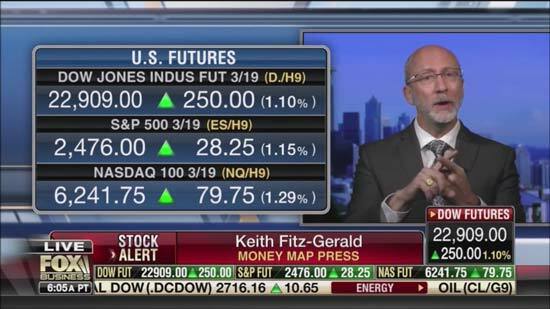 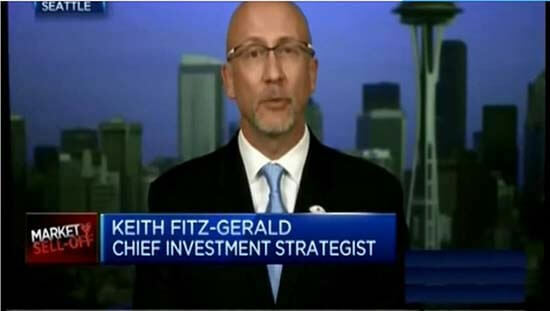 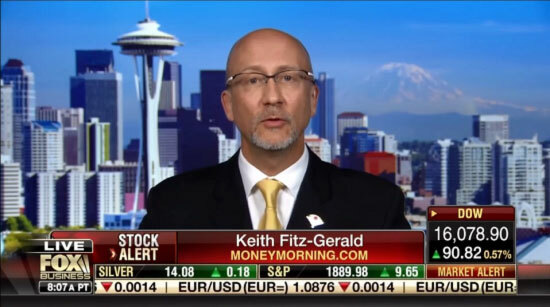 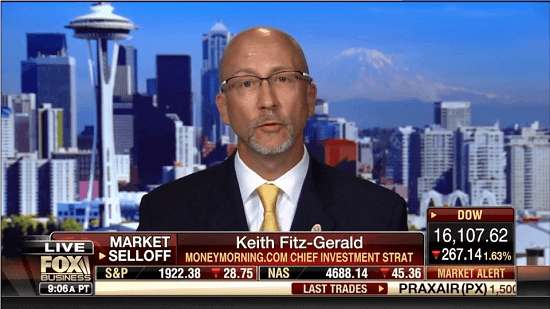 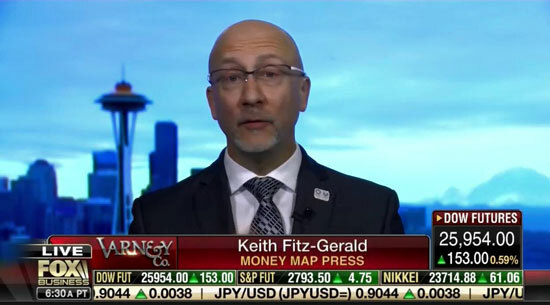 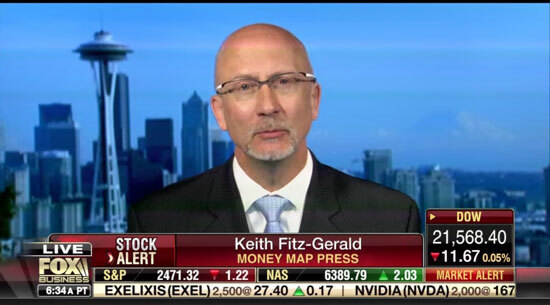 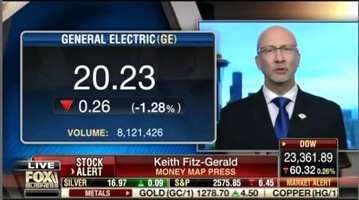 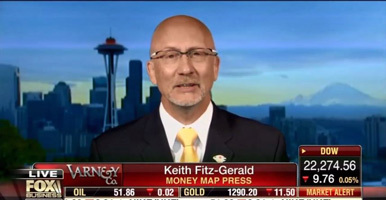 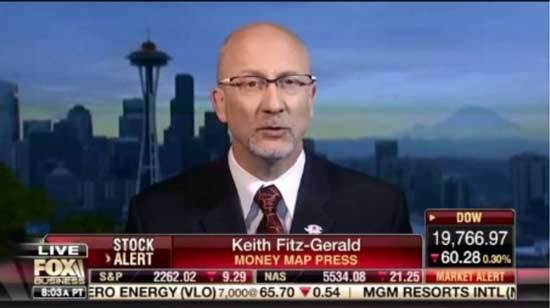 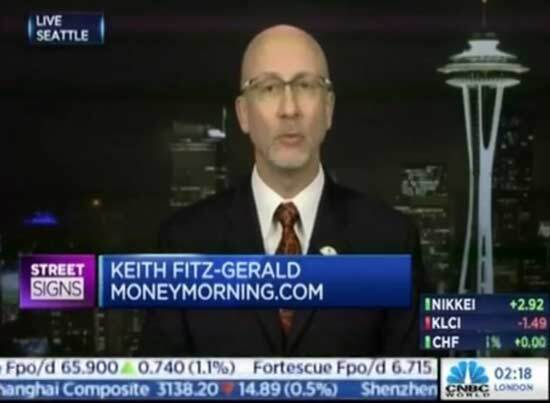 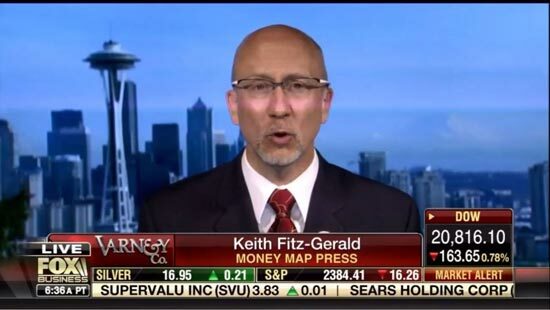 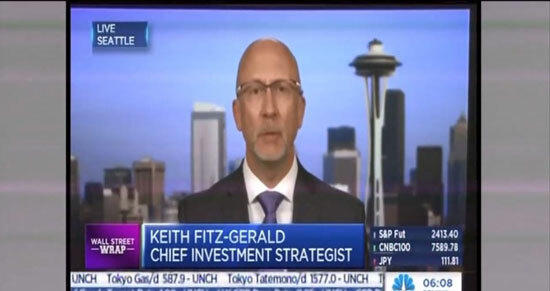 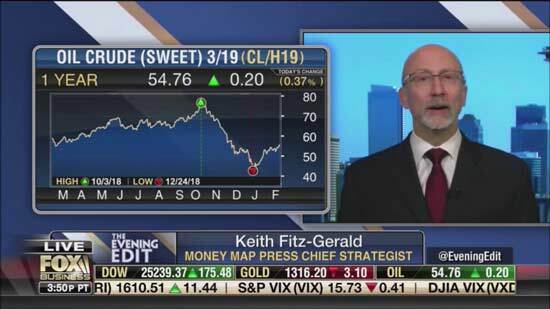 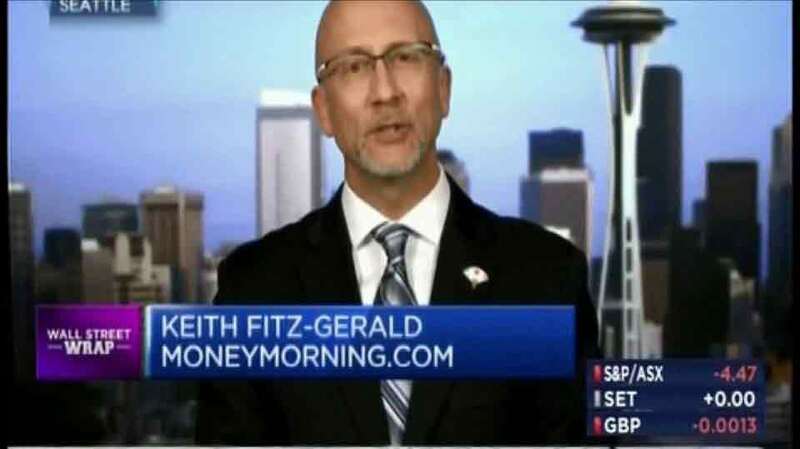 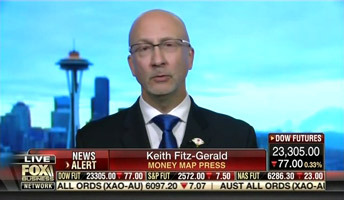 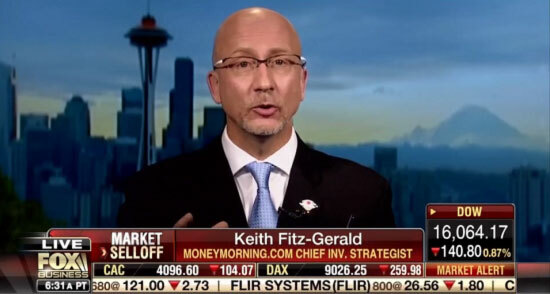 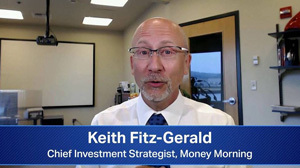 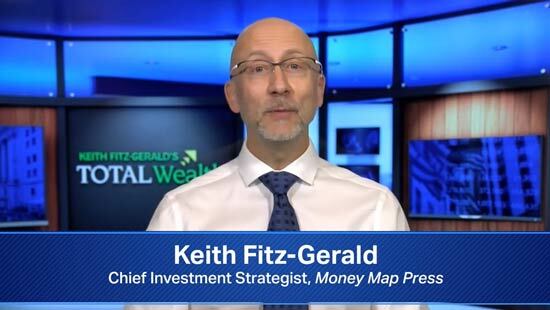 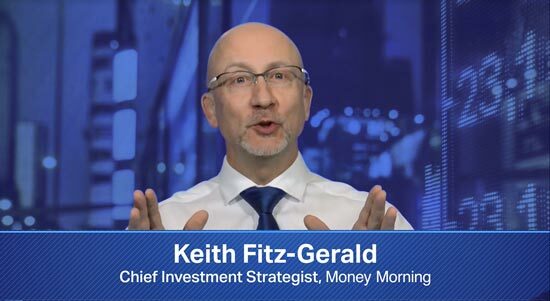 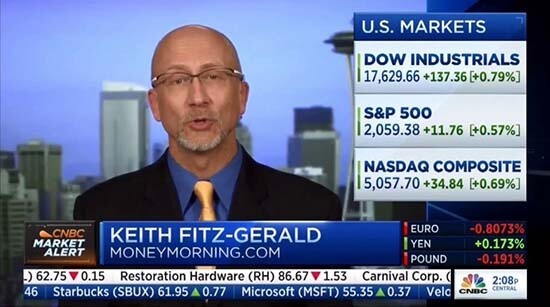 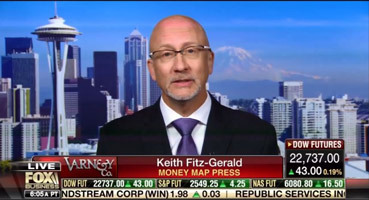 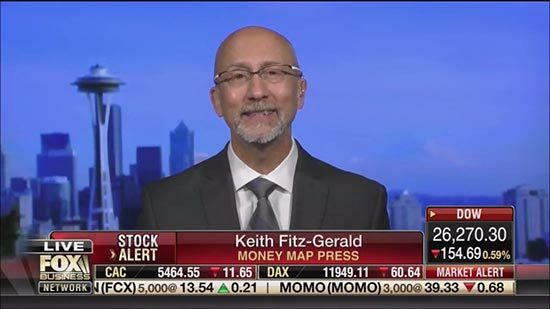 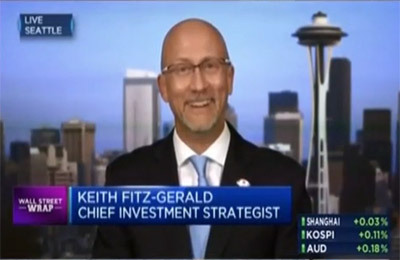 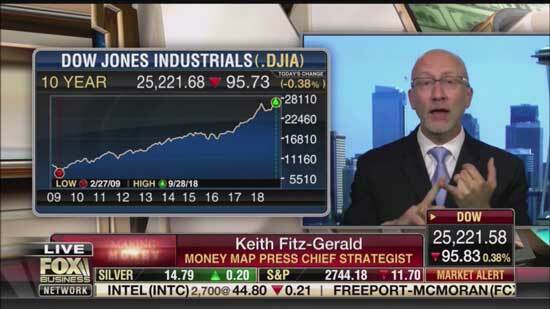 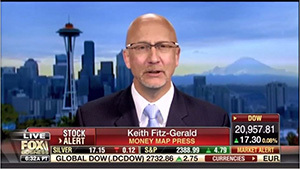 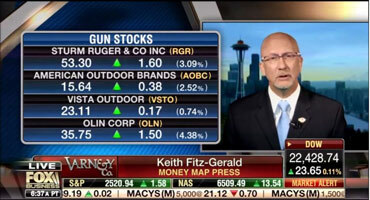 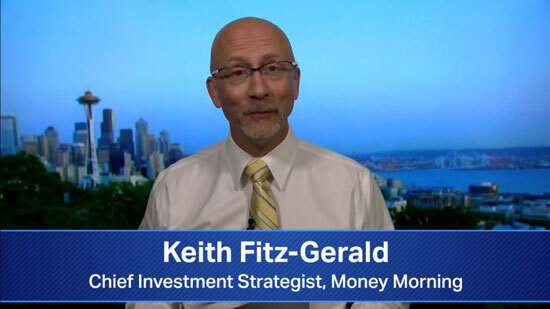 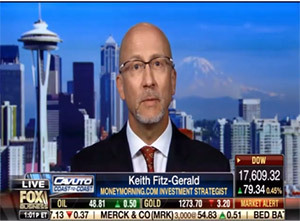 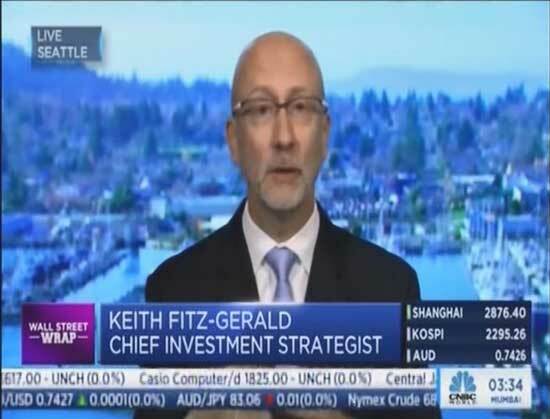 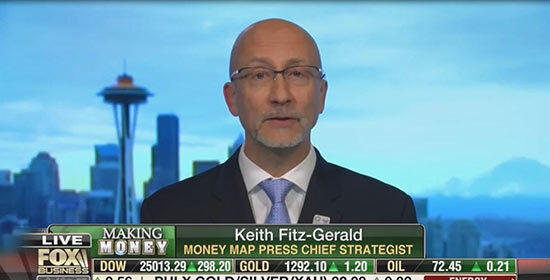 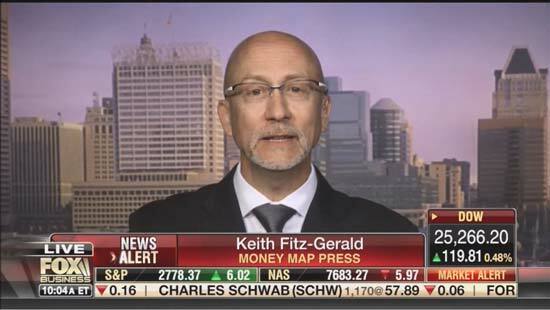 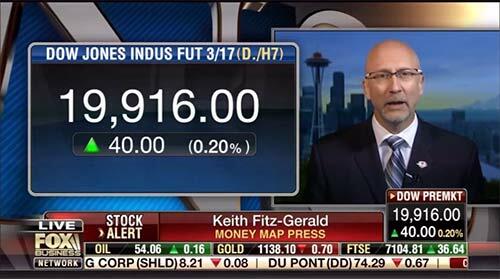 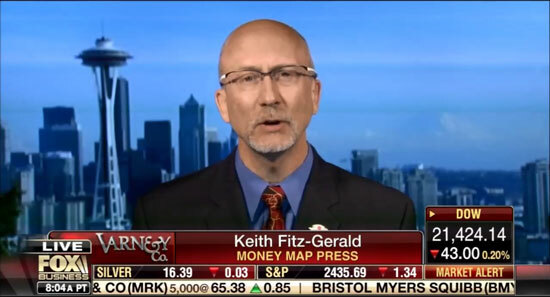 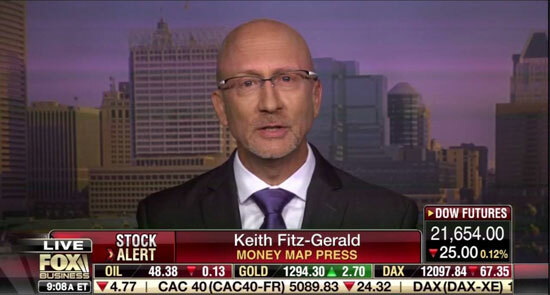 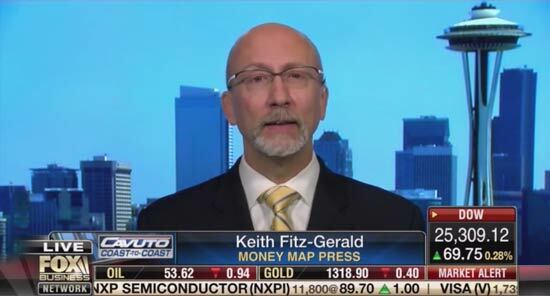 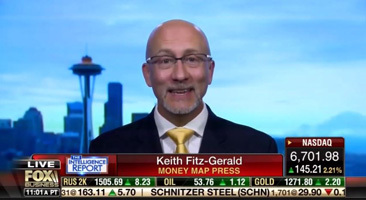 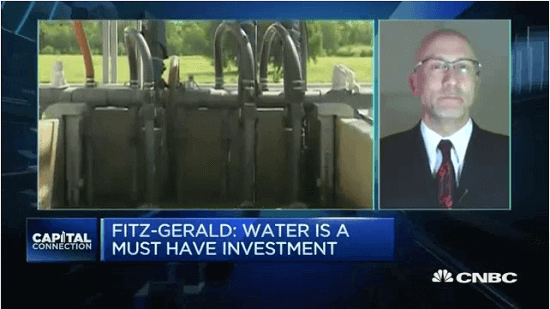 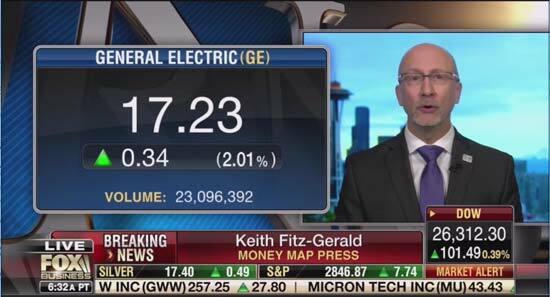 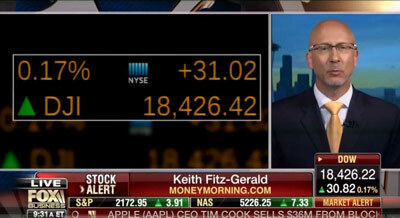 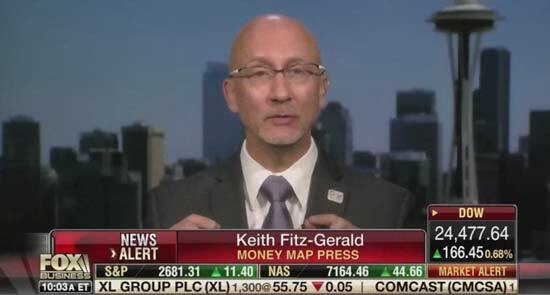 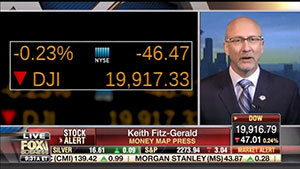 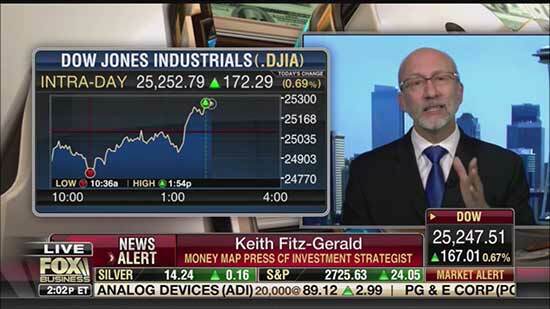 February 4, 2019Keith: Get Ready If You’re Running Diesel! 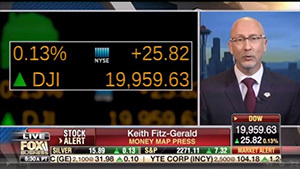 January 30, 2019Keith On… Well, Everything! 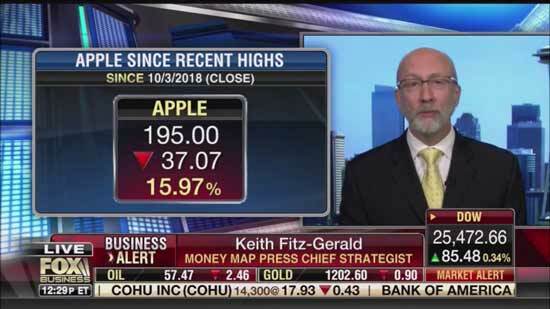 January 4, 2019Keith: Break Out the Ouijee Boards! 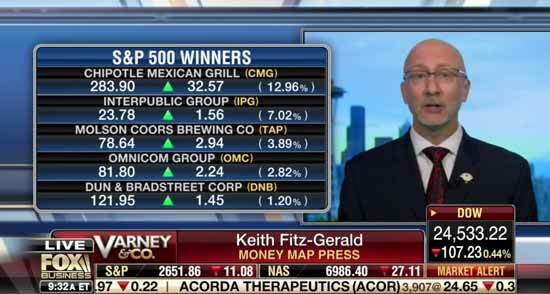 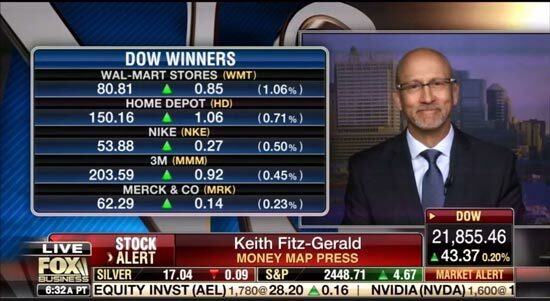 December 15, 2018Weekend Edition: What Tomorrow’s Big Winners are Buying Today! 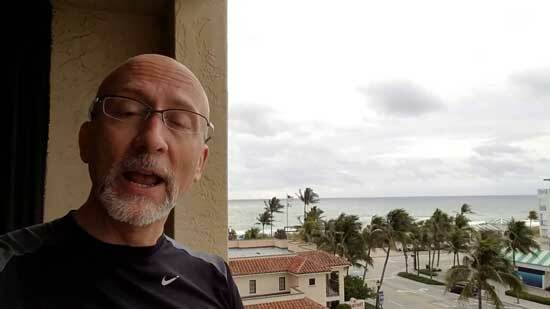 December 4, 2018Why Today and What’s Driving (the Selling)?! 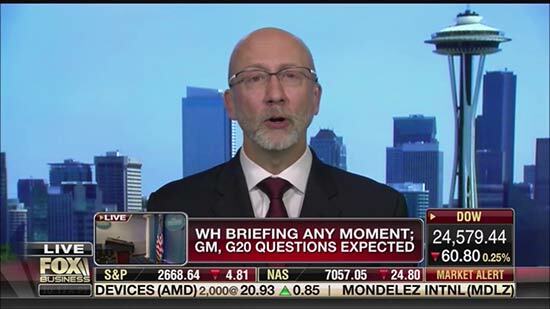 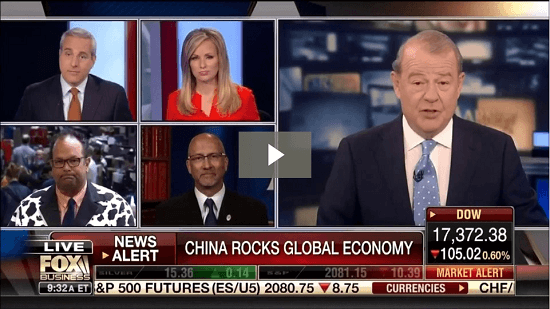 December 3, 2018The G20 Summit… Is The Rally We’ve Been Waiting for Finally Here? 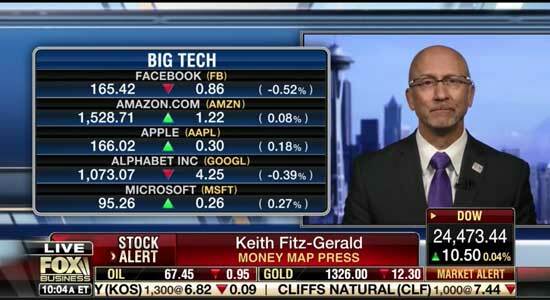 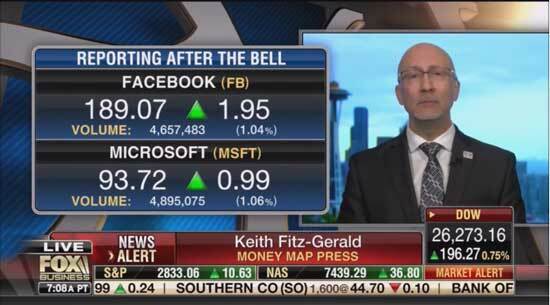 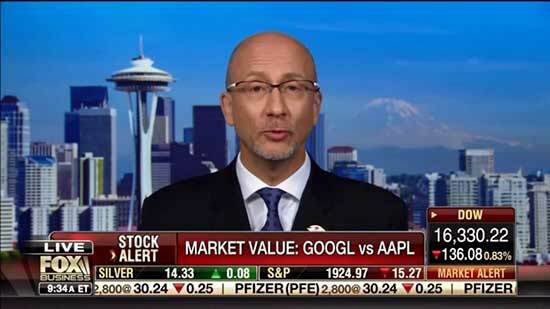 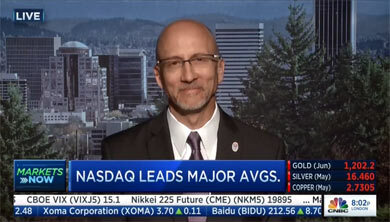 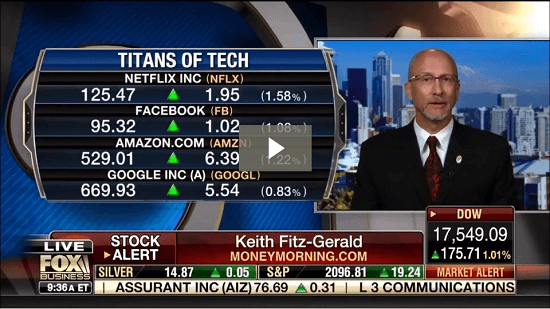 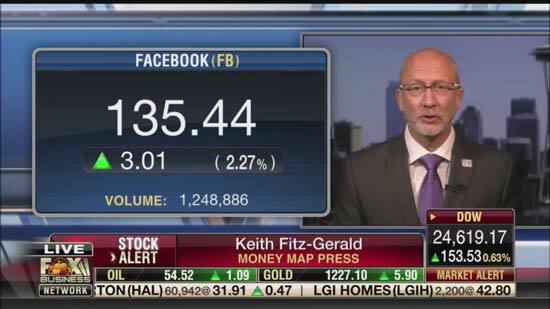 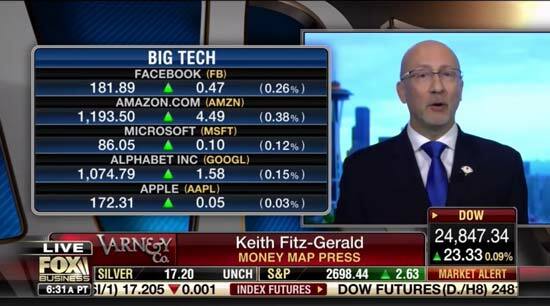 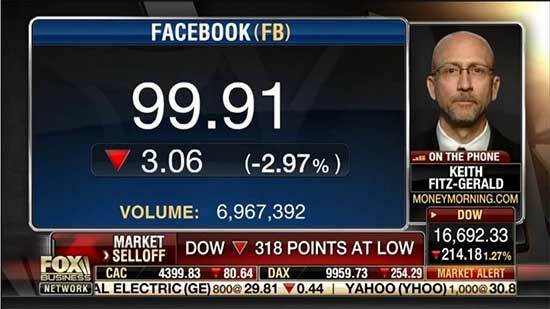 November 21, 2018Could Today Be Big Tech’s Rebound? 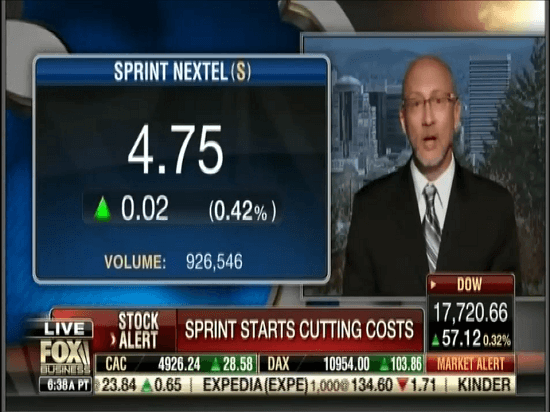 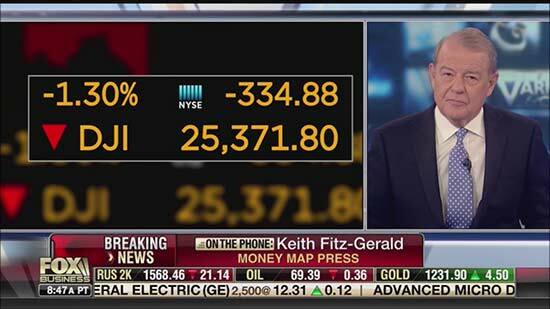 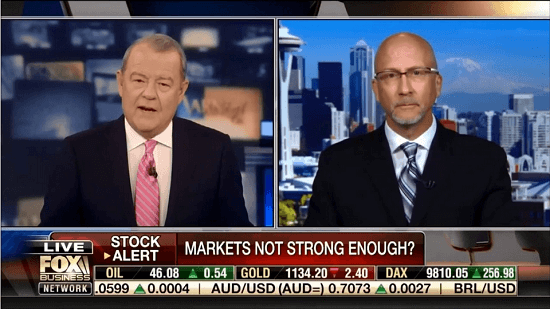 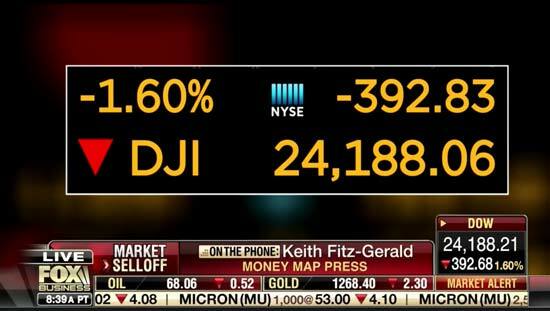 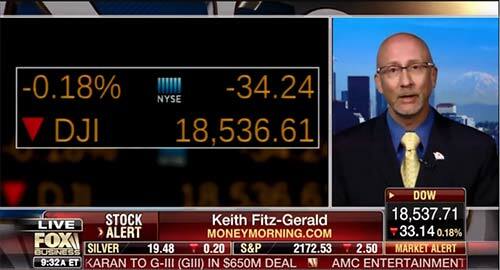 October 18, 2018Markets Down 350 – Is It Justified??!! 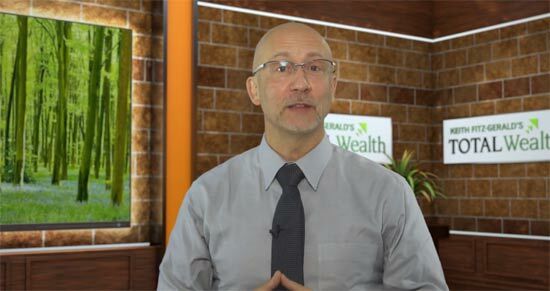 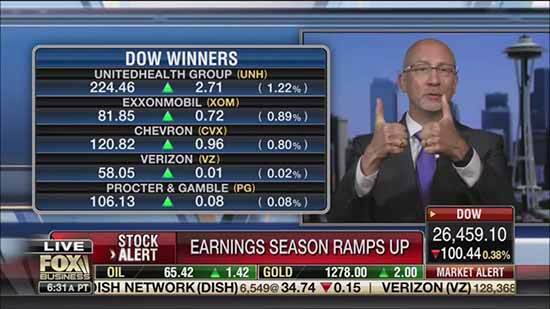 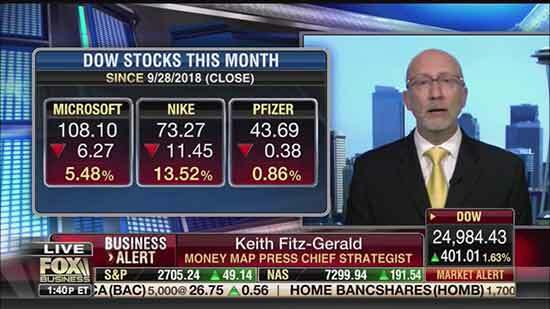 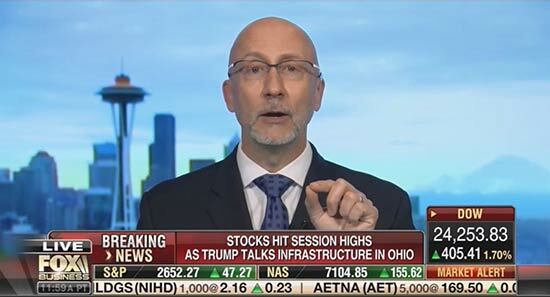 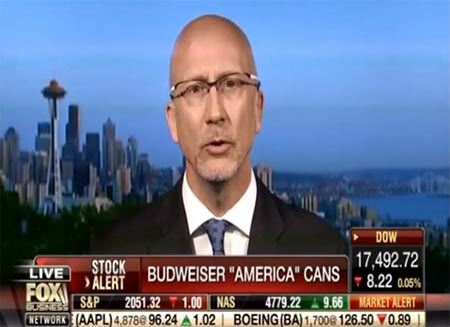 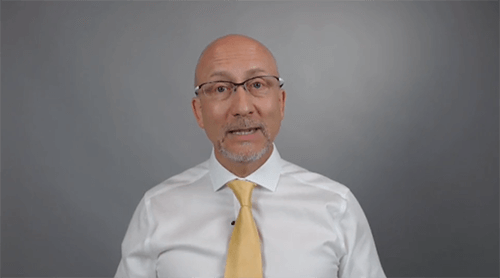 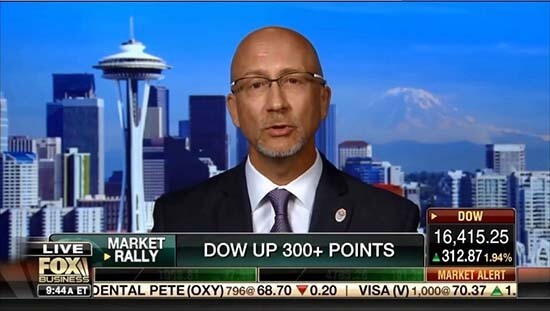 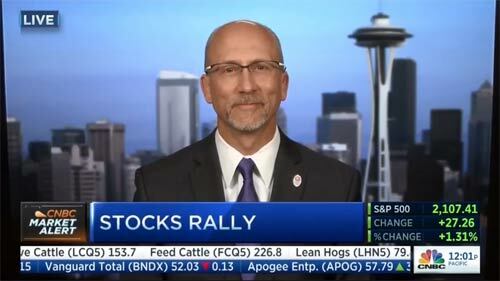 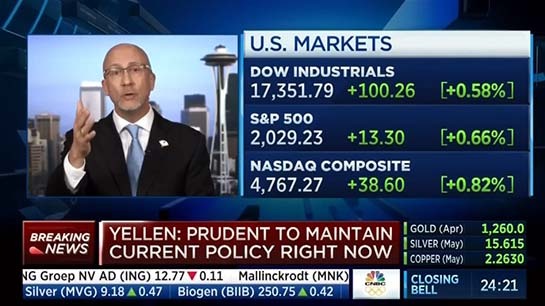 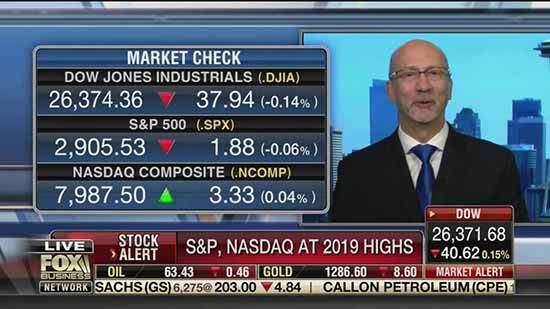 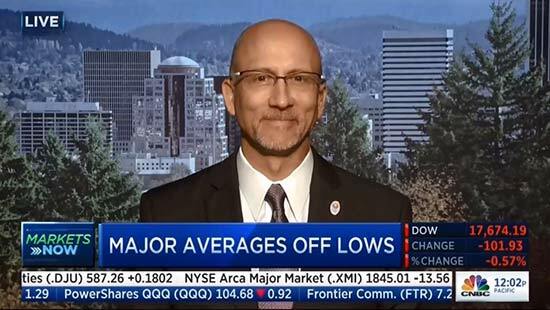 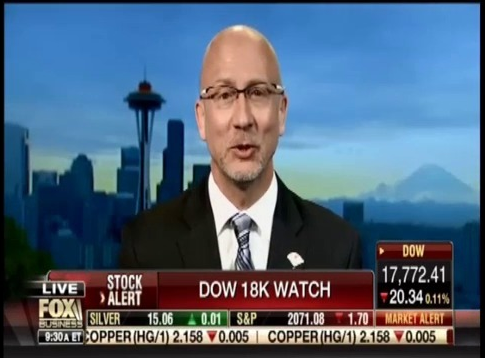 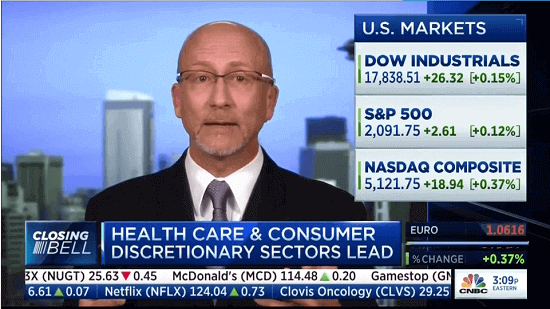 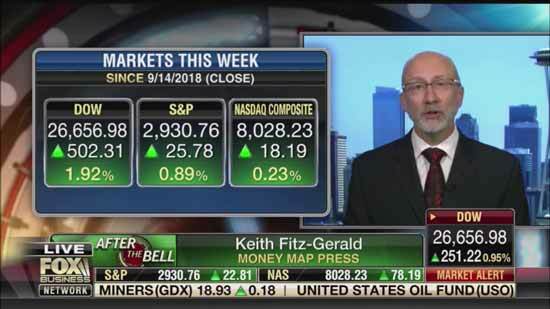 October 10, 2018What Exactly Caused the Dow’s 831-Point Rout? 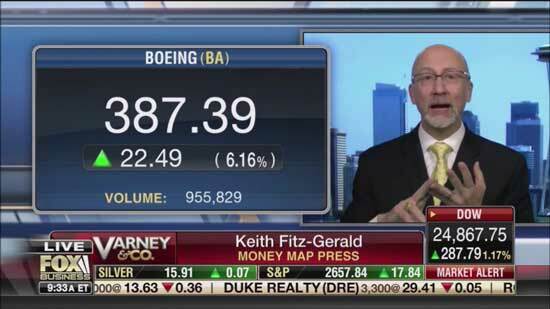 October 1, 2018Be On Board or Be Left Behind! 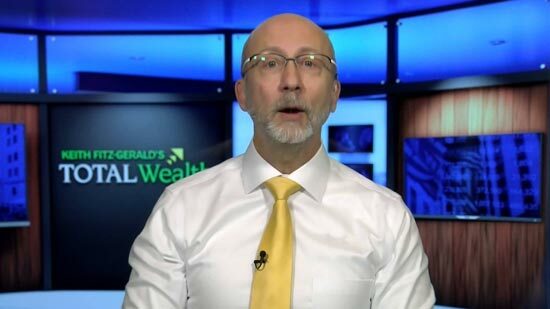 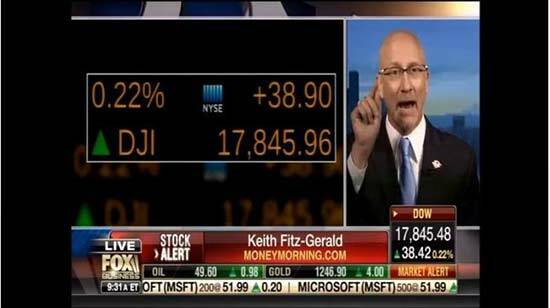 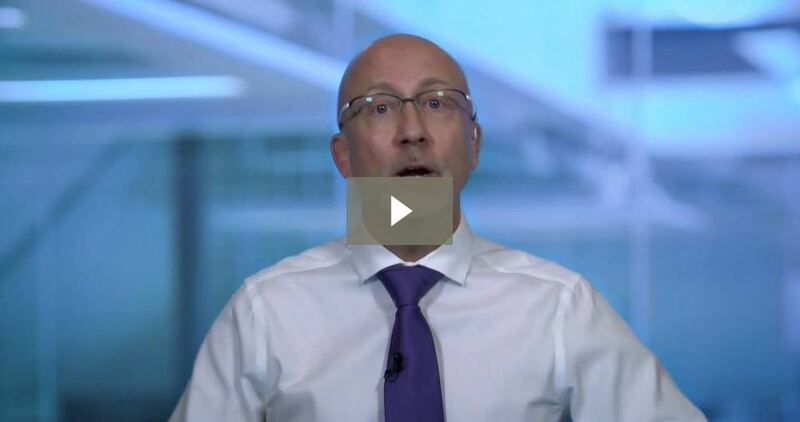 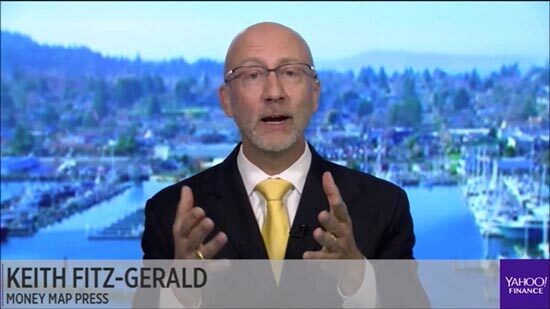 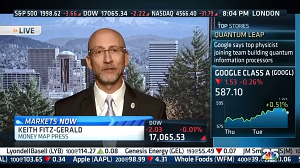 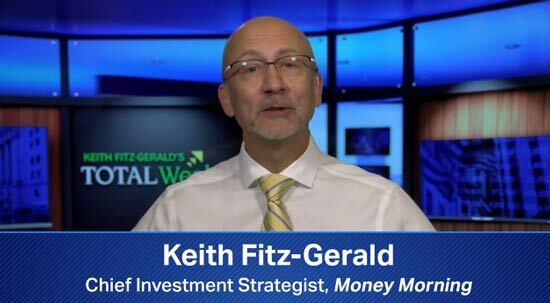 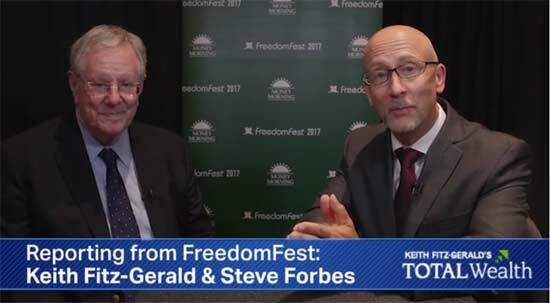 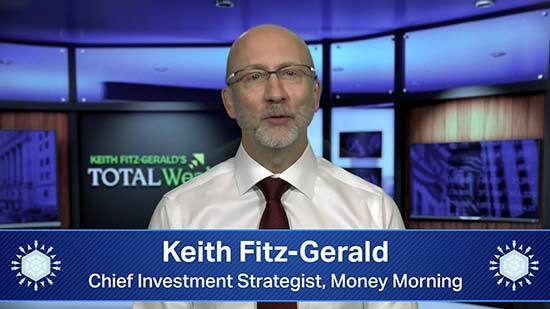 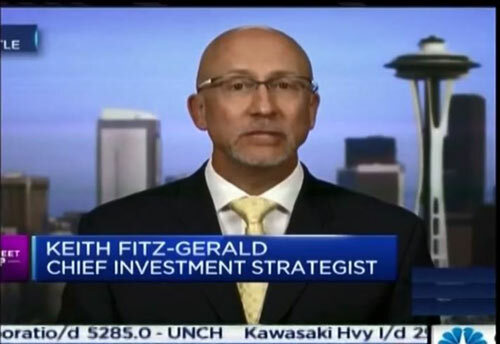 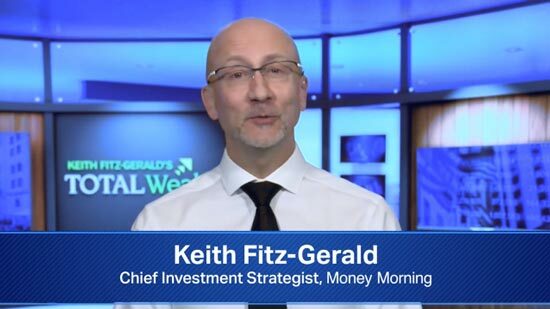 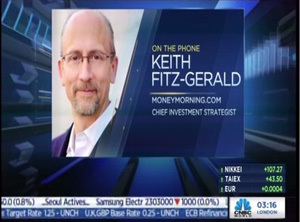 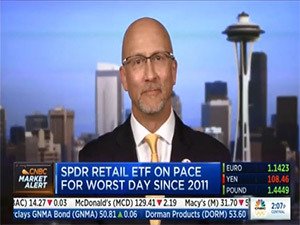 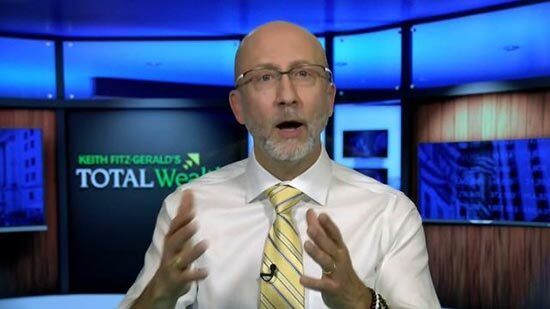 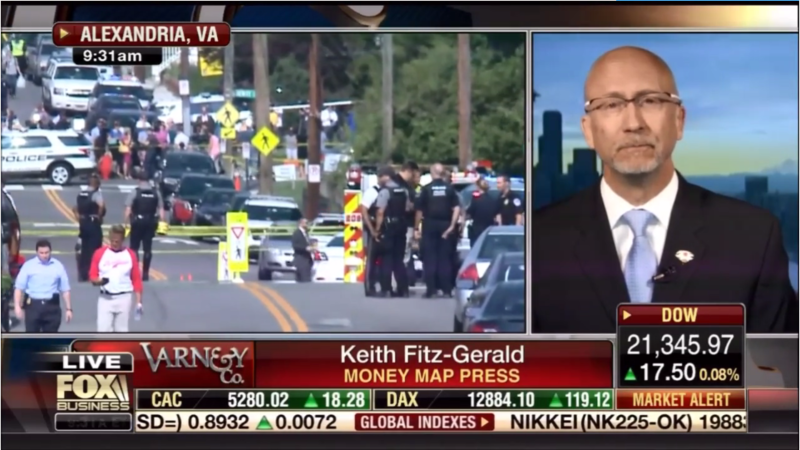 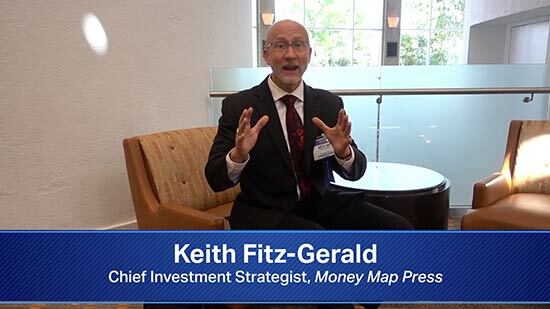 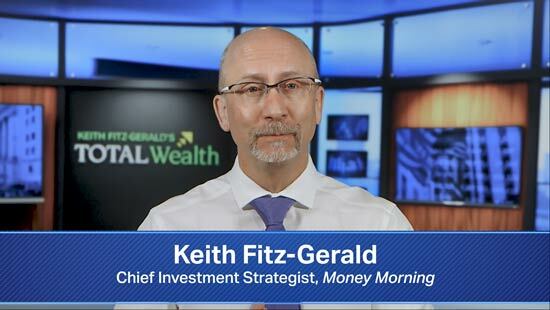 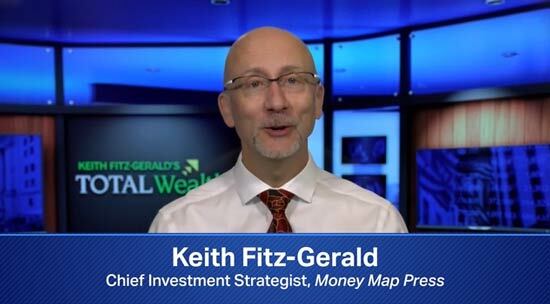 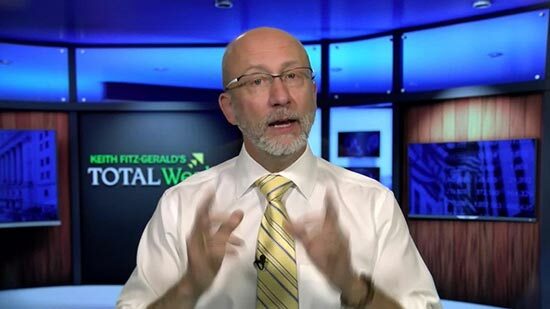 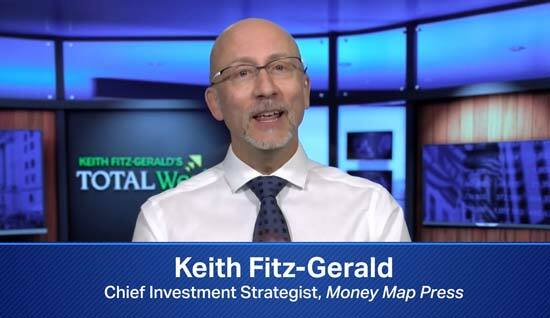 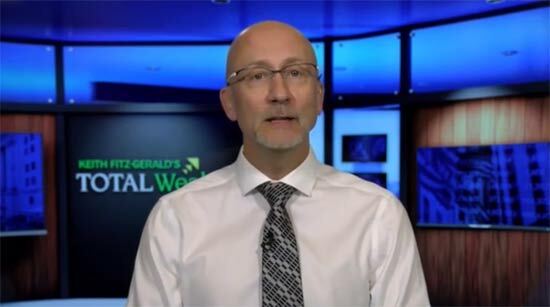 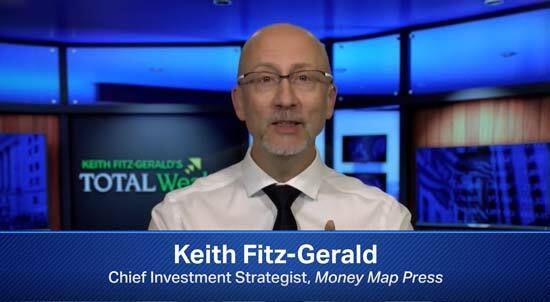 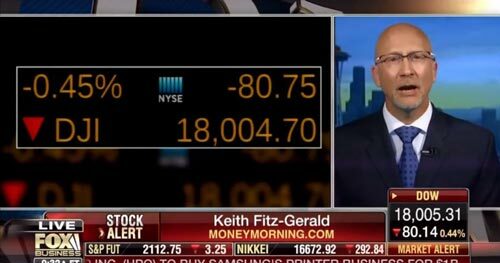 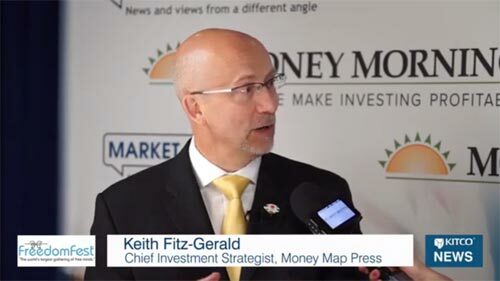 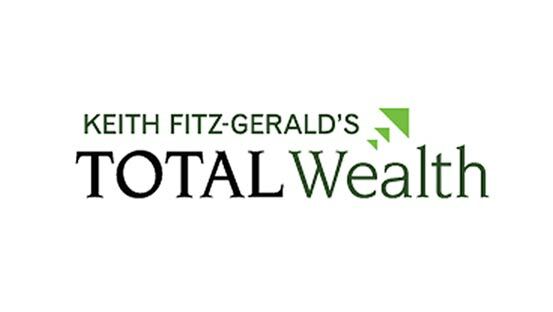 September 29, 2018Weekend Edition: Powell’s Comments Just Don’t Wash – But Here’s How You Invest for Maximum Profit Potential Anyway! 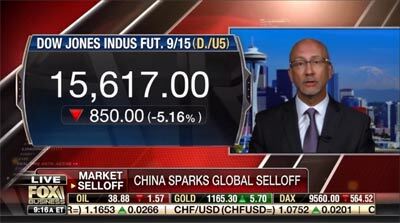 August 23, 2018This is Why China Could “Blink” before the U.S.
August 20, 2018S&P 3,100… by When??!! 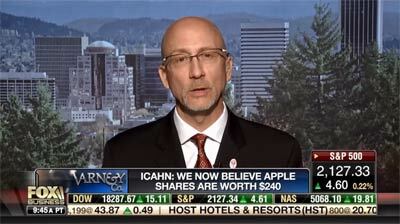 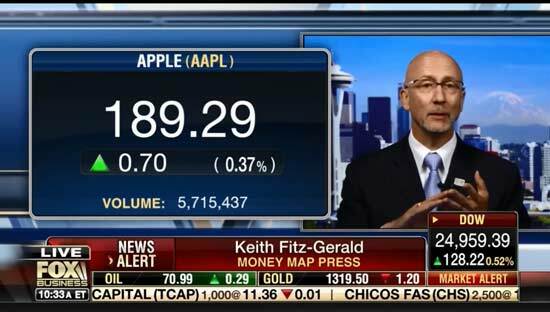 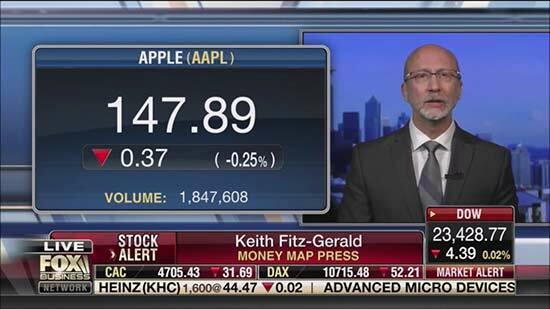 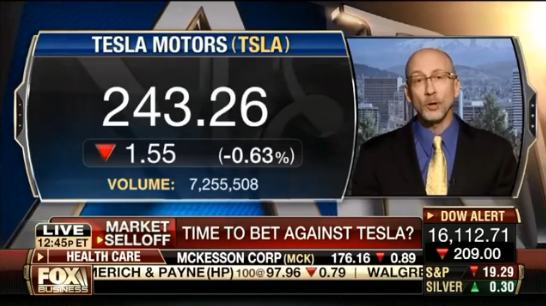 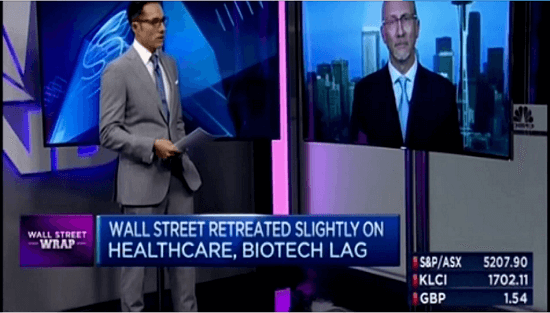 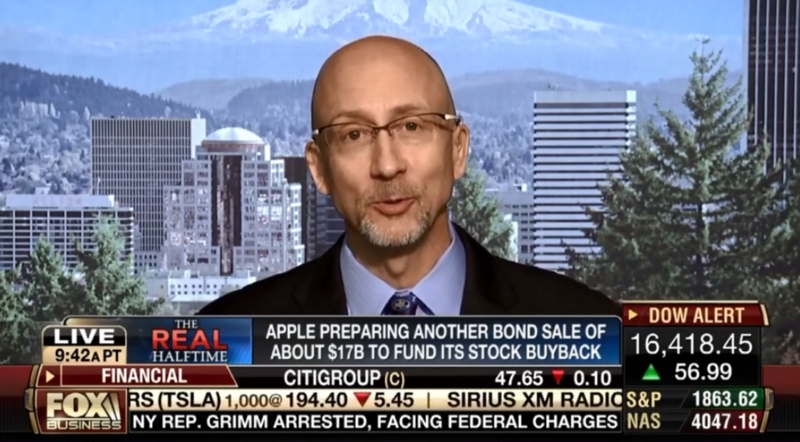 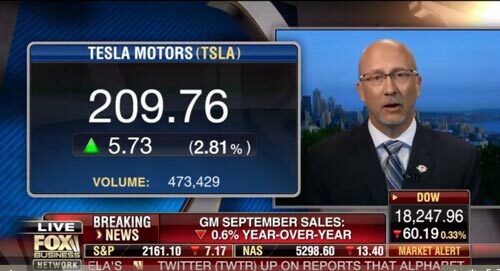 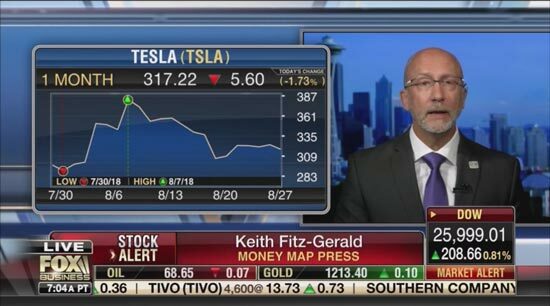 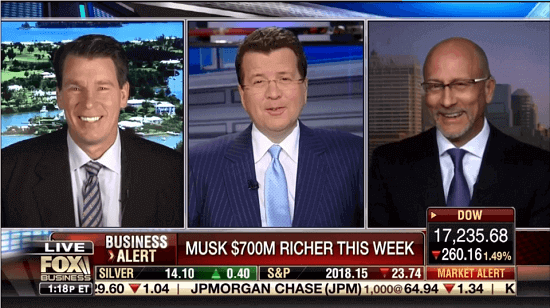 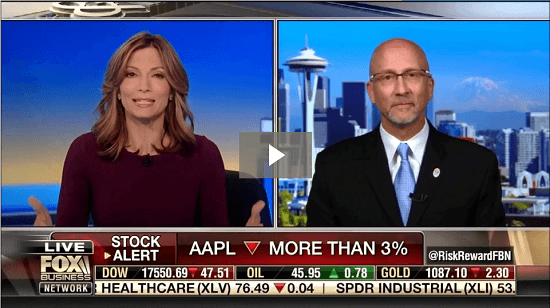 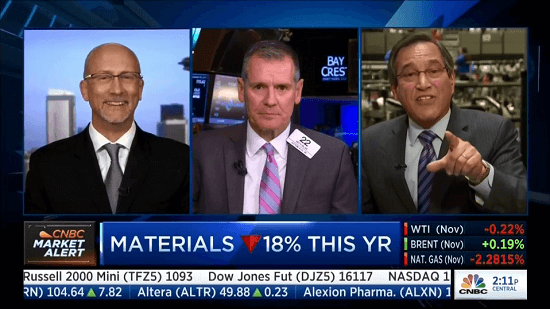 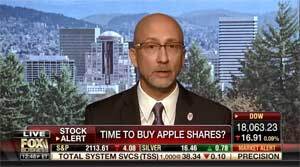 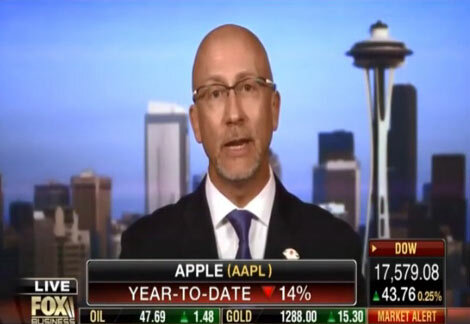 July 30, 2018Apple and Tesla… Buy Before the News? 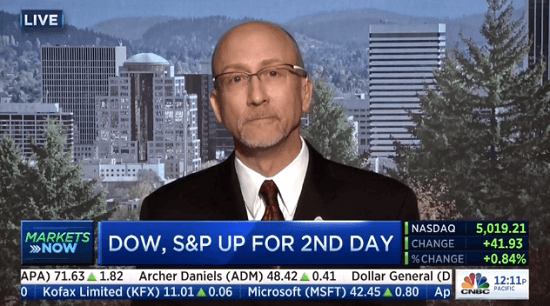 April 30, 2018Do Strong Profits and Higher Wages Mean the Rally’s Back? 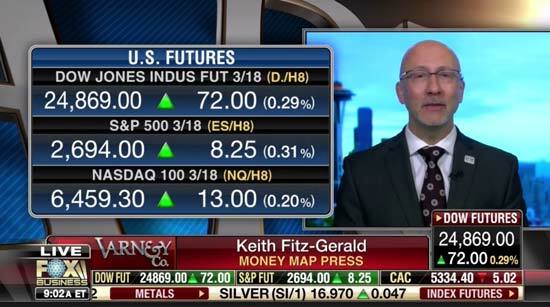 March 12, 2018Happy Days Here Again? 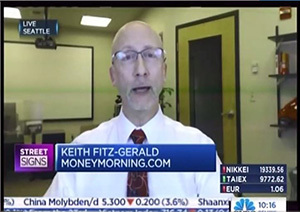 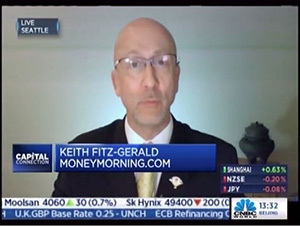 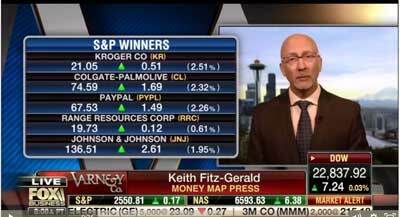 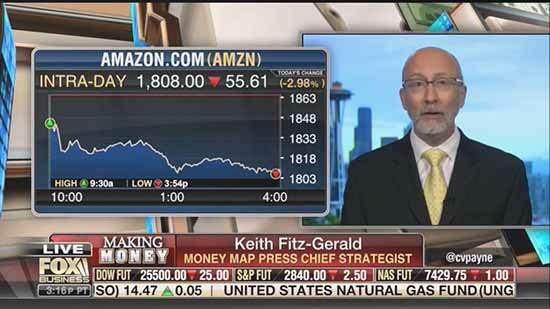 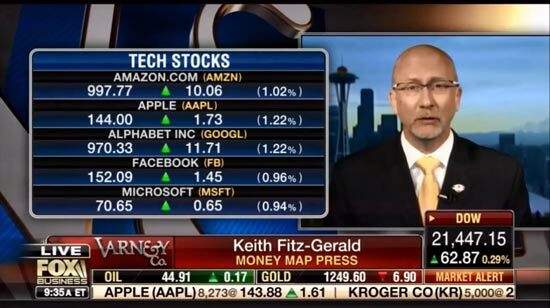 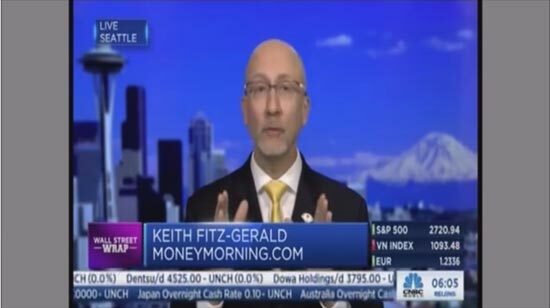 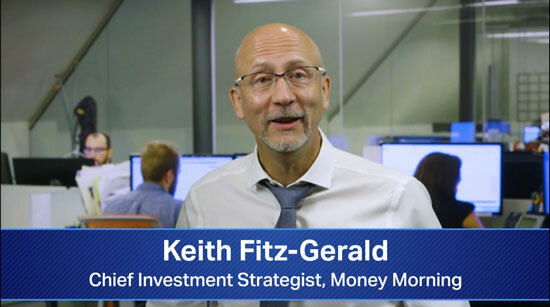 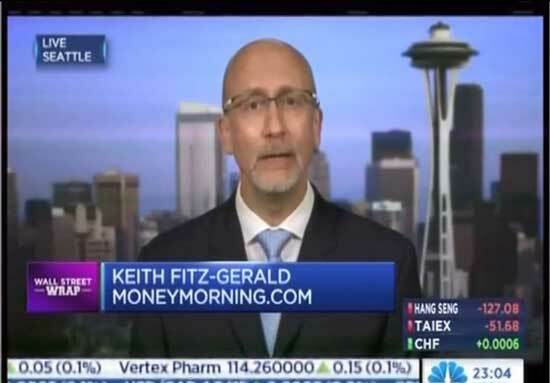 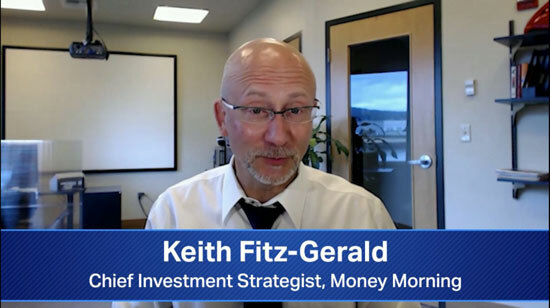 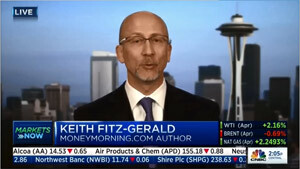 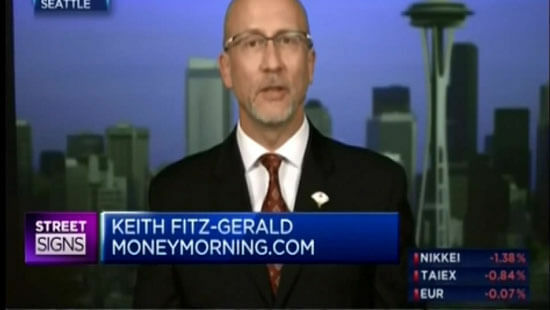 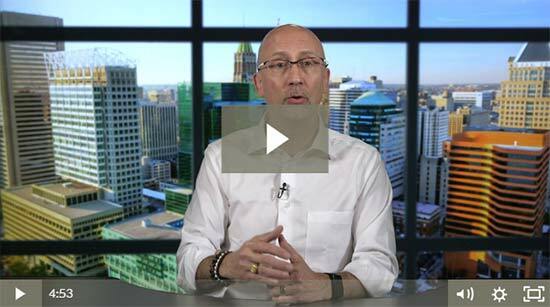 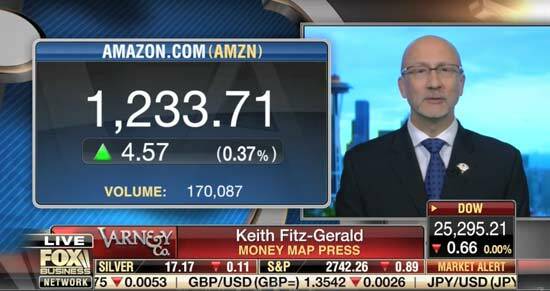 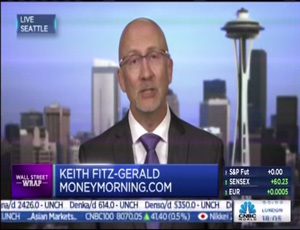 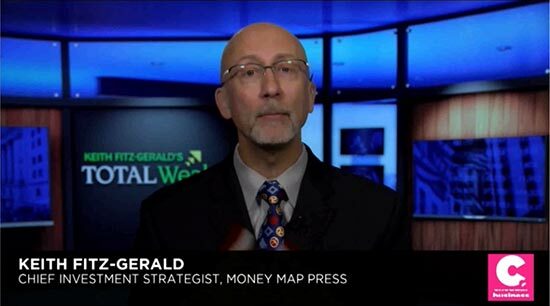 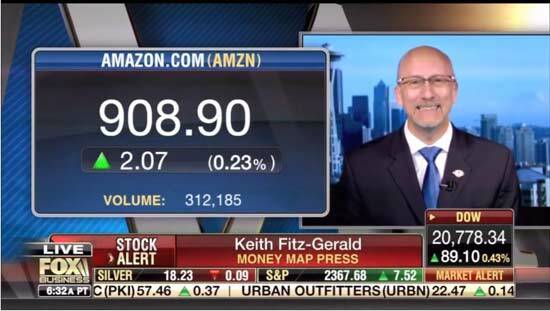 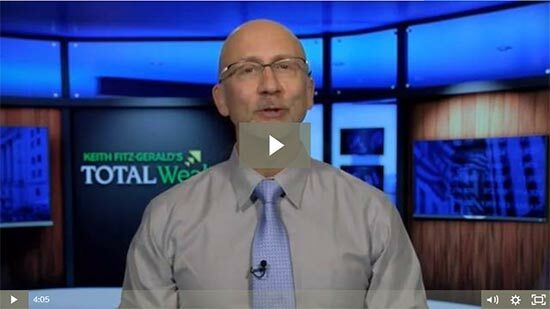 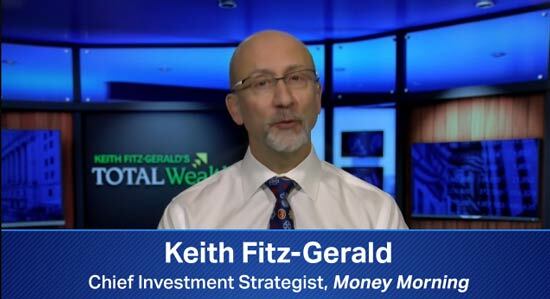 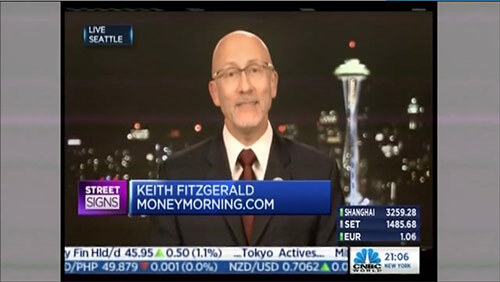 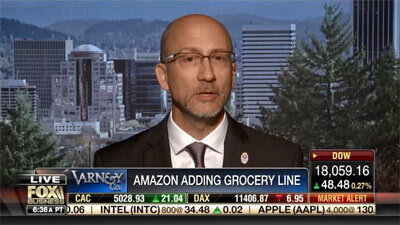 March 10, 2018Weekend Edition: Amazon’s Move into Online Banking Could Be the Most Profitable End-Industry Run Yet! 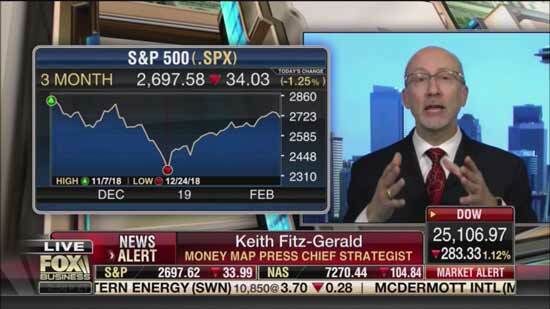 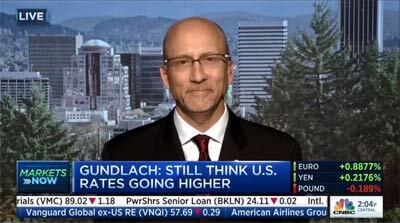 March 5, 2018Would a Trade War be a Huge Negative for Stocks? 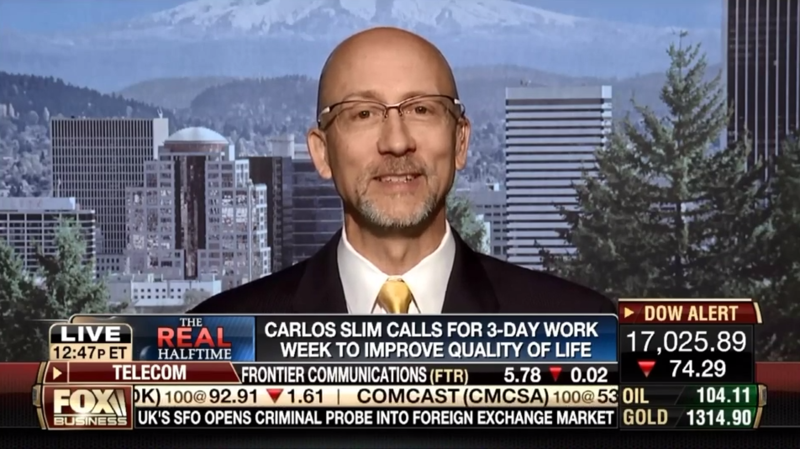 February 17, 2018Weekend Edition: The Single Most Profitable Investing Study – Ever! 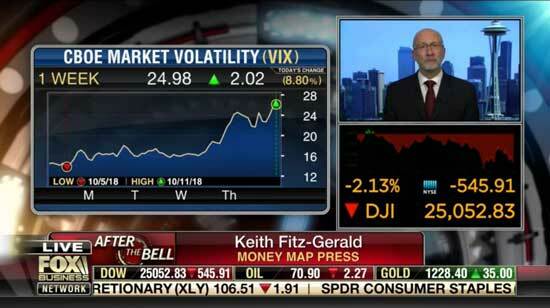 February 12, 2018Will Volatility Continue? 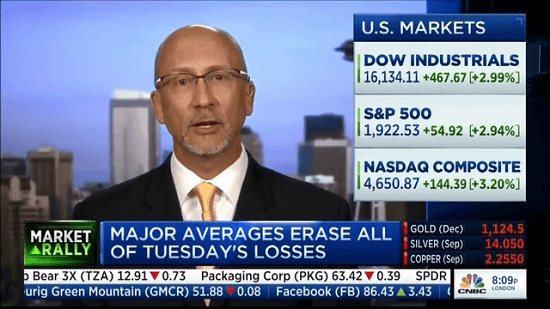 February 12, 2018Is the Worst Over? 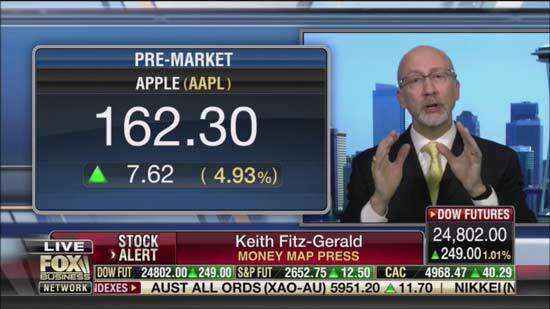 February 7, 2018Is it Time to Buy Again? 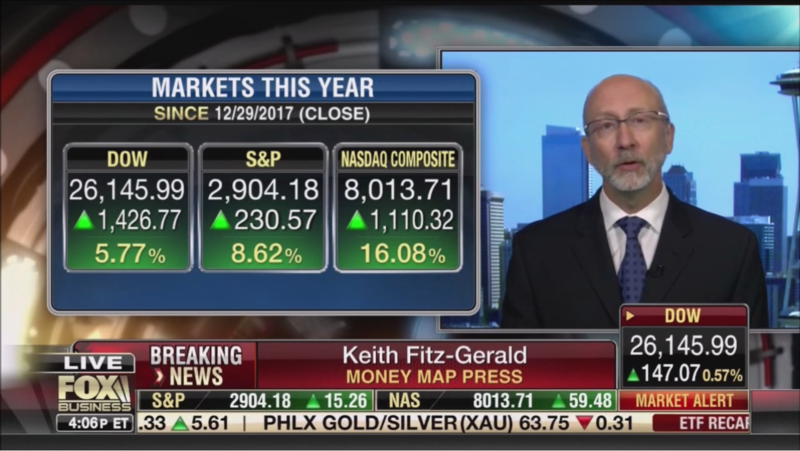 January 29, 2018Is the Rally Over? 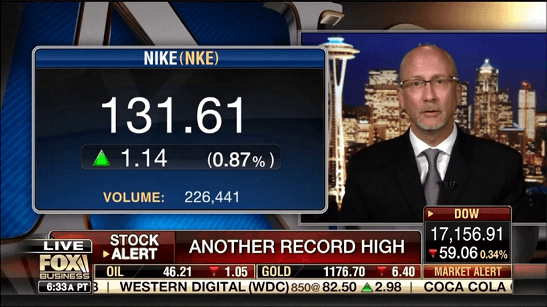 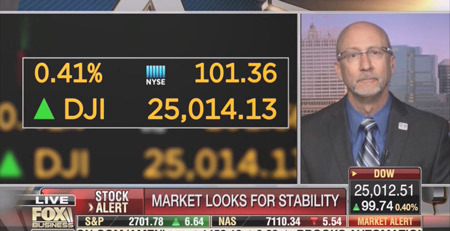 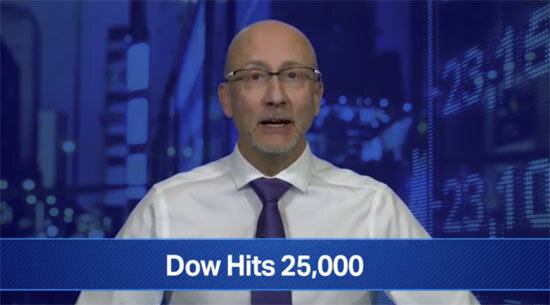 January 5, 2018Dow Hits 25K… Can It Last? 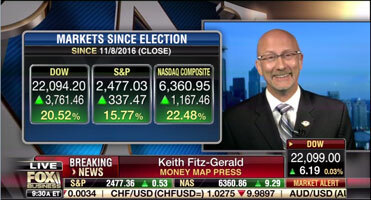 December 29, 2017Dow 25K on 2017’s Last Trading Day? 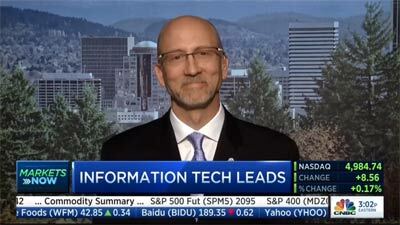 September 11, 2017Could Your Personal Data Now Be Public? 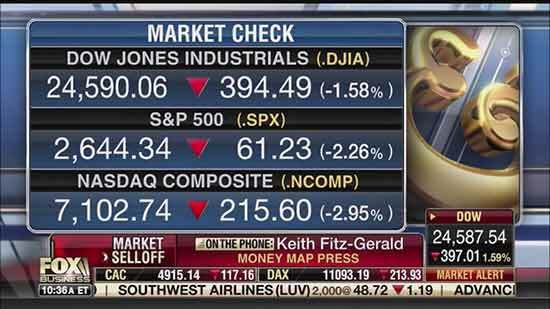 June 19, 2017Can Anything Stop These Markets? 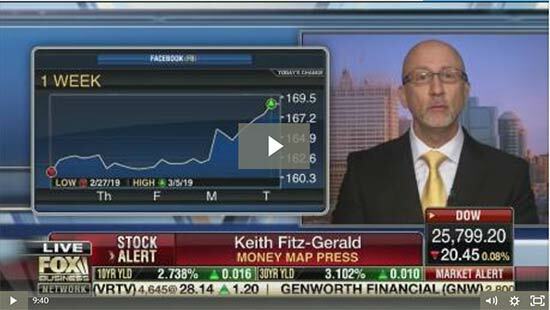 April 19, 2017Corporate Tax Reform This Year? 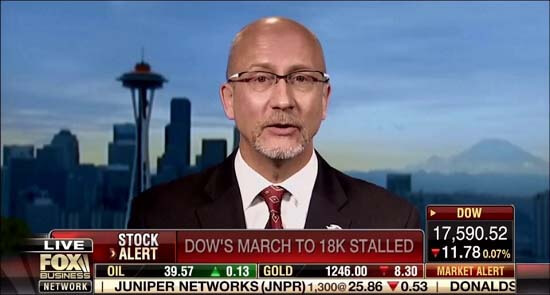 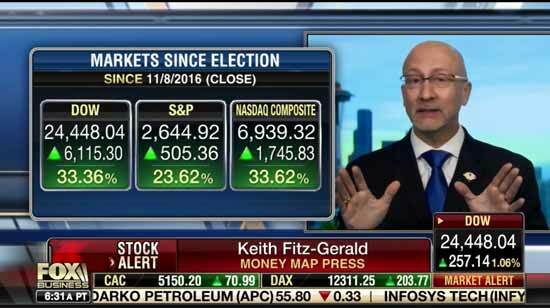 March 6, 2017Political Turmoil Putting the “Trump Rally” on Pause? 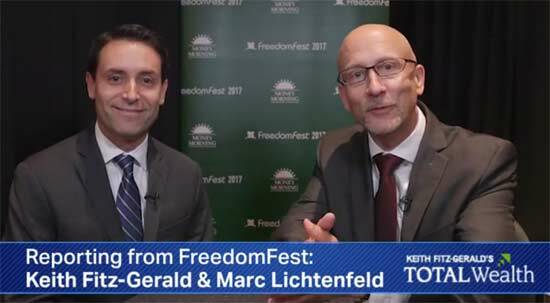 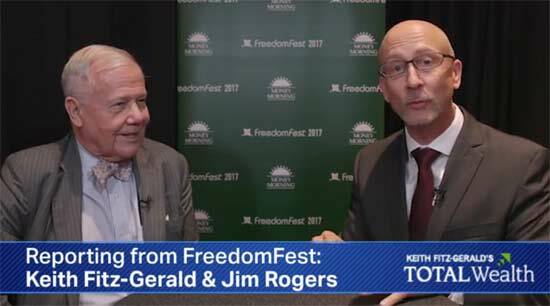 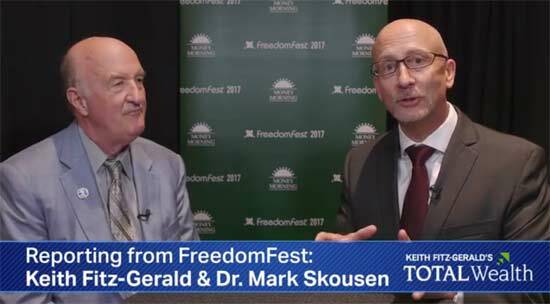 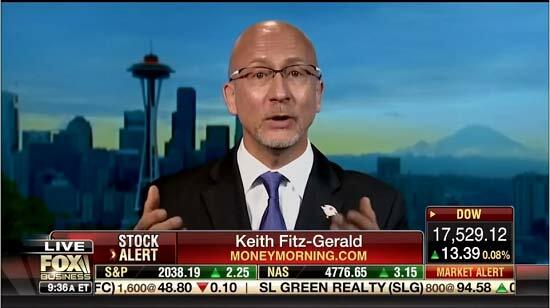 March 2, 2017Will the Sessions Scandal Derail Trump’s Agenda? 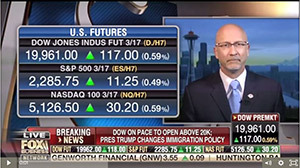 March 1, 2017Dow 21,000 – 22,000 When? 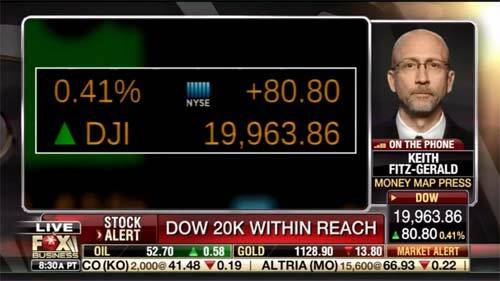 January 25, 2017Dow 20,000… Finally! 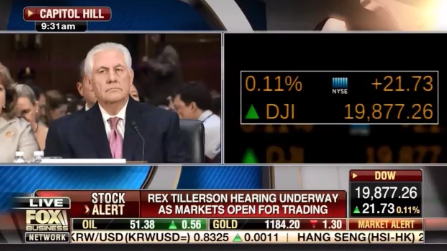 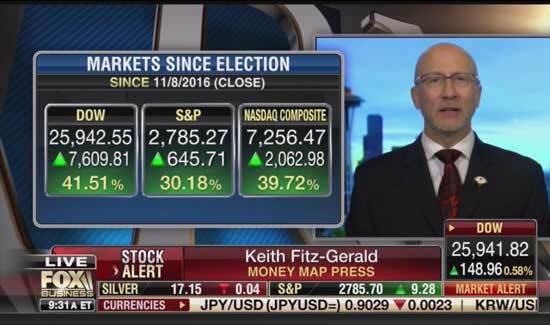 January 23, 2017Trump’s On a Roll – When Do Investors See Results? 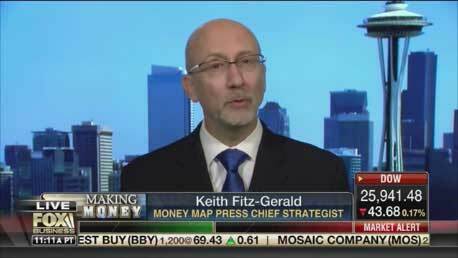 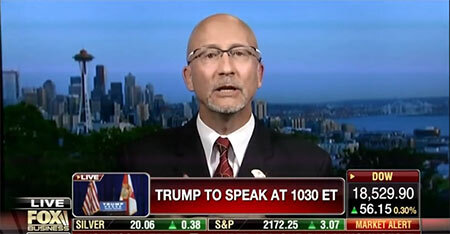 December 14, 2016Who has the Most to Gain – and Lose – in a Trump Presidency? 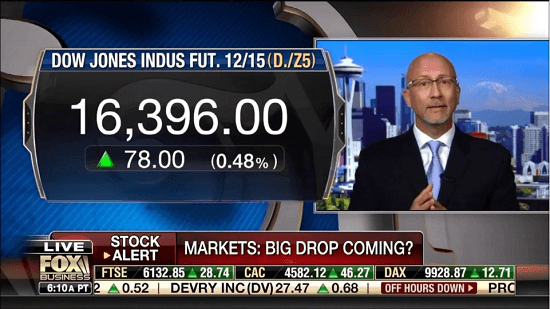 December 12, 2016Dow 20,000 Before Christmas? 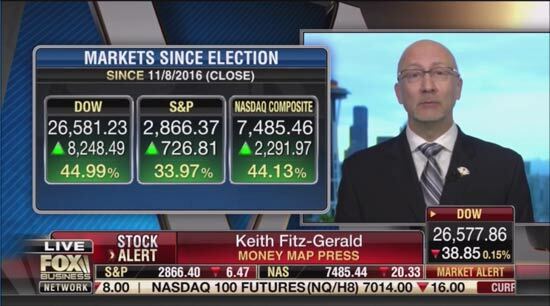 November 2, 2016What If The Unthinkable Happens Wednesday Morning? 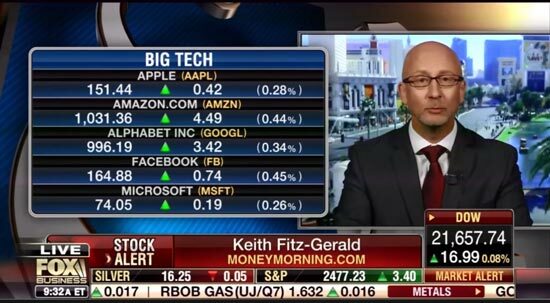 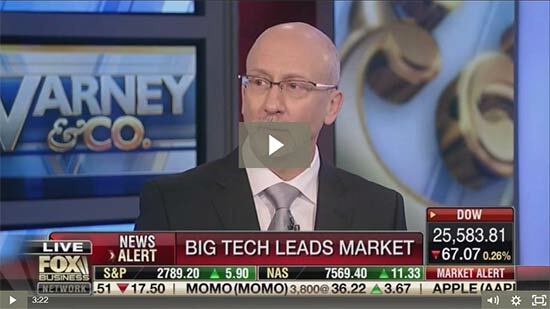 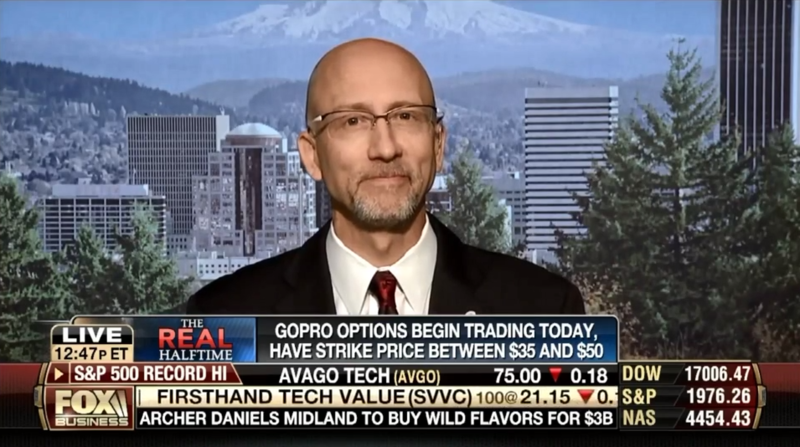 October 12, 2016Are You Worried About a Tech Bubble? 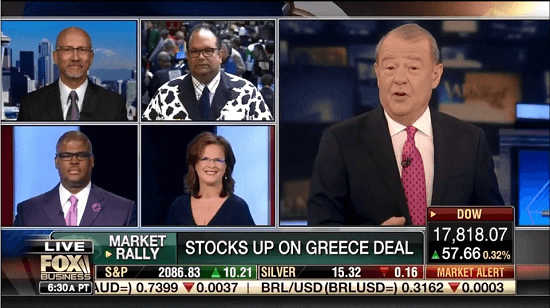 July 11, 2016What’s Driving Traders to U.S. Markets? 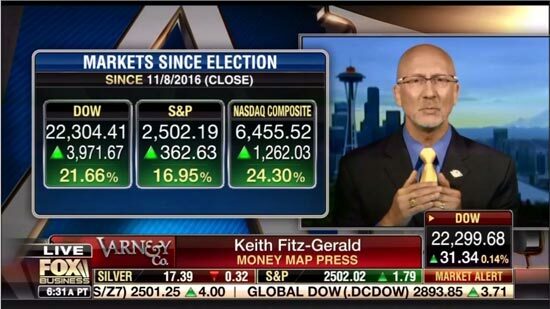 March 31, 2016How Much Longer Will The Rally Last? 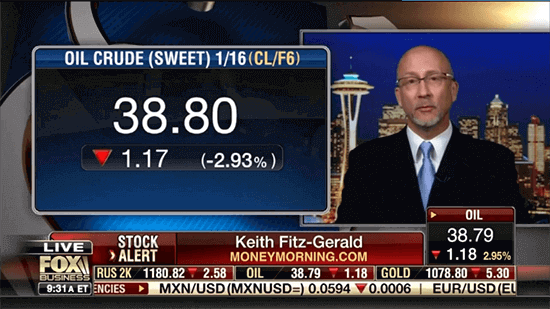 January 8, 2015Why Are Bonds Rallying? 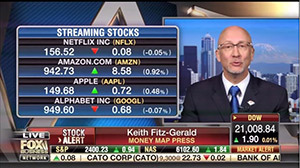 January 8, 2015The Sweet Spot in the Content Delivery Sector? 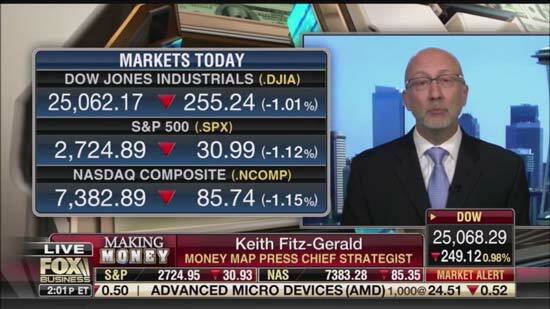 January 6, 2015Will 2015 Continue a Century-Long Market Pattern? 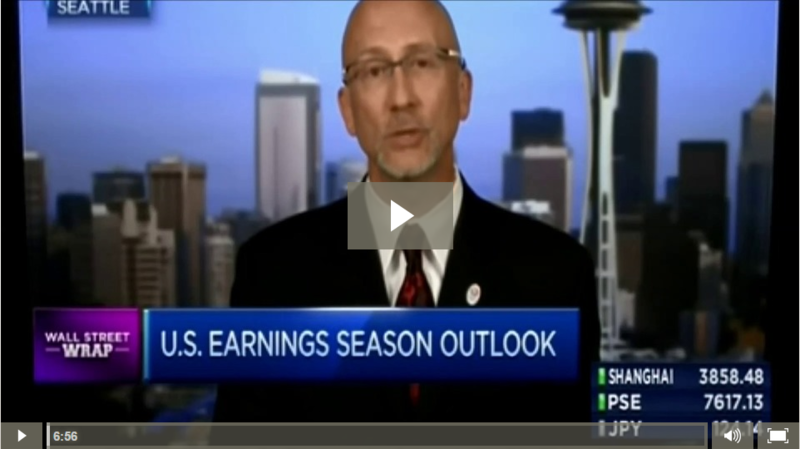 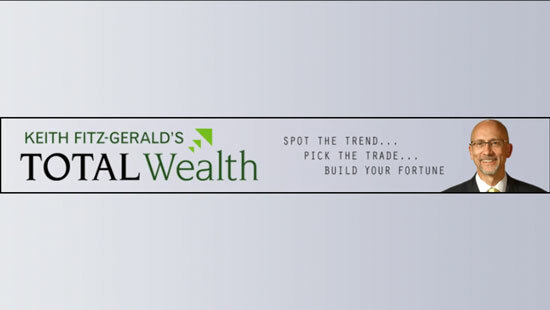 January 2, 2015Which Stocks Will Weather a January Pullback? 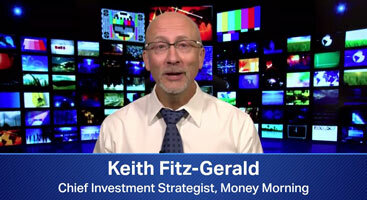 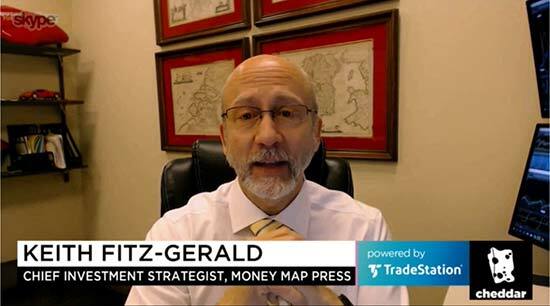 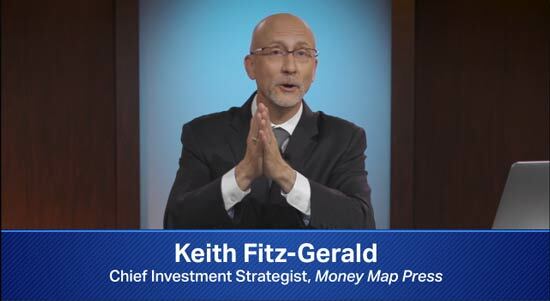 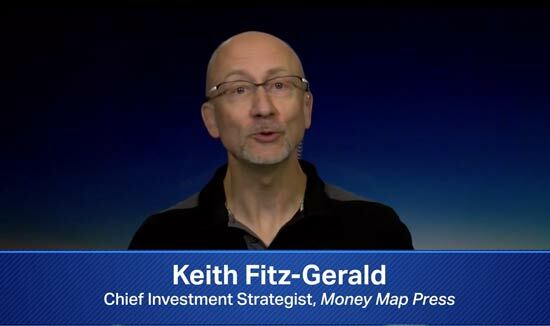 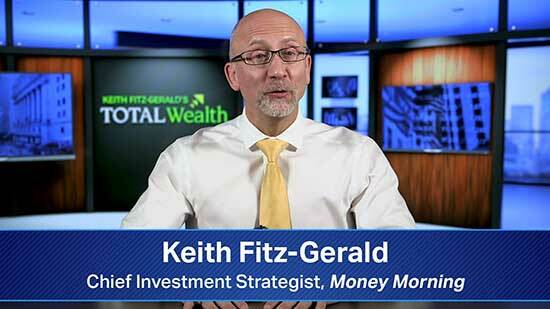 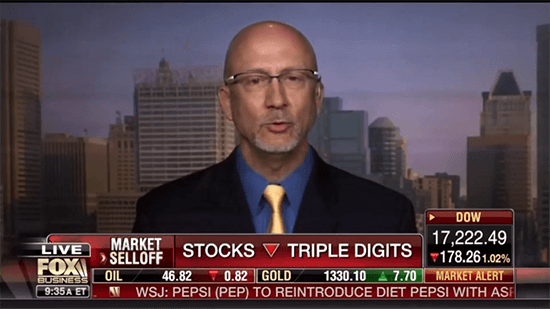 January 1, 2015Is a January Surprise In Store for Markets? 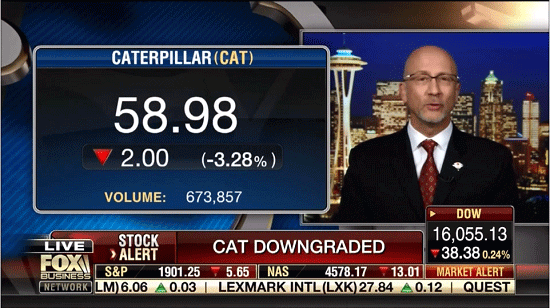 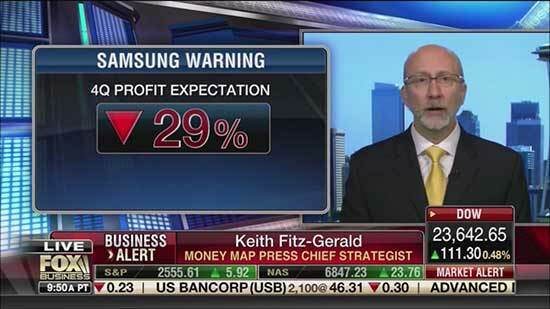 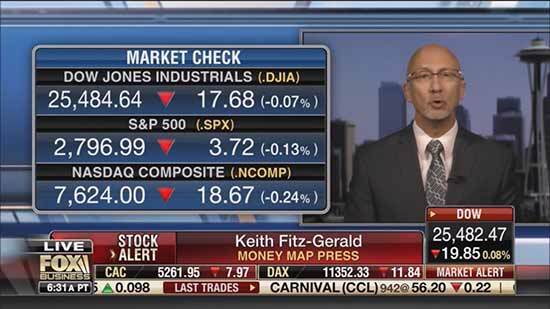 December 22, 2014Warning Signs for Investors in 2015? 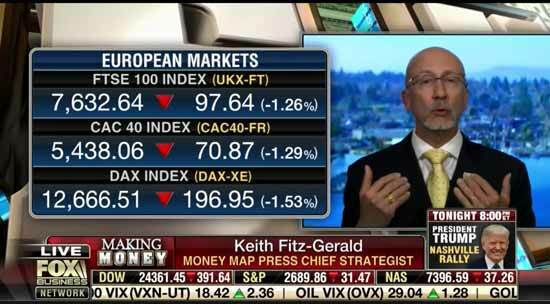 December 22, 2014Are the Markets Too Expensive? 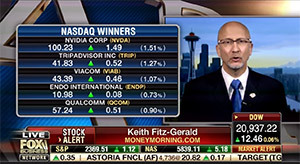 December 22, 2014Which Stock Could Have the Best 2015? 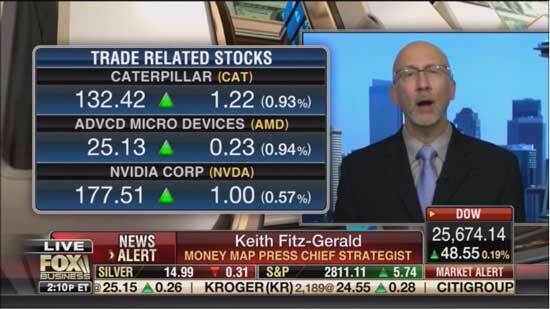 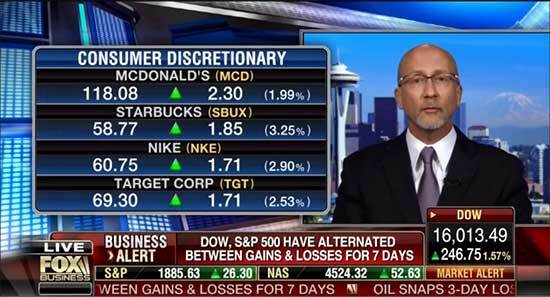 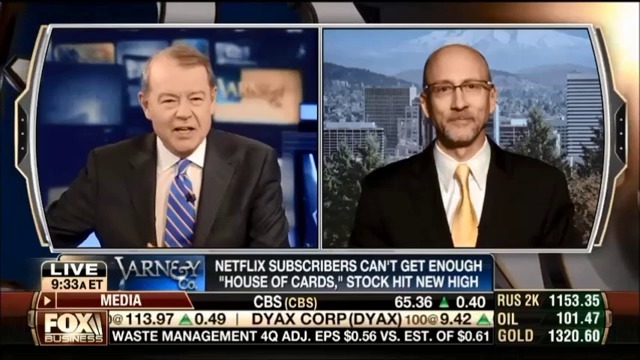 December 12, 2014Are Stocks Cheap and Ready to Be Bought? 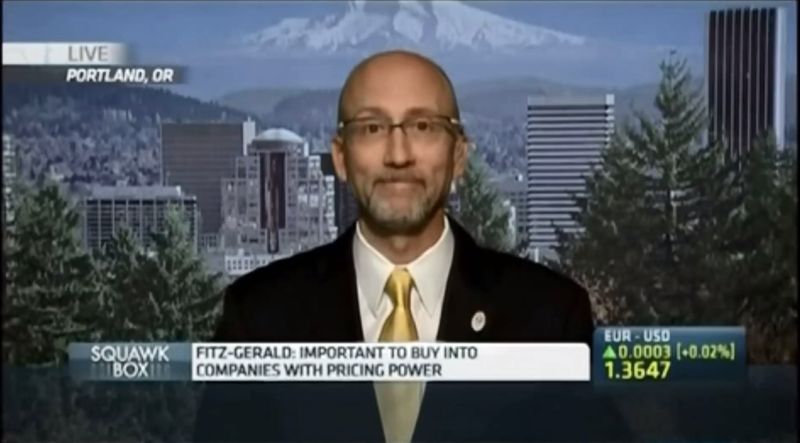 December 3, 2014Is There A Downside to Low Energy Prices? 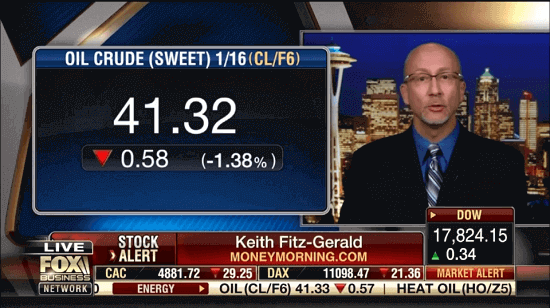 December 1, 2014Is $40/Barrel Oil A Possibility? 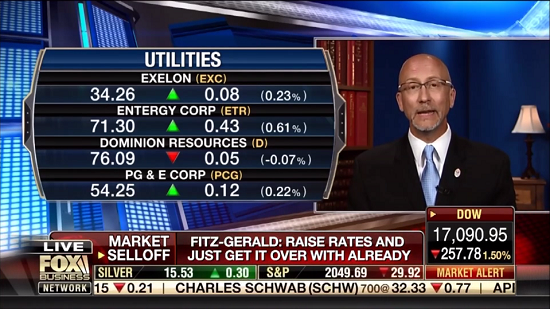 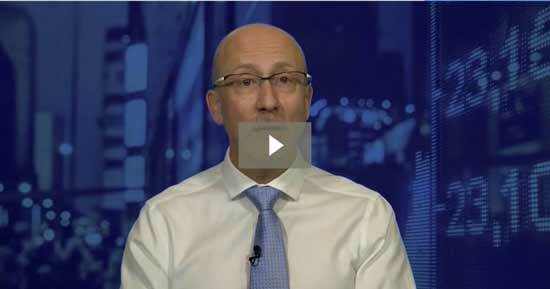 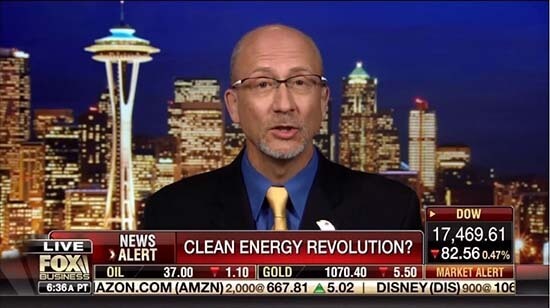 November 26, 2014Is There Still Opportunity In The Energy Sector? 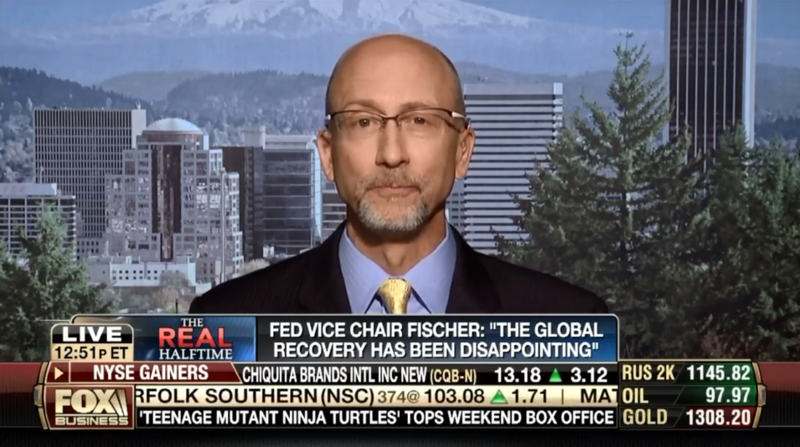 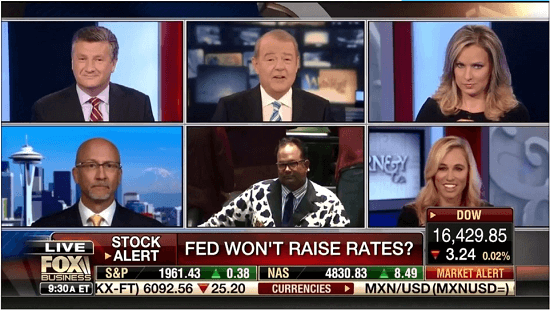 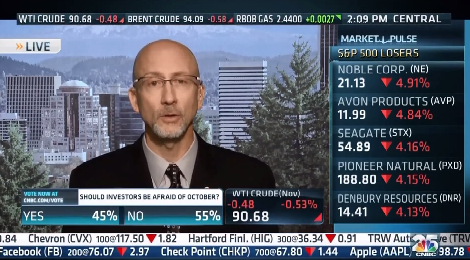 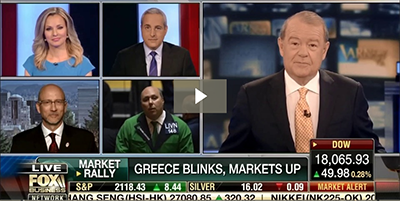 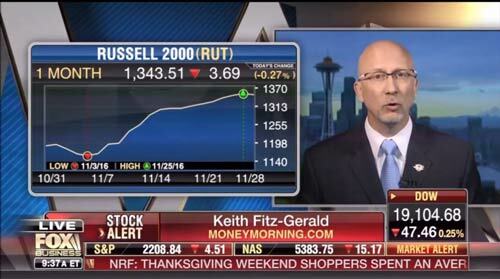 November 19, 2014Has The Fed Boxed Itself In On Raising Rates? 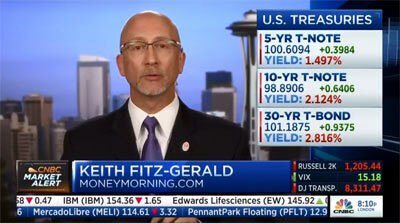 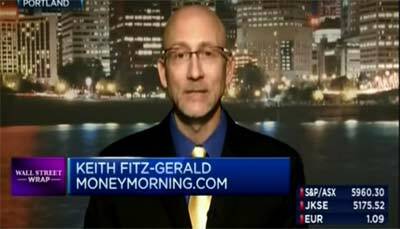 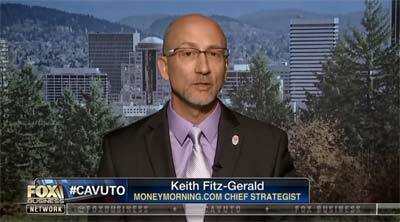 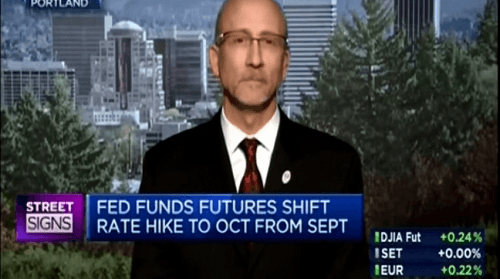 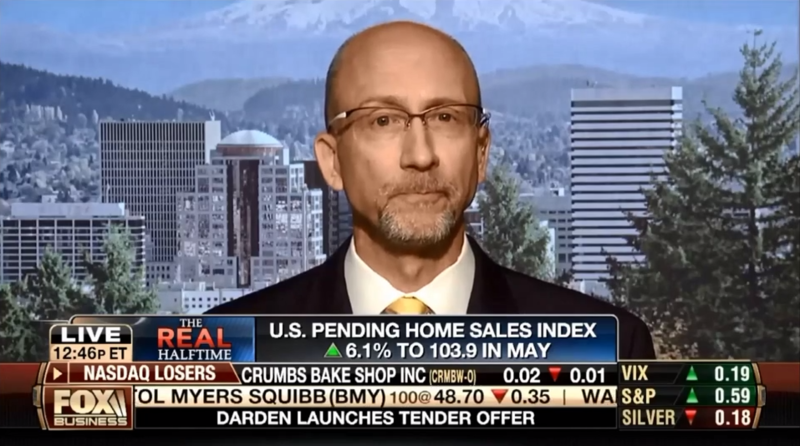 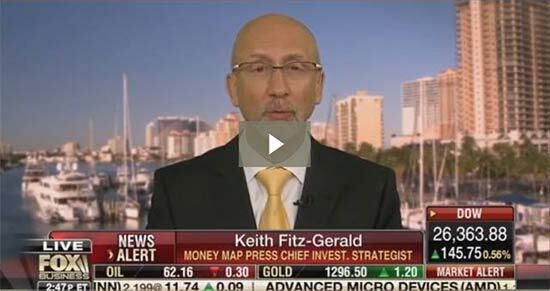 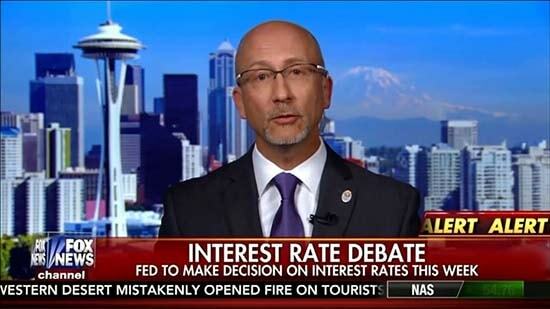 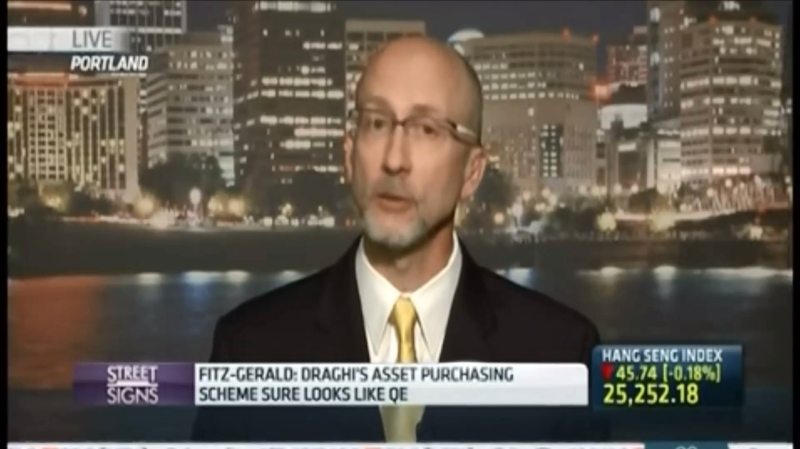 October 29, 2014When Will The Fed Allow Rates to Rise? 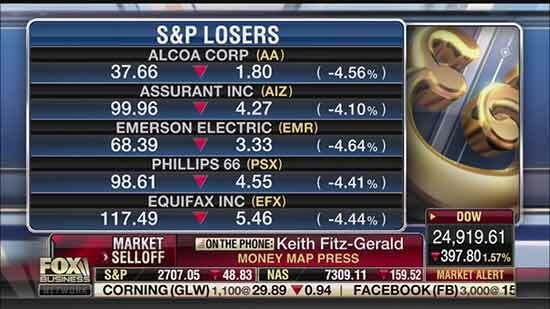 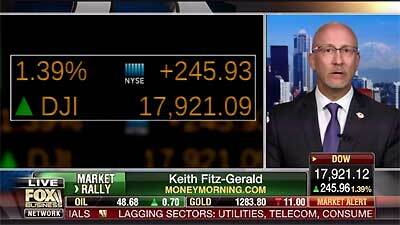 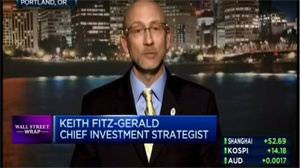 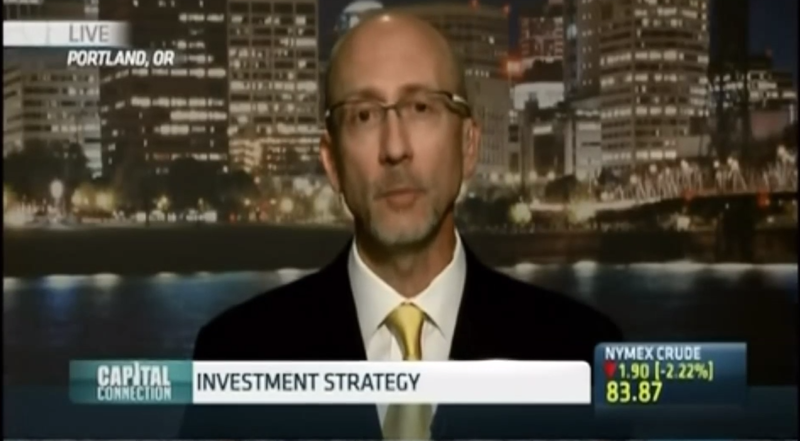 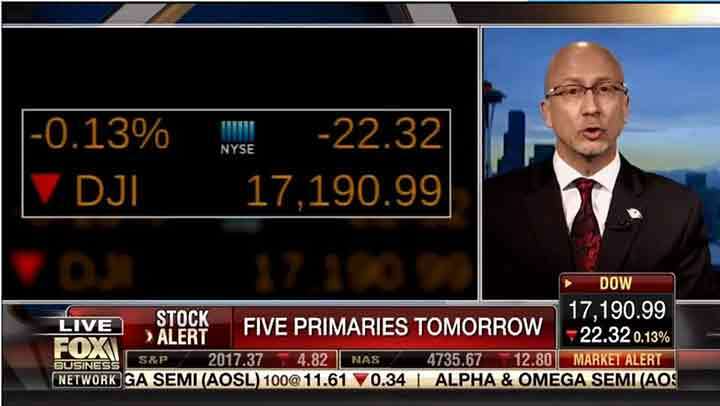 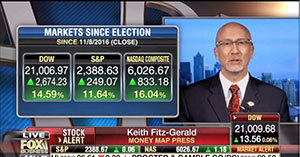 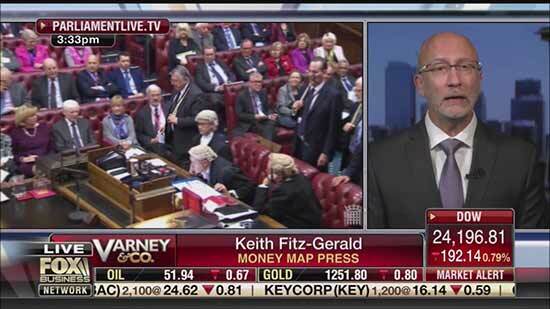 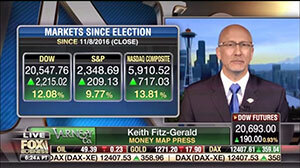 October 27, 2014How Would a GOP Victory in the Midterms Affect the Markets? 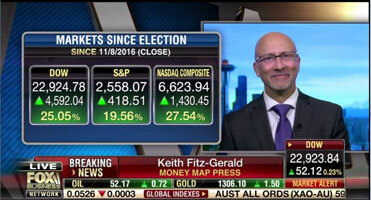 October 22, 2014Is This Market Dip an Entry Point for Energy? 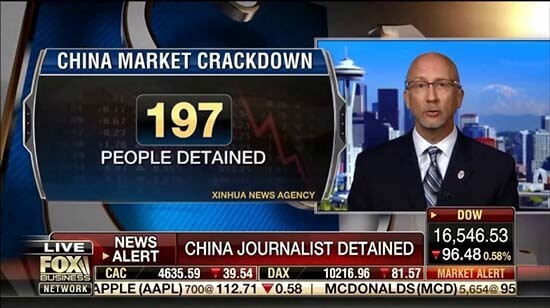 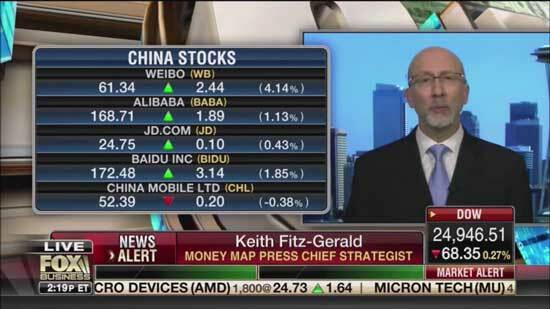 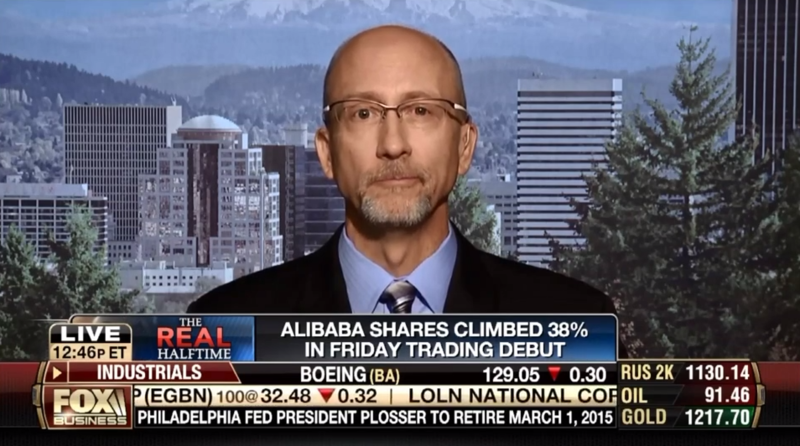 October 6, 2014Is Buying Alibaba Stock a Gift to Chinese Hackers? 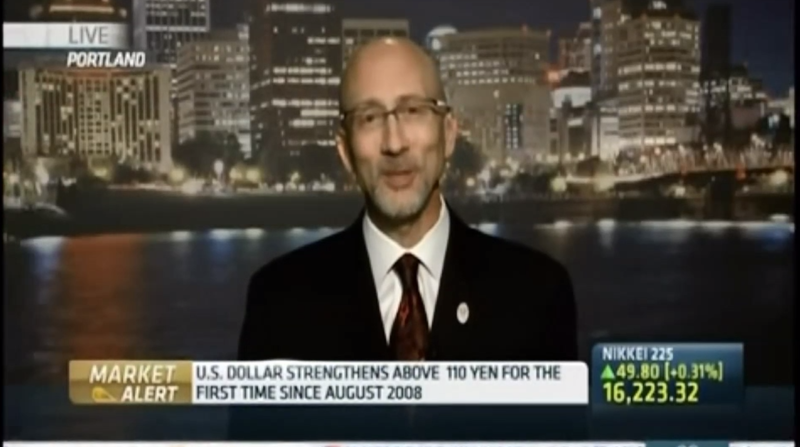 October 1, 2014Will a Rising U.S. Dollar Keep Climbing? 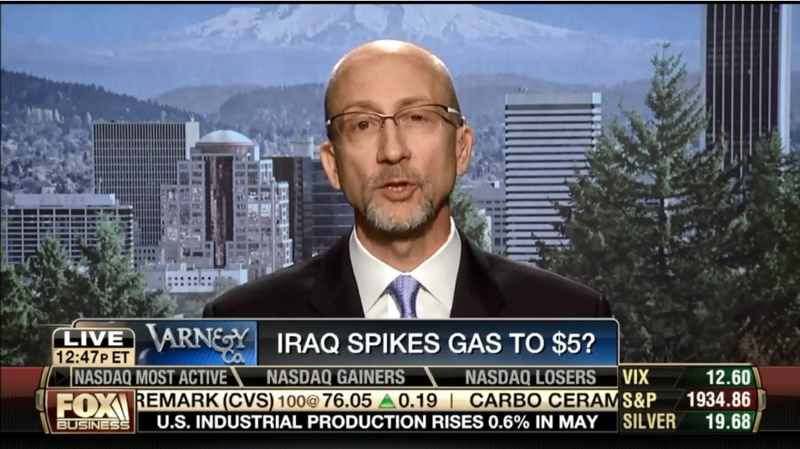 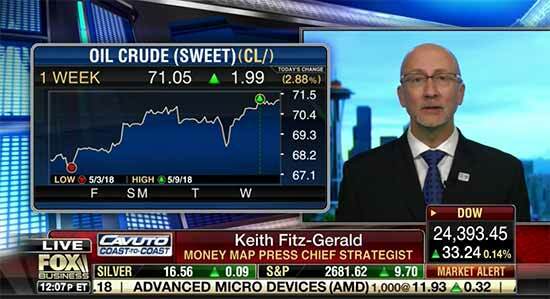 June 17, 2014Gas Prices to Reach $5 This Summer? 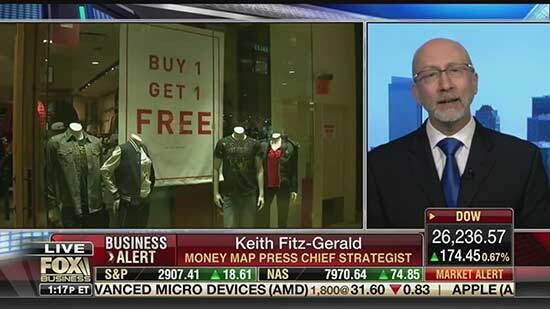 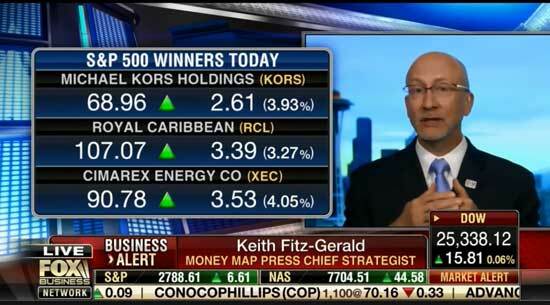 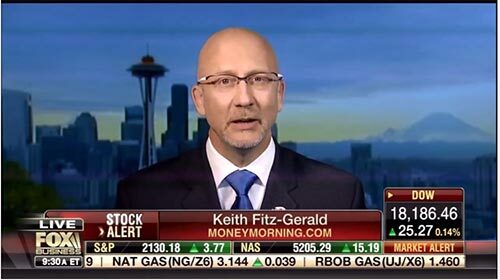 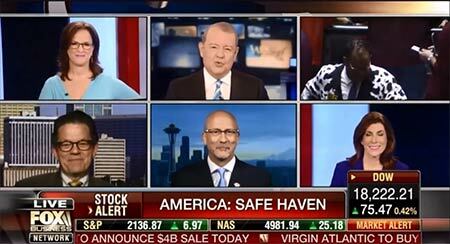 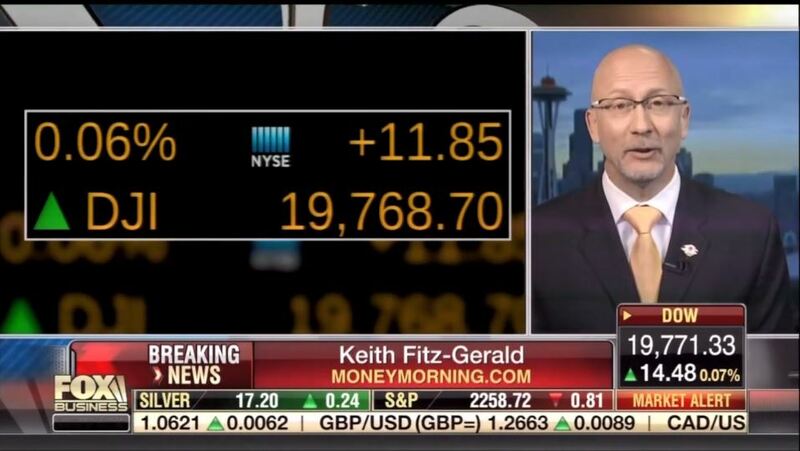 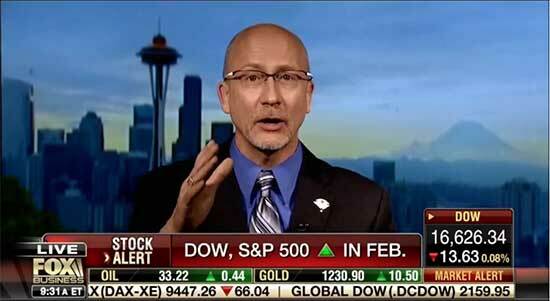 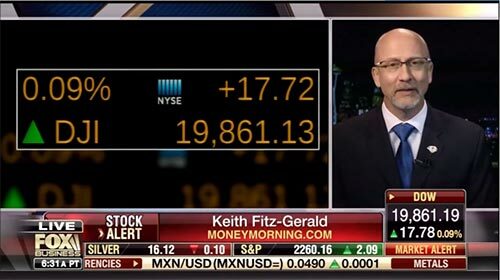 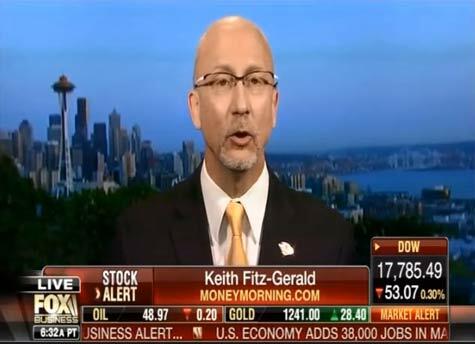 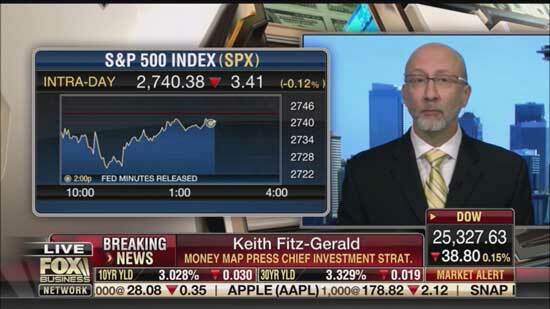 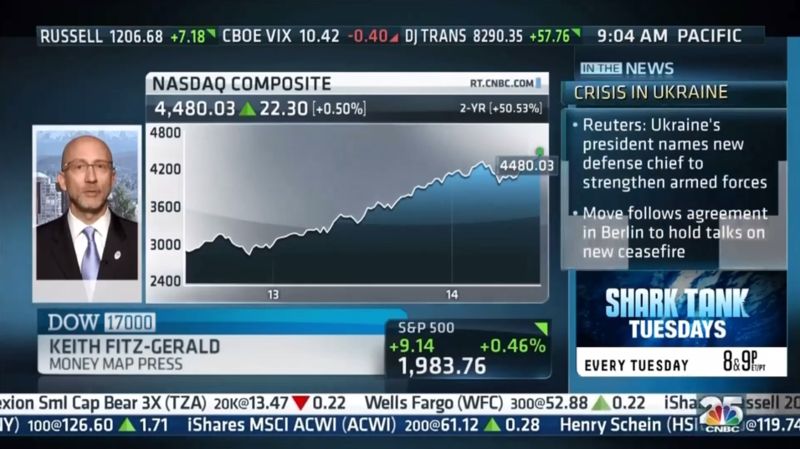 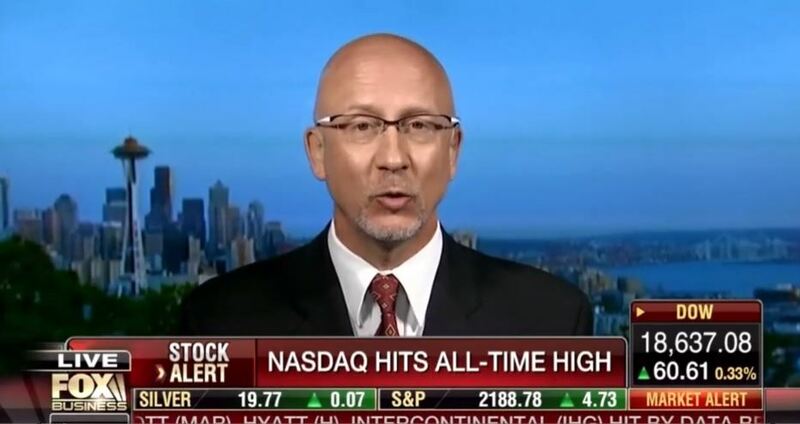 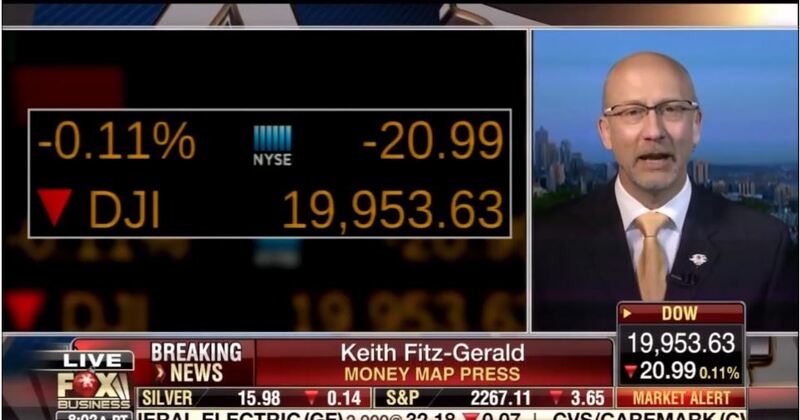 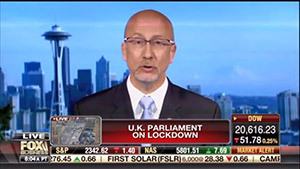 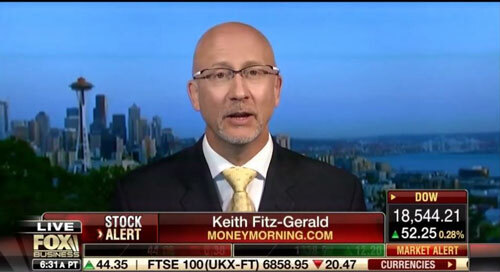 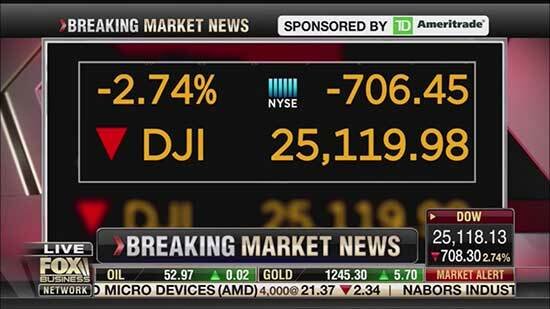 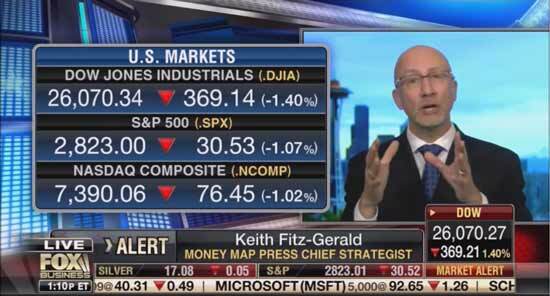 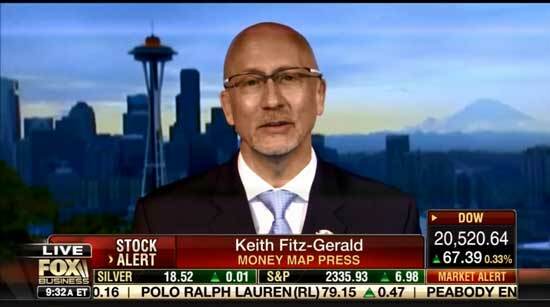 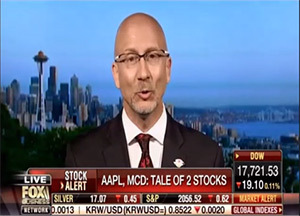 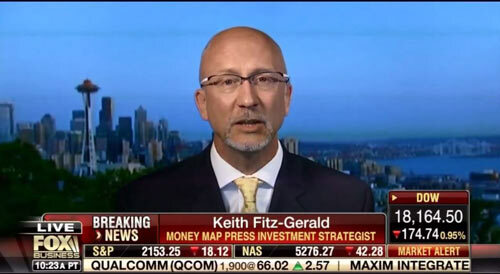 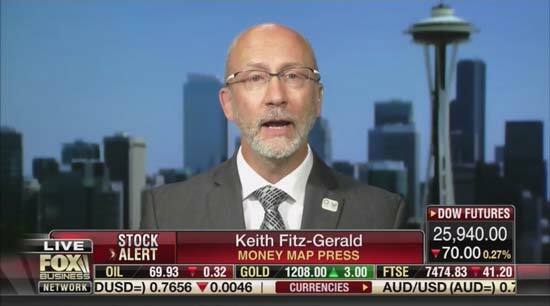 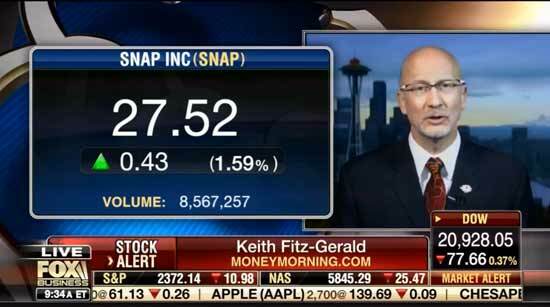 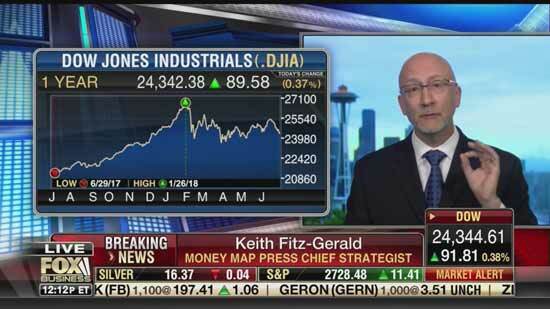 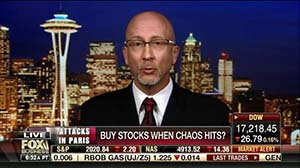 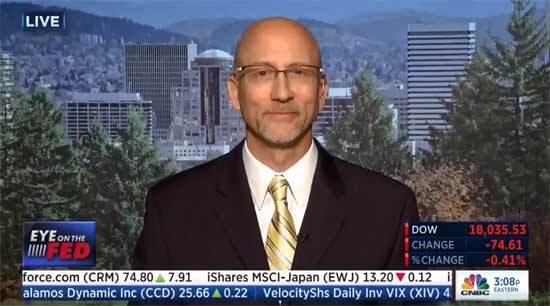 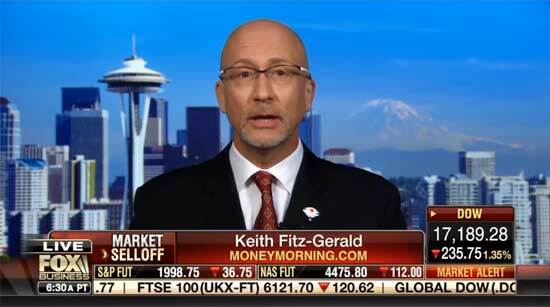 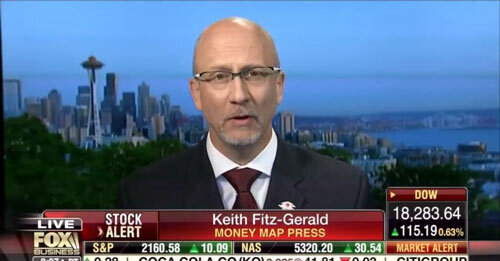 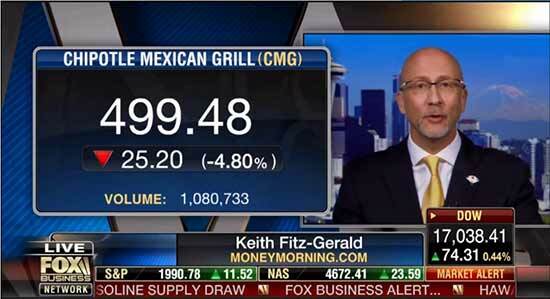 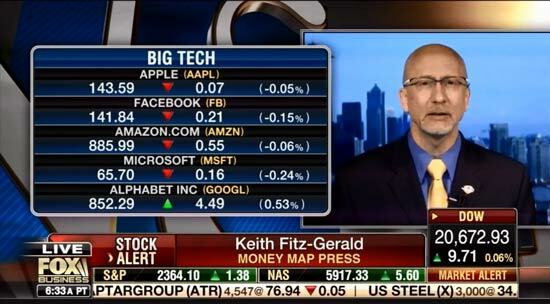 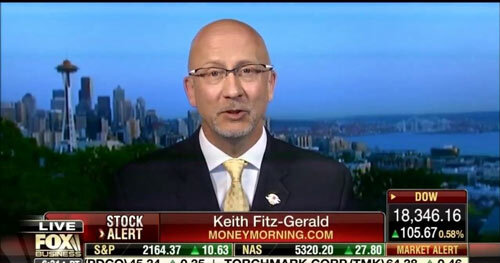 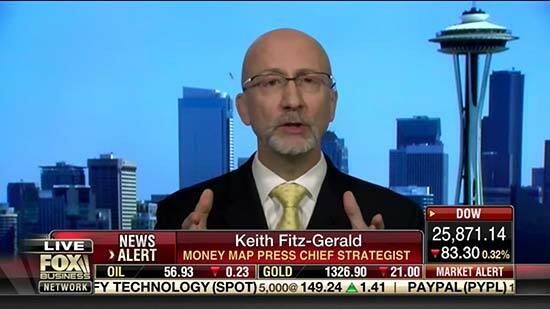 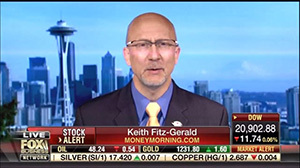 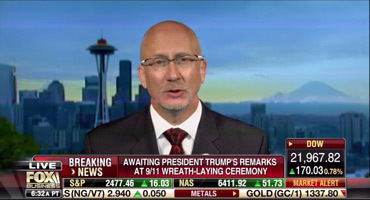 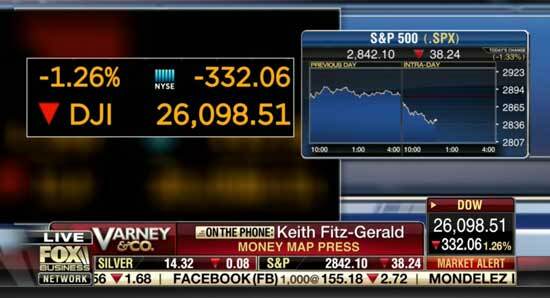 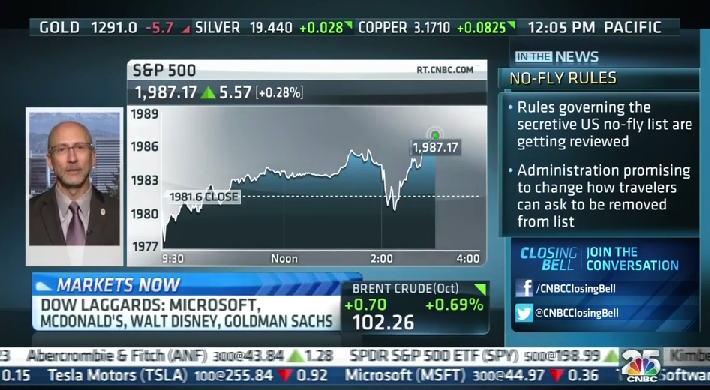 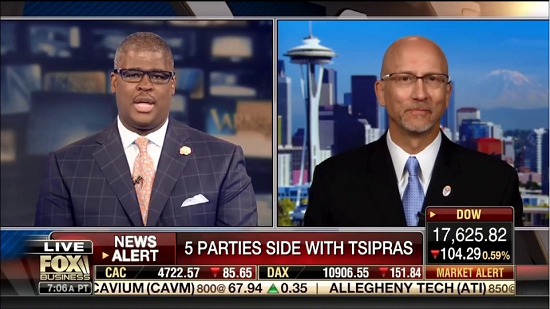 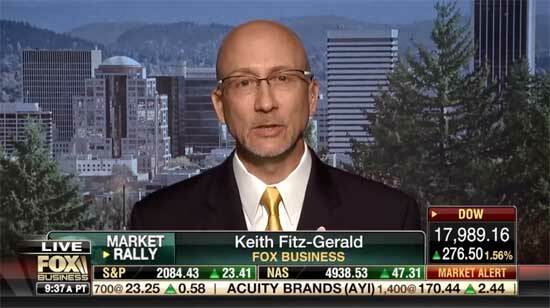 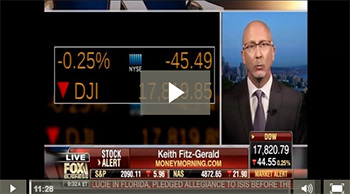 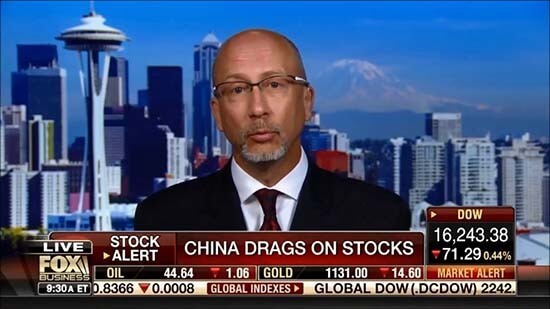 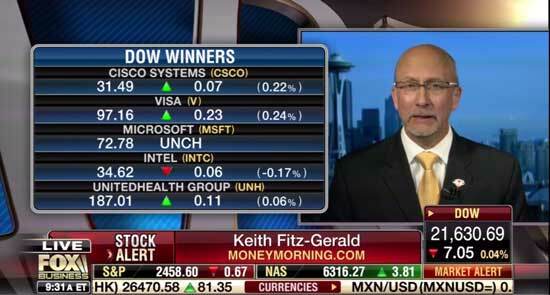 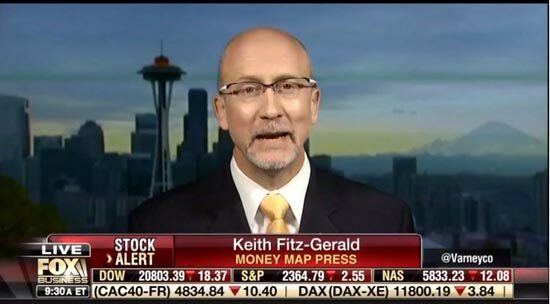 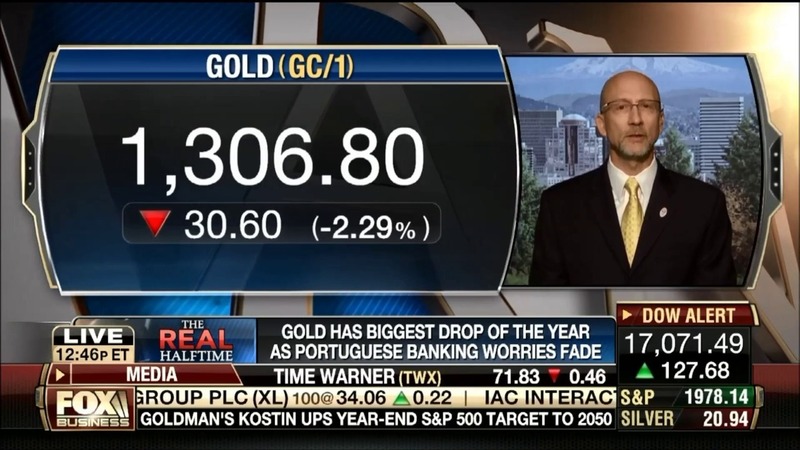 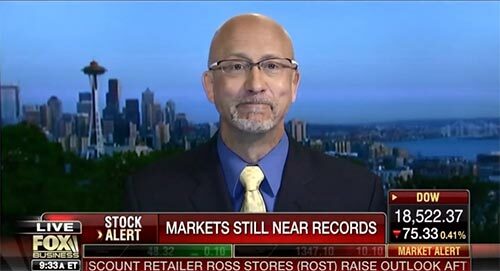 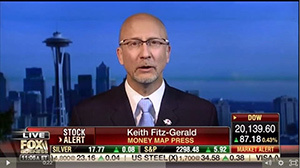 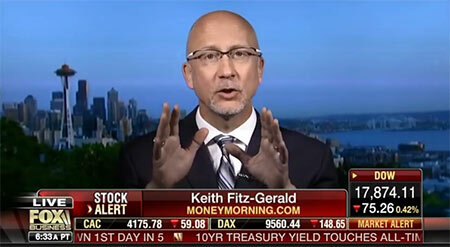 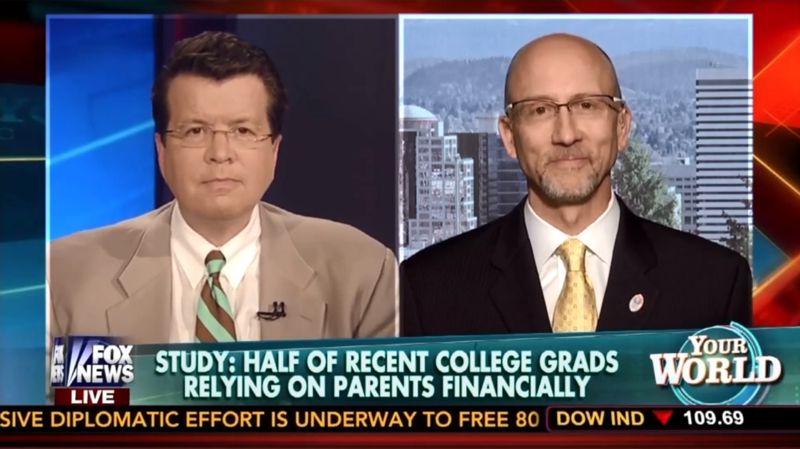 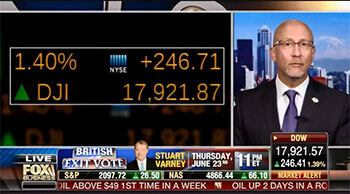 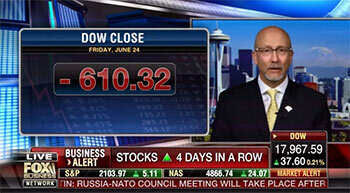 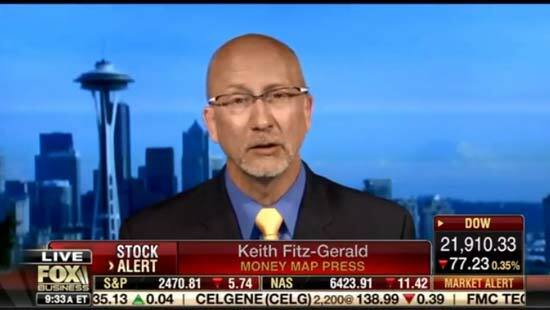 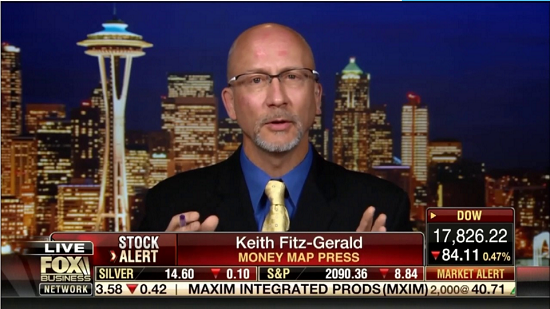 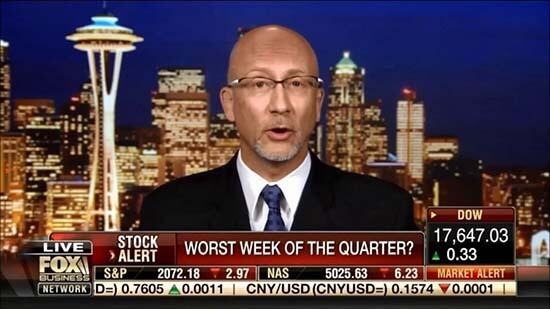 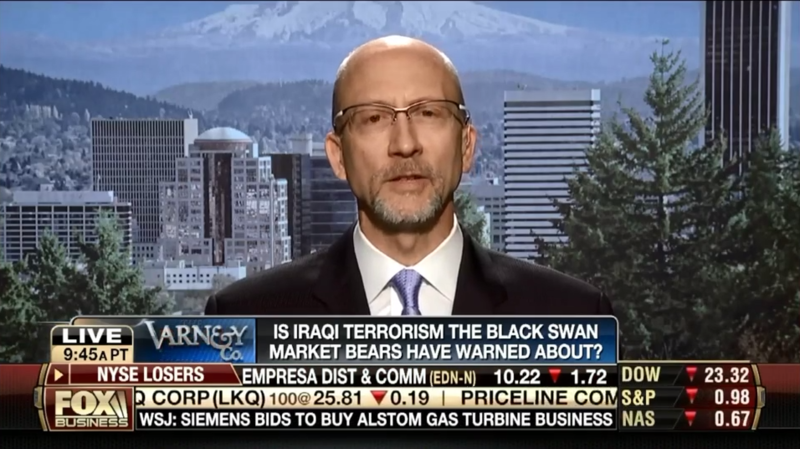 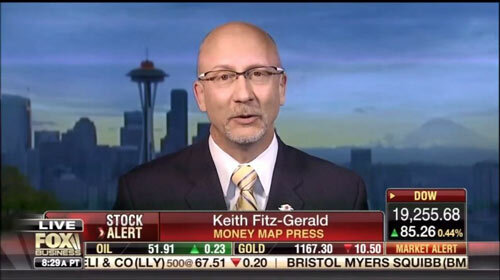 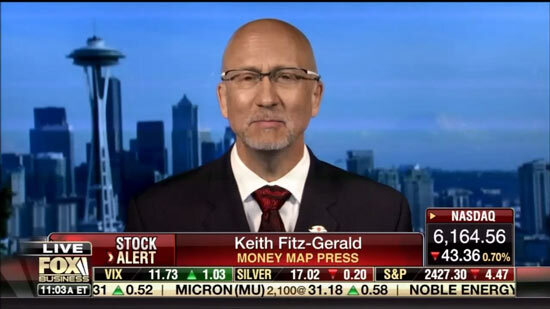 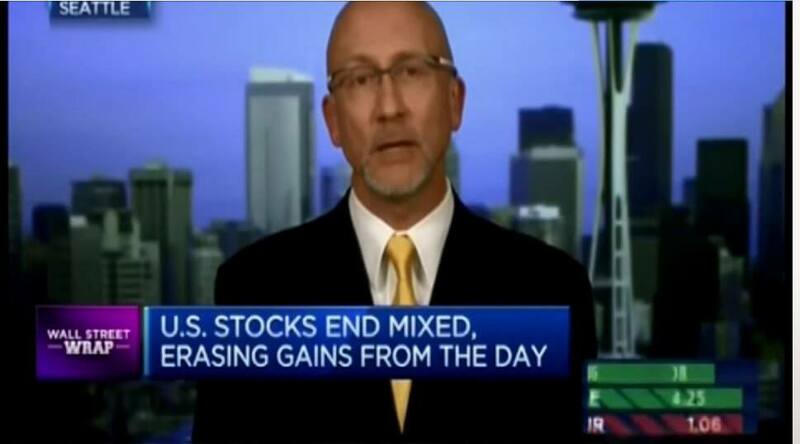 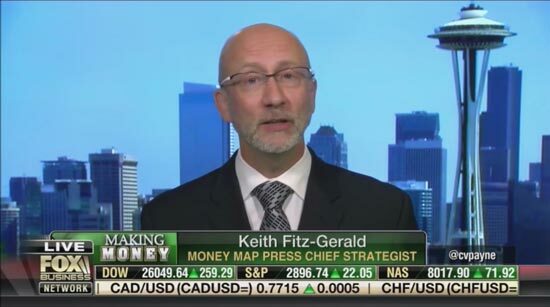 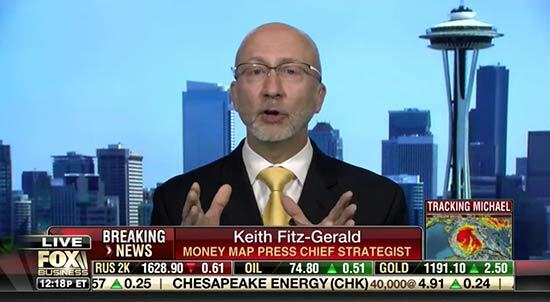 June 17, 2014Can ISIS Crash the Whole Stock Market? 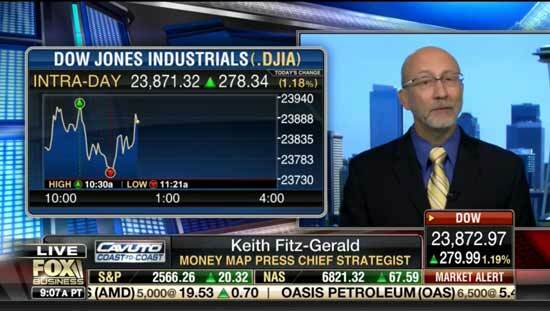 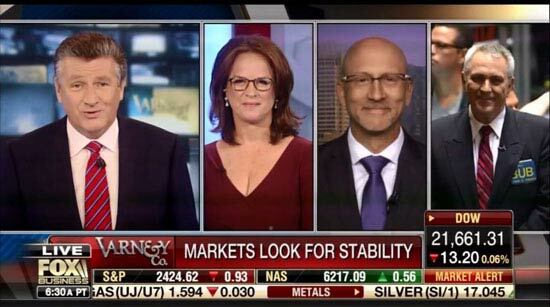 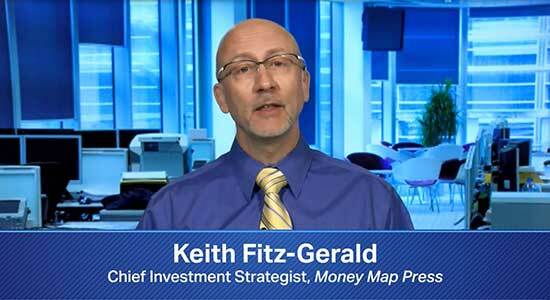 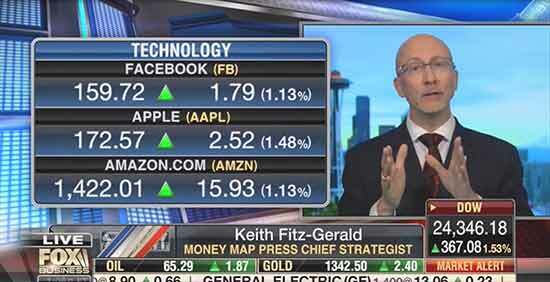 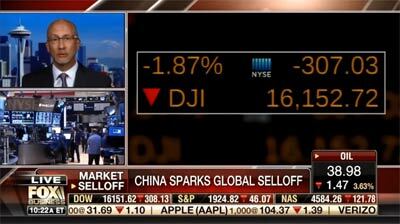 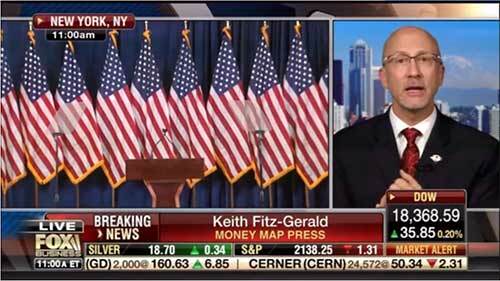 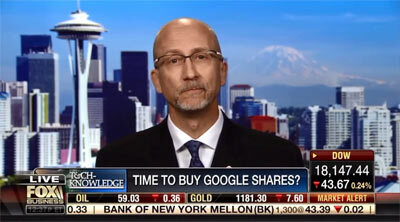 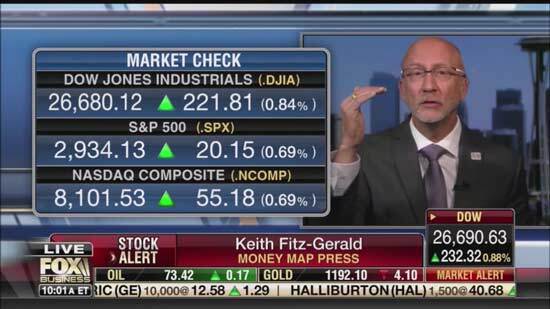 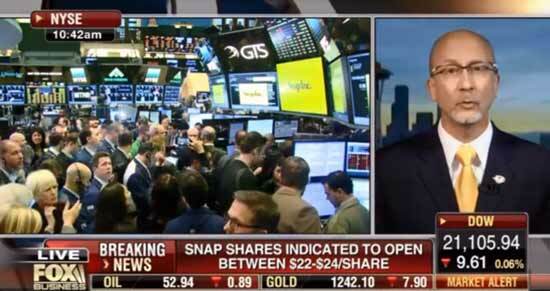 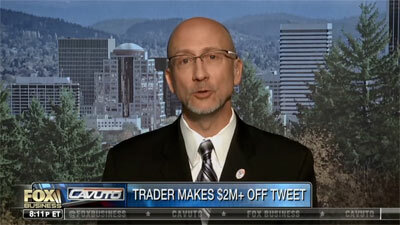 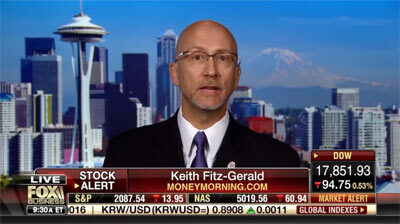 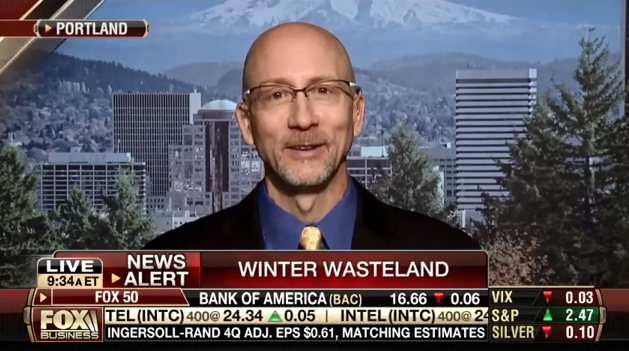 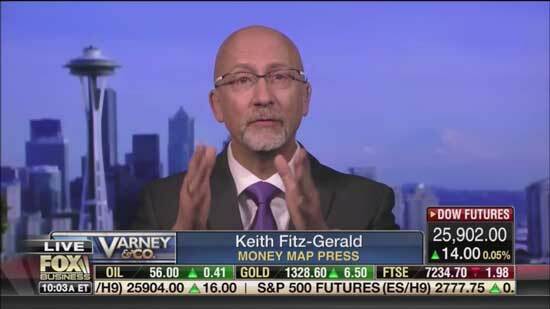 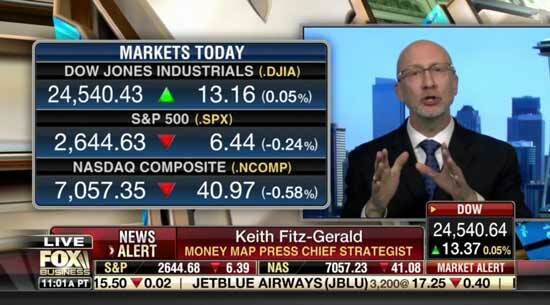 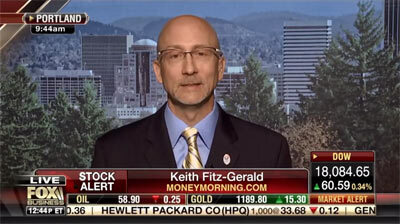 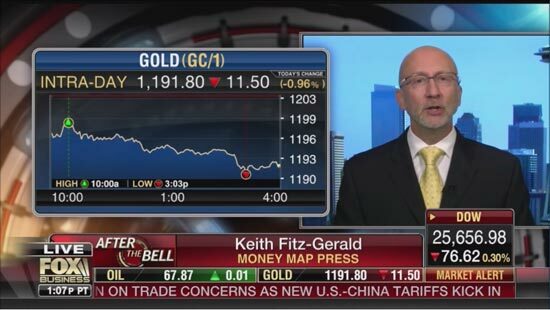 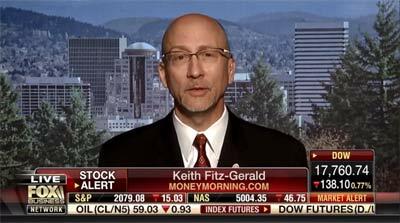 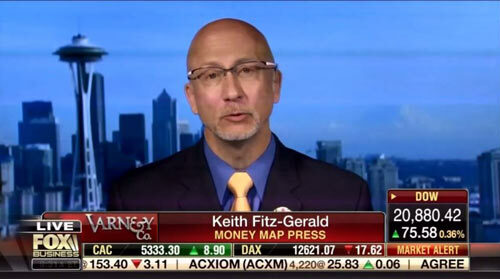 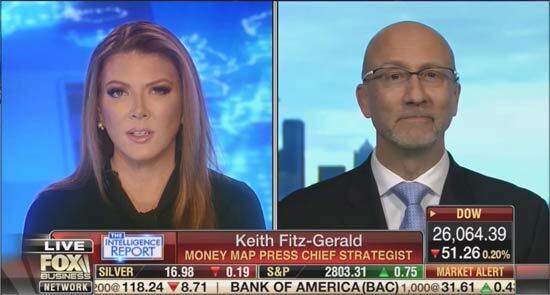 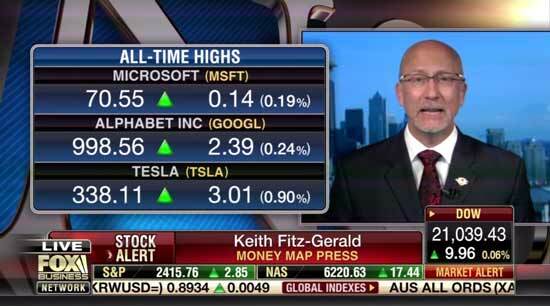 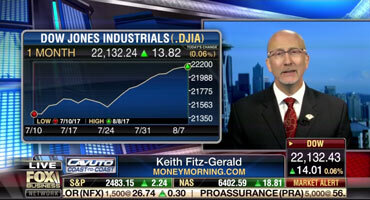 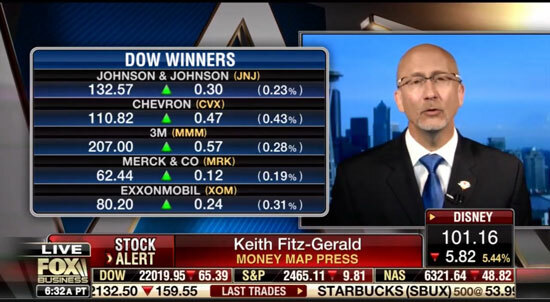 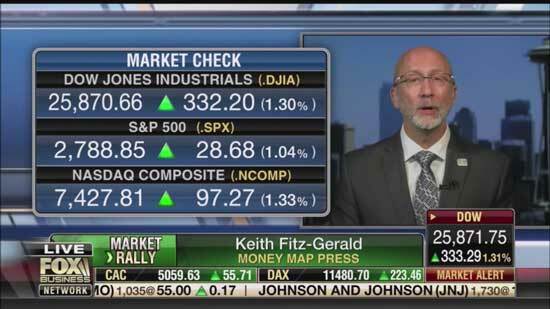 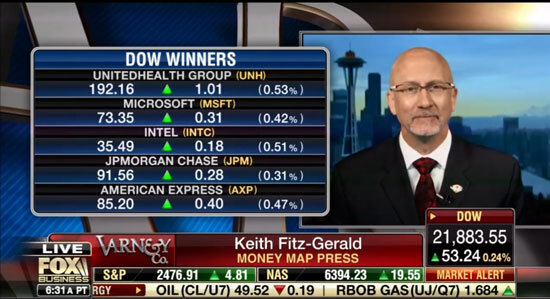 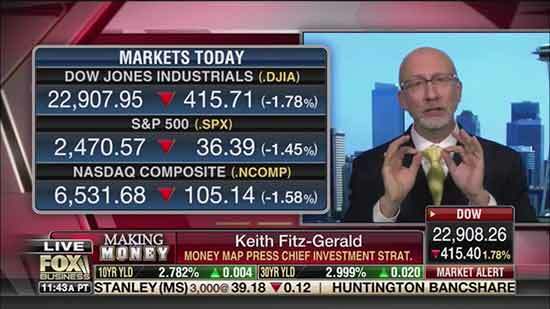 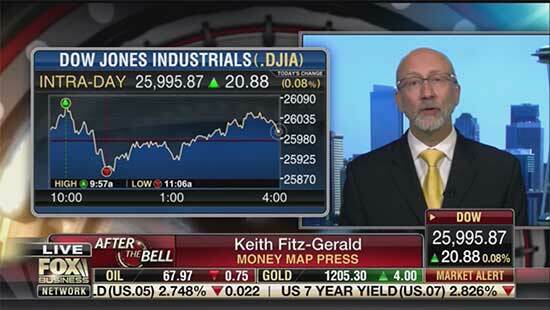 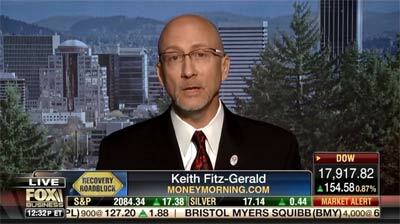 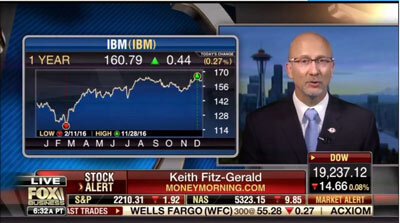 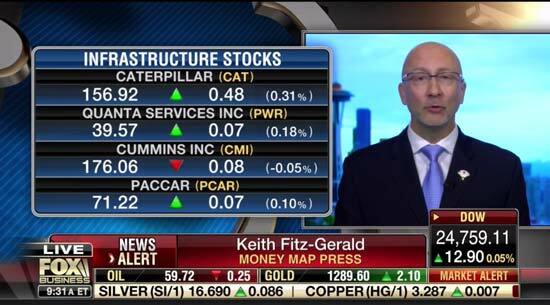 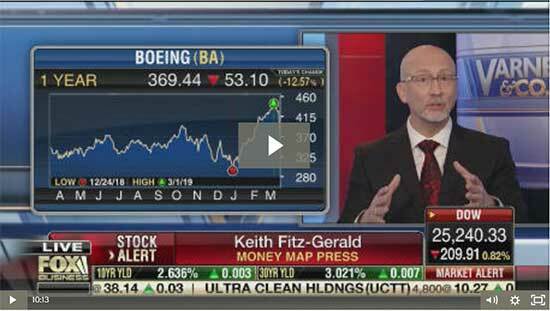 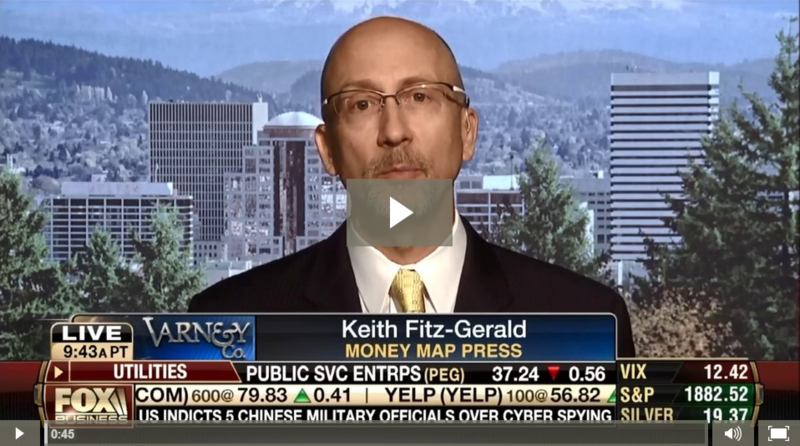 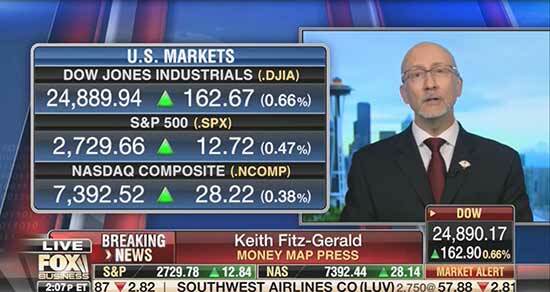 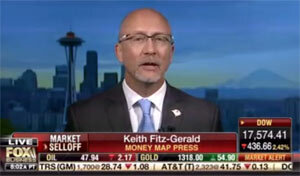 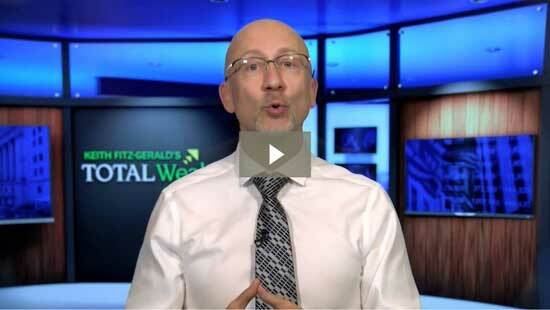 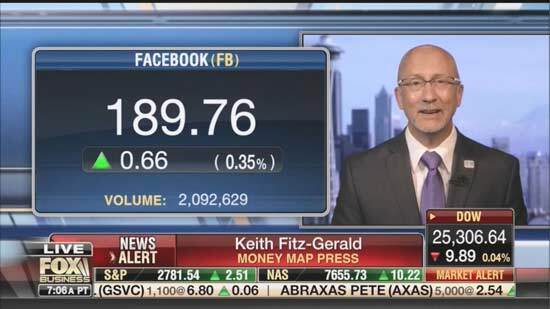 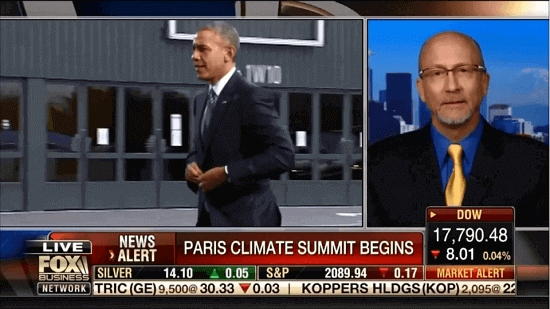 February 11, 2014Does Weather Move the Markets?